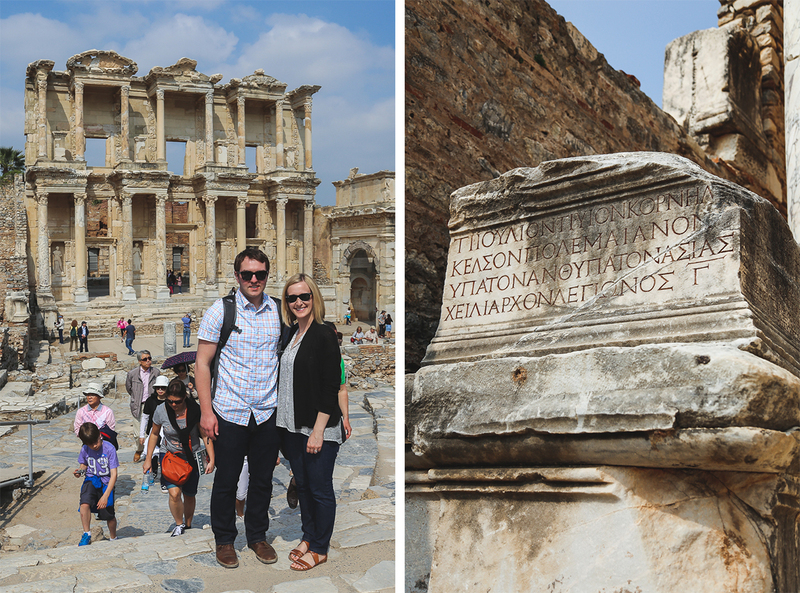 Over the course of two weeks in Turkey we toured and visited sites in Istanbul, Troy, Canakkale, Pergamum, Izmir, Kusadasi, Ephesus, Pamukkale, Antalya, Cappadocia, and Ankara. 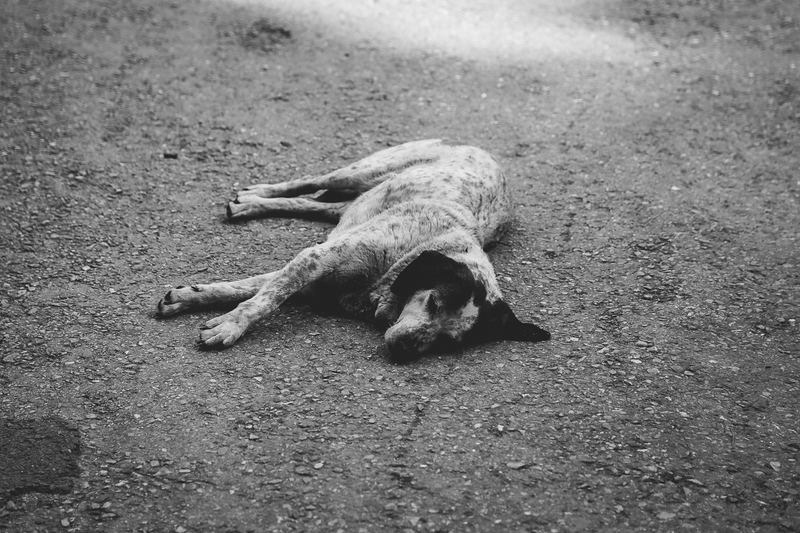 It was a busy trip. 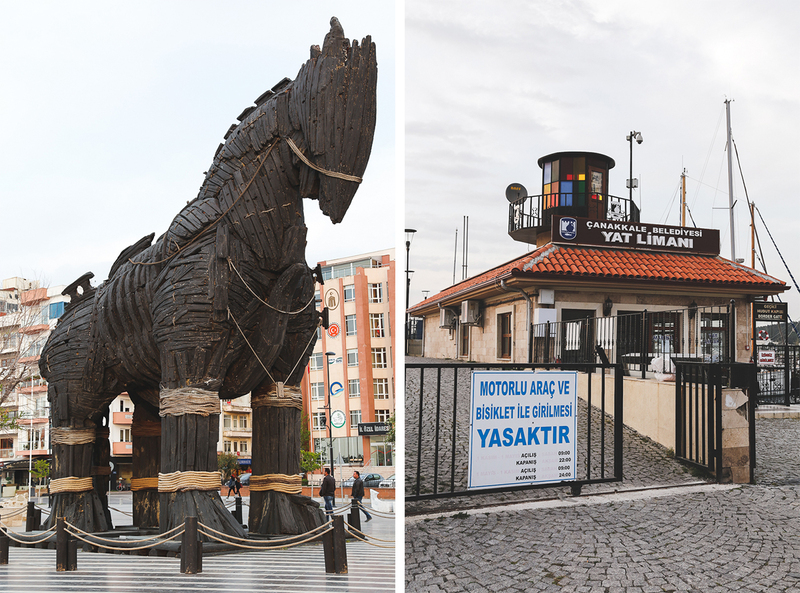 The highlights from this sampling from around the country include the ruins of Troy (there’s not much, folks…and the horse is from the movie.) 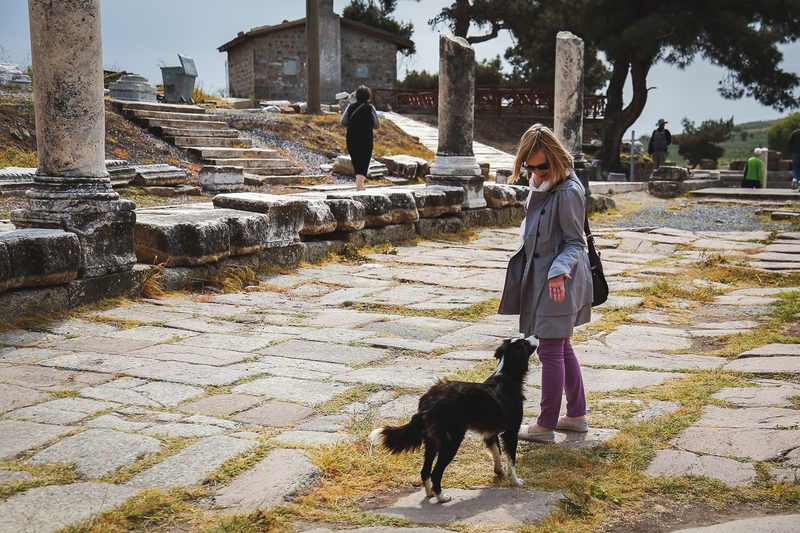 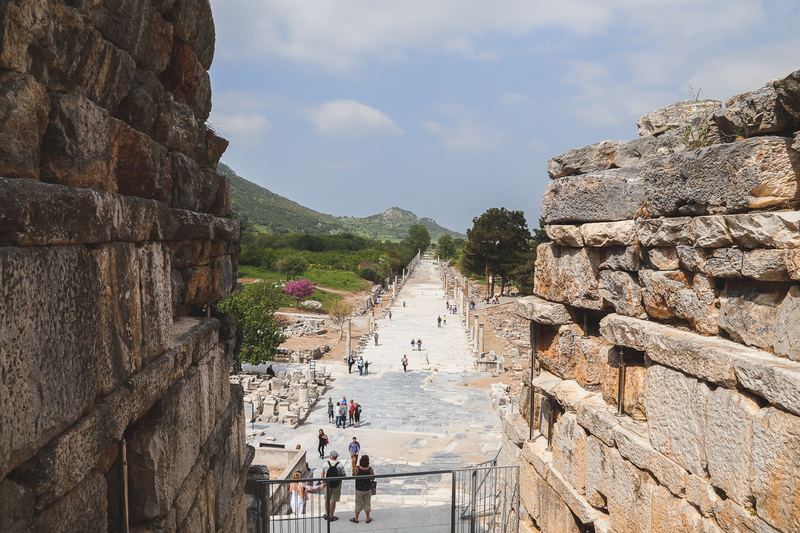 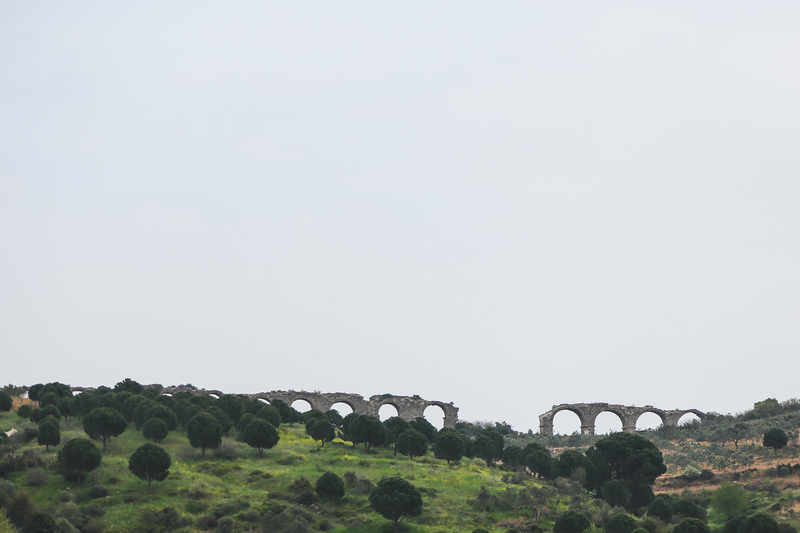 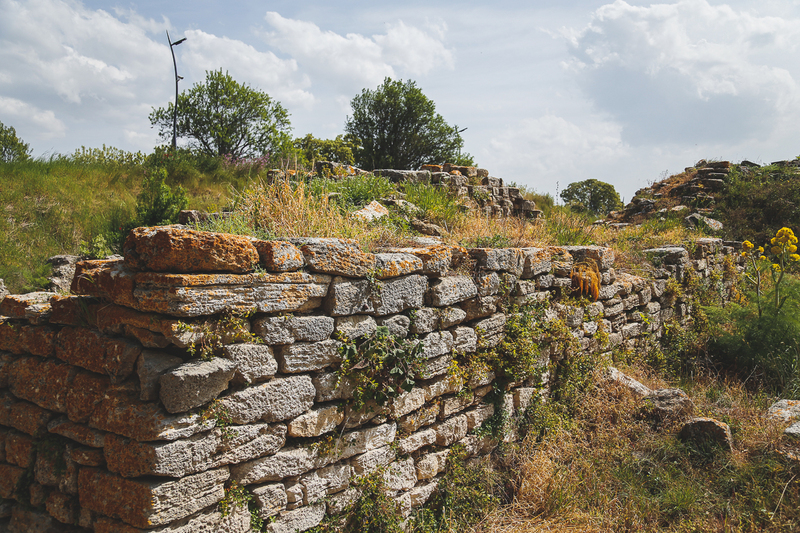 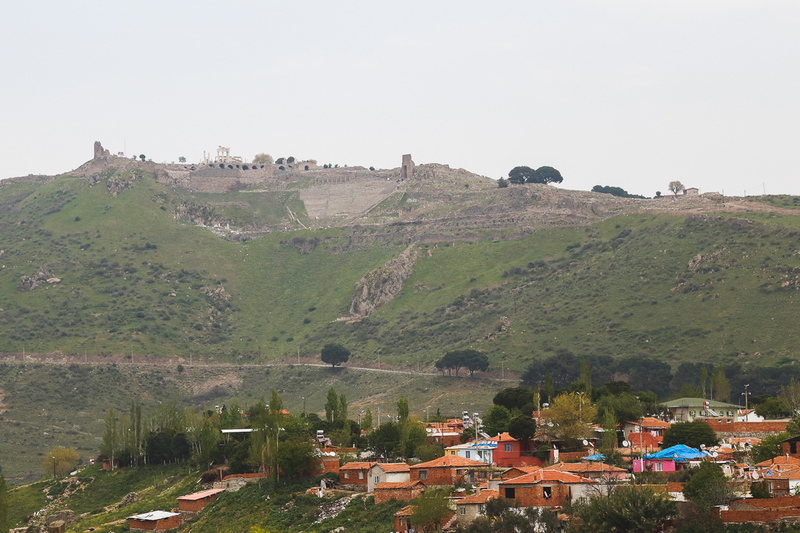 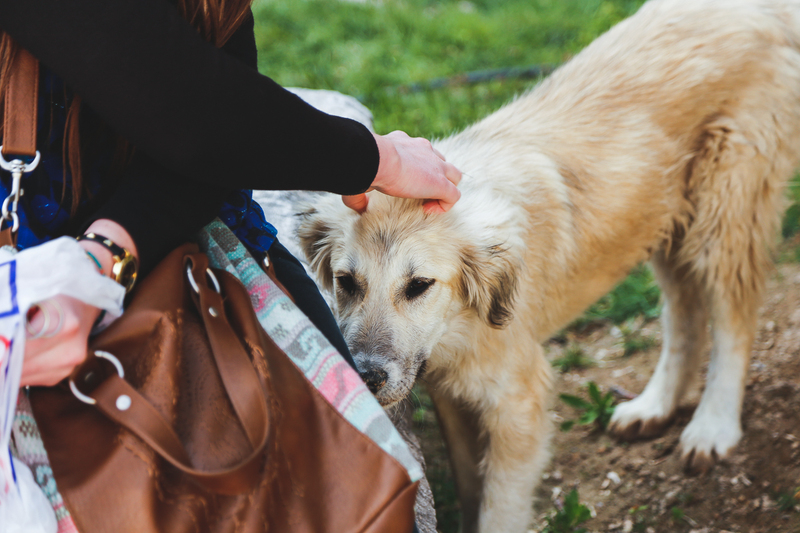 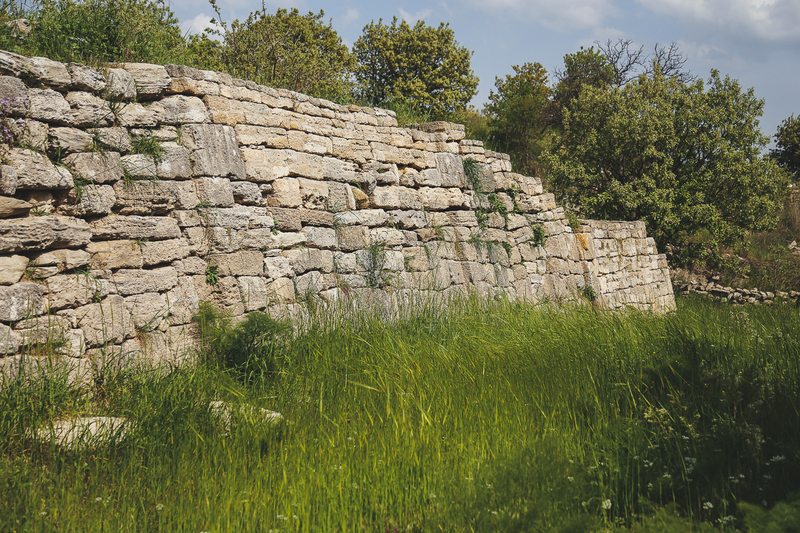 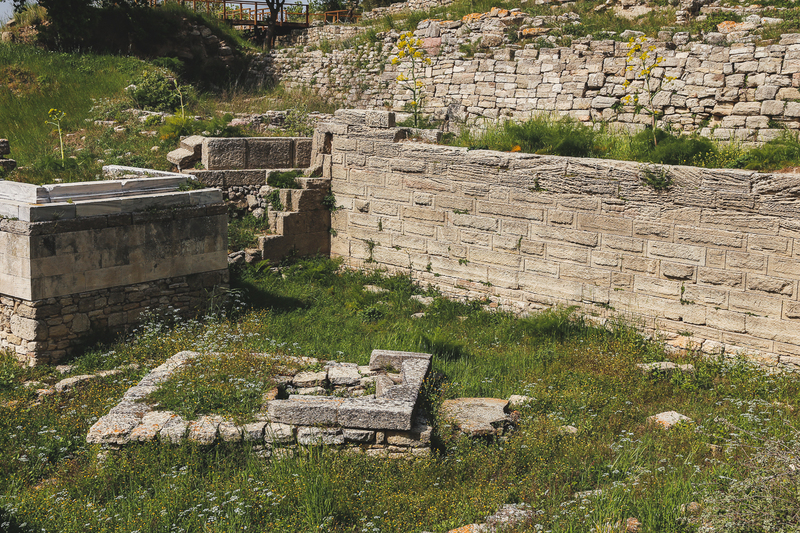 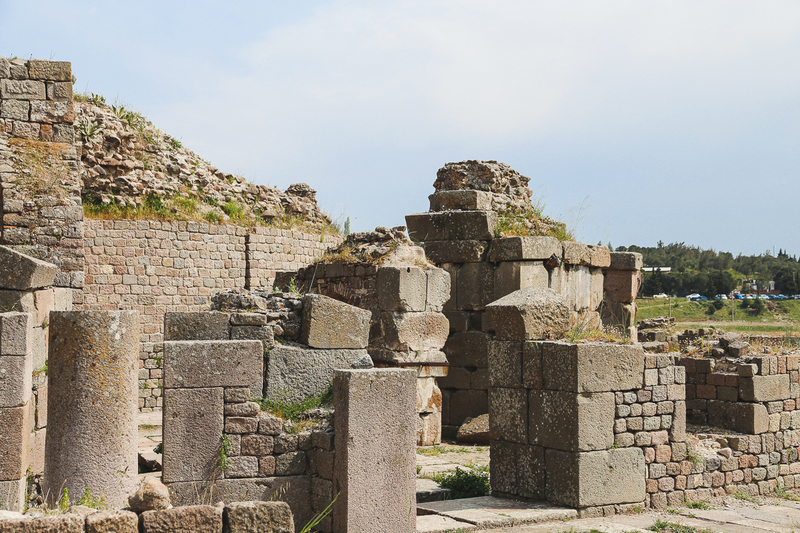 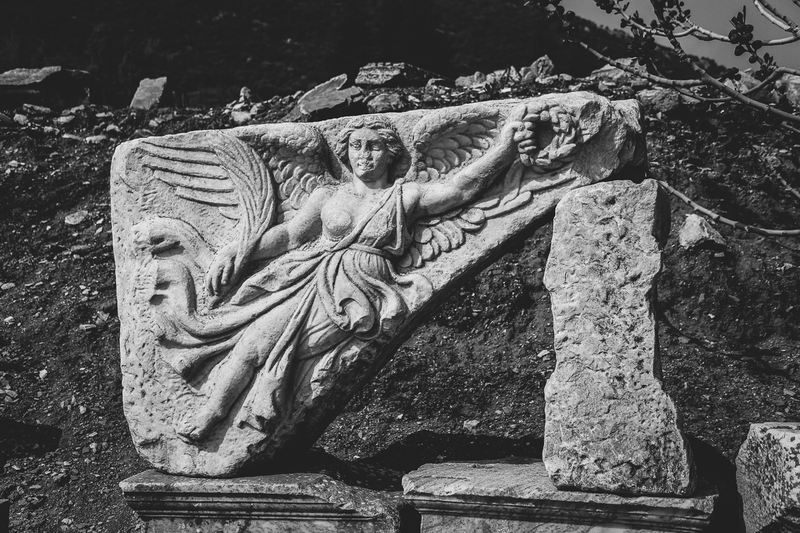 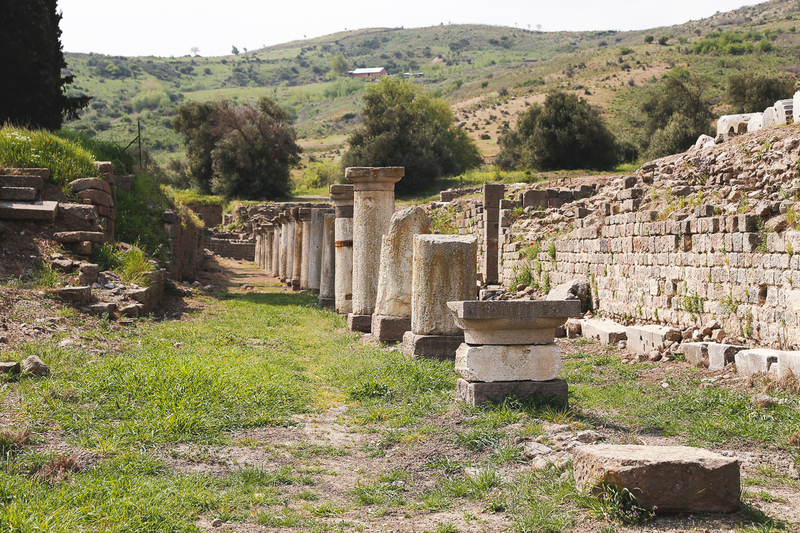 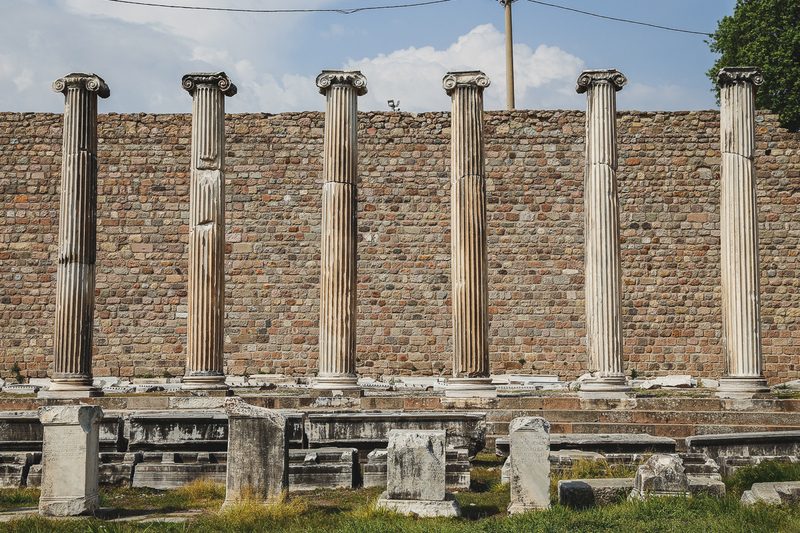 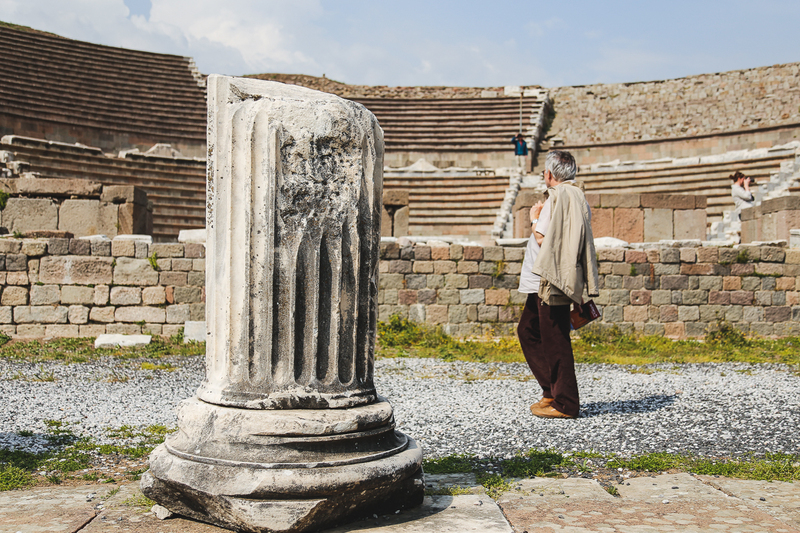 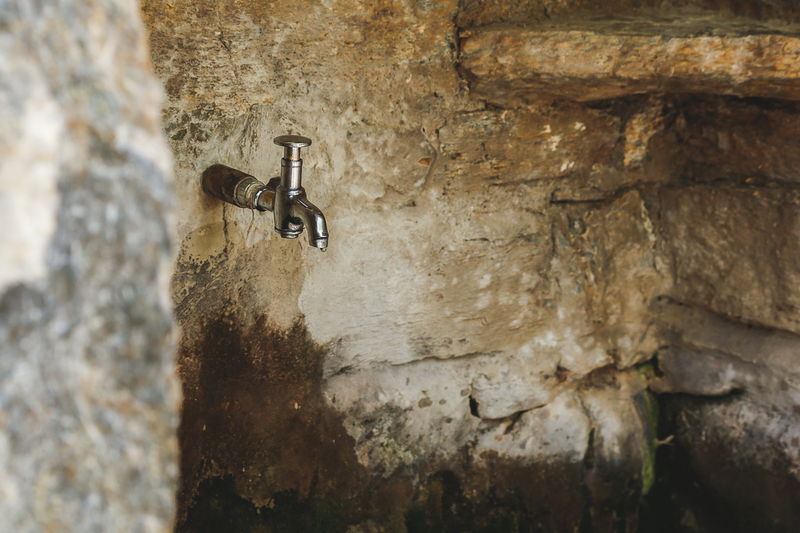 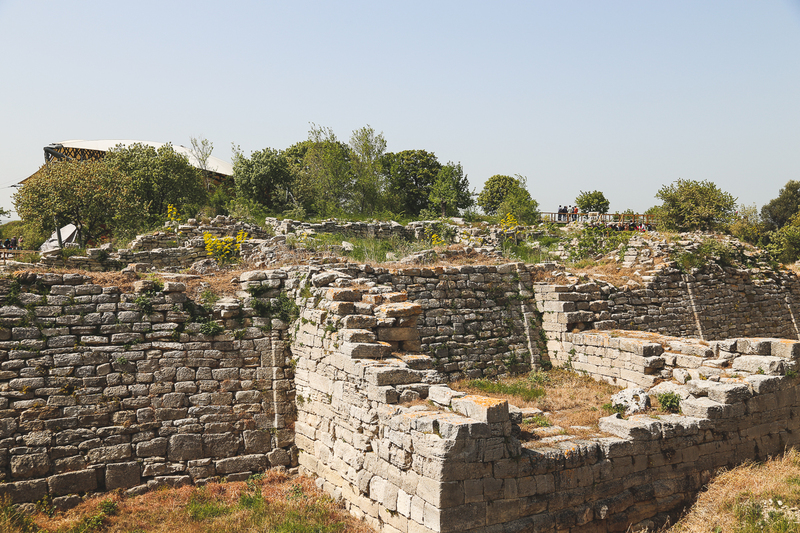 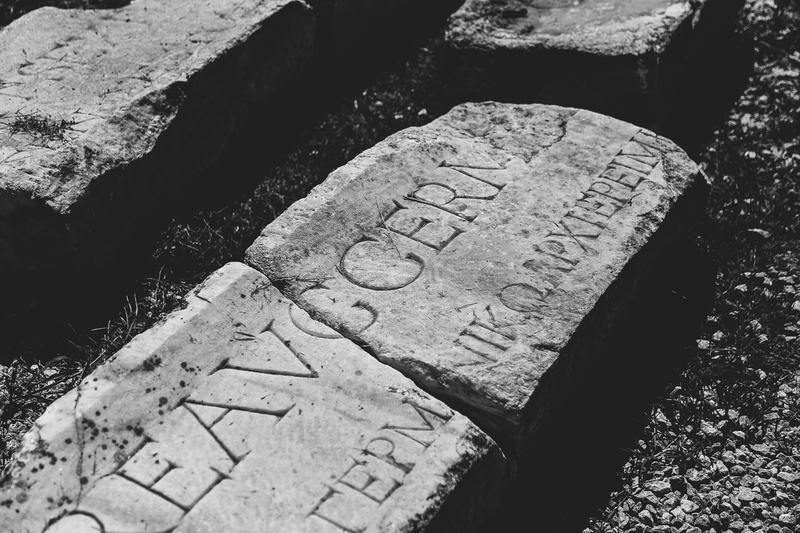 We toured the Asclepieum, the famous healing center of the great acropolis of Pergamum, which sits at the foot of the acropolis and still features trickling streams of water that ran for the therapeutic benefit of its patients. 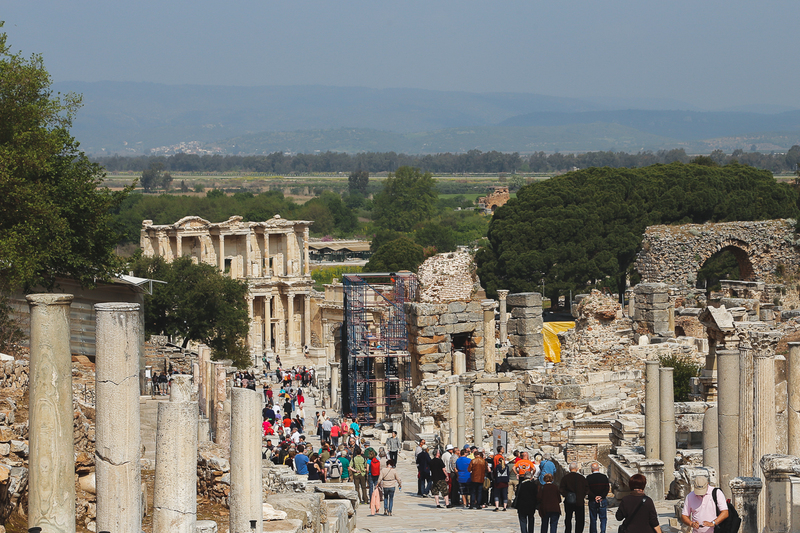 It’s likely none of the ruins we visited quite compared to that of Ephesus. 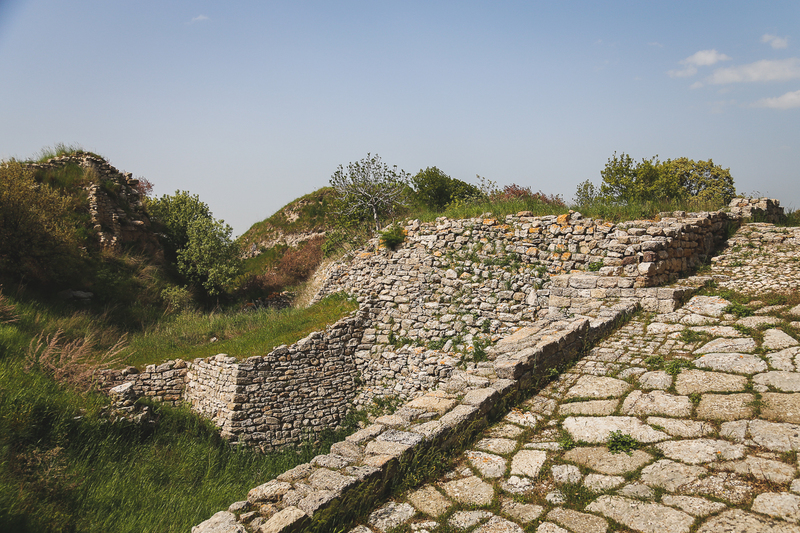 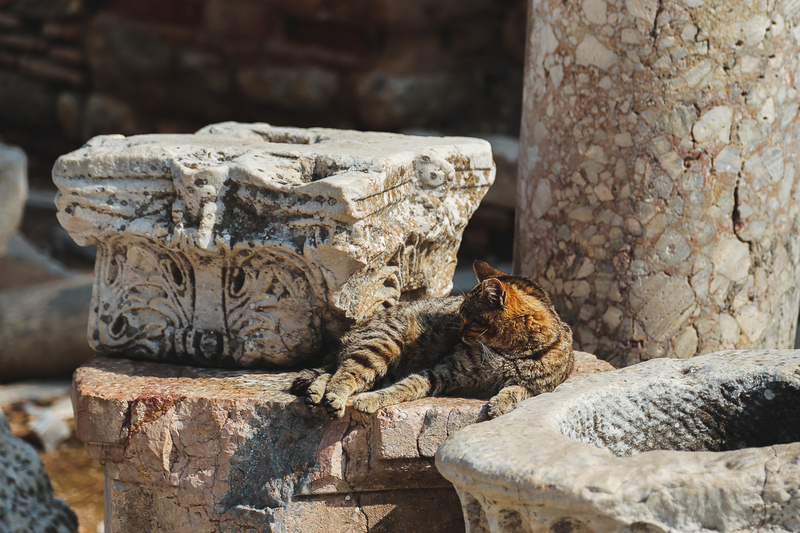 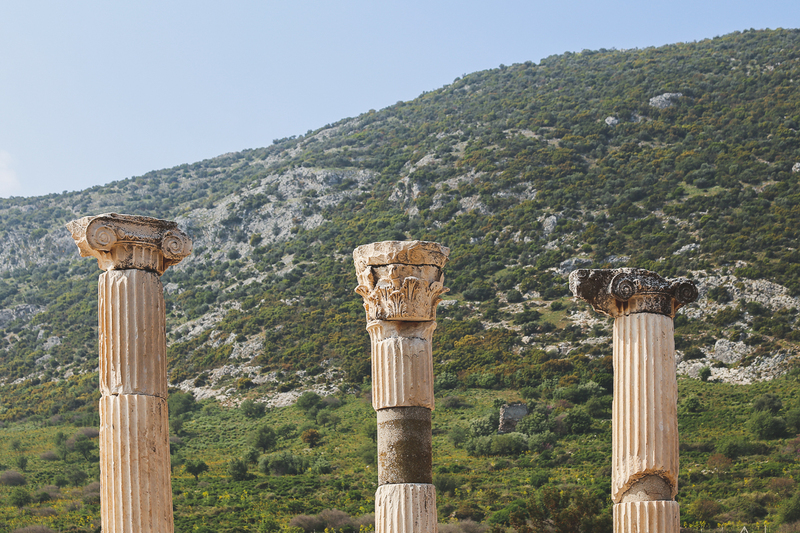 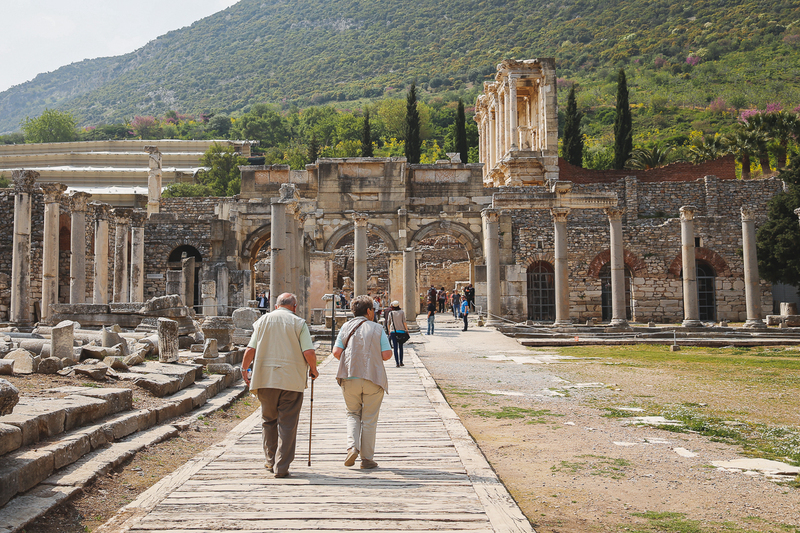 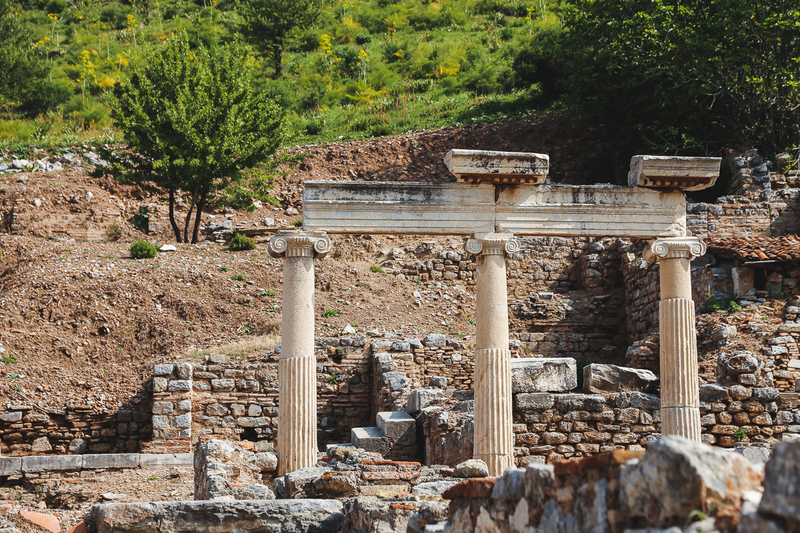 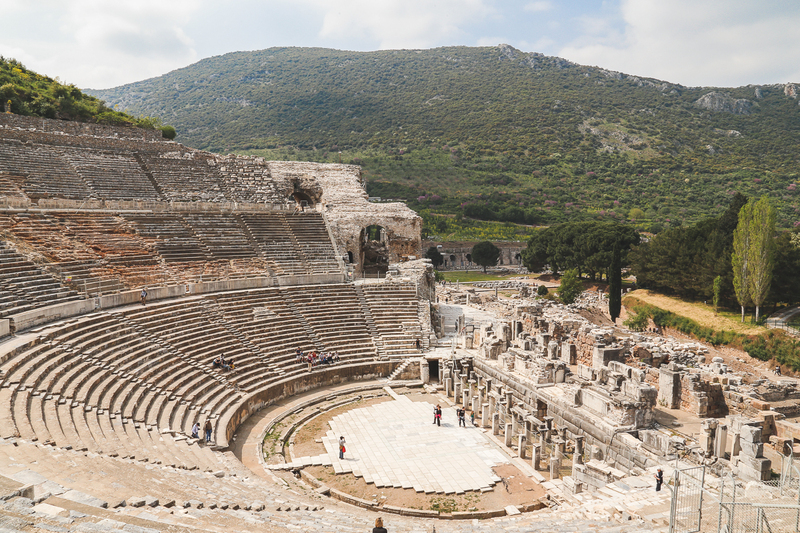 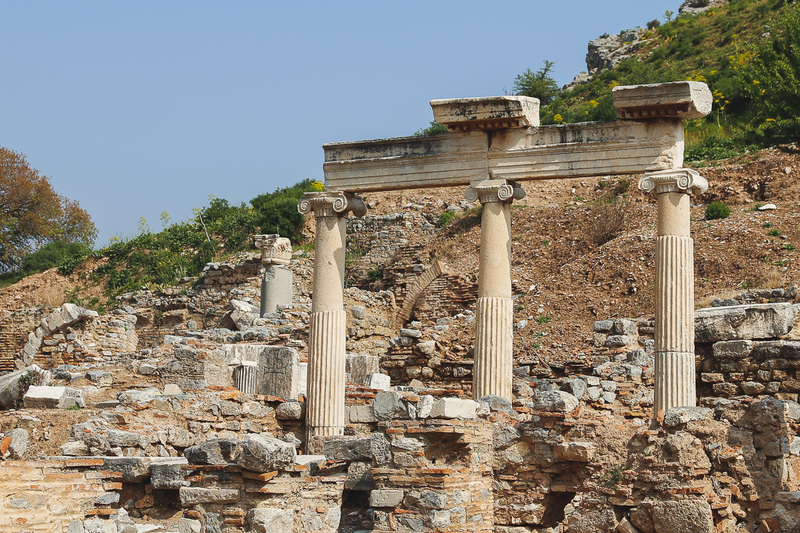 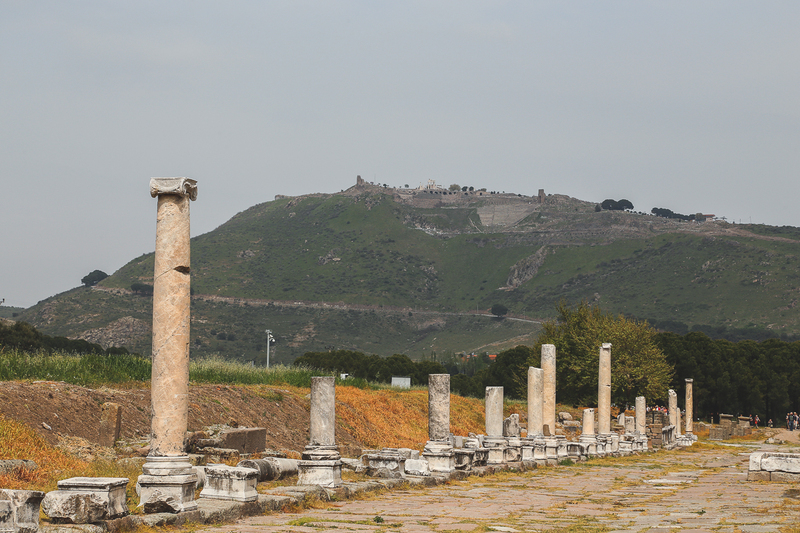 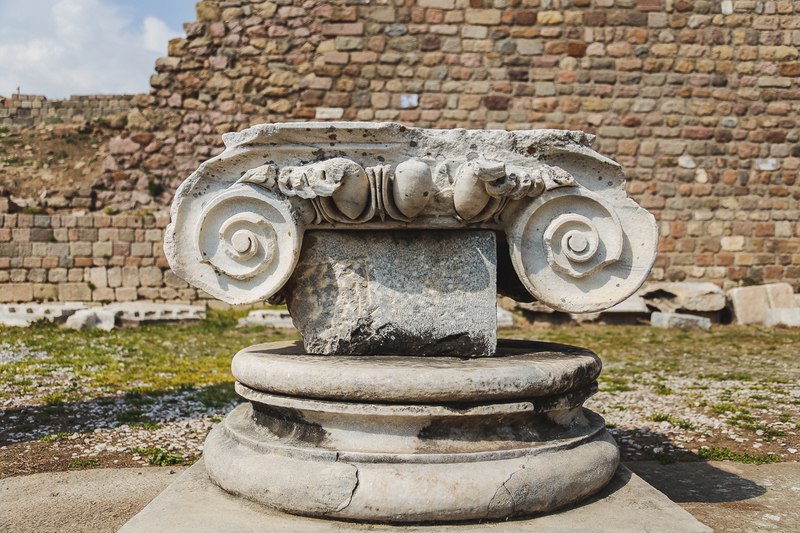 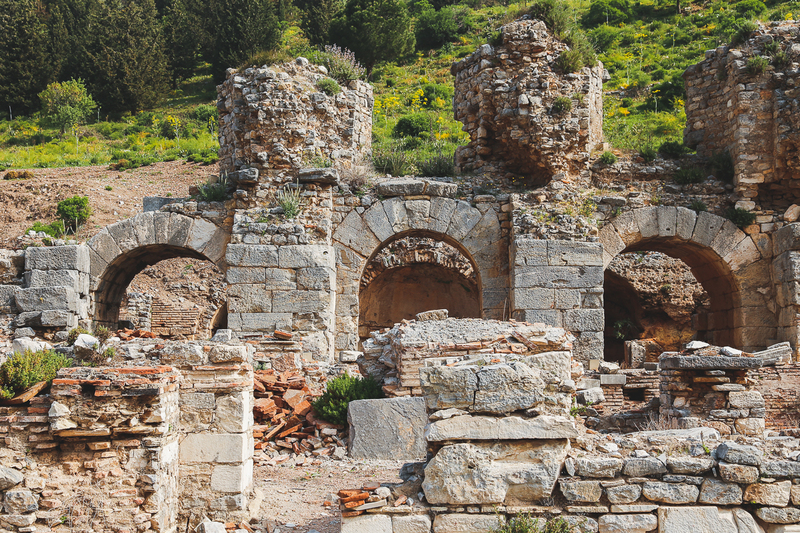 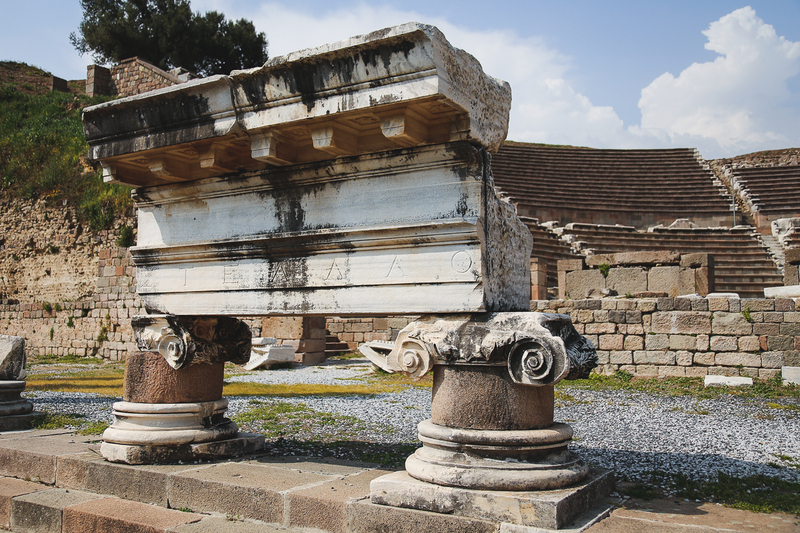 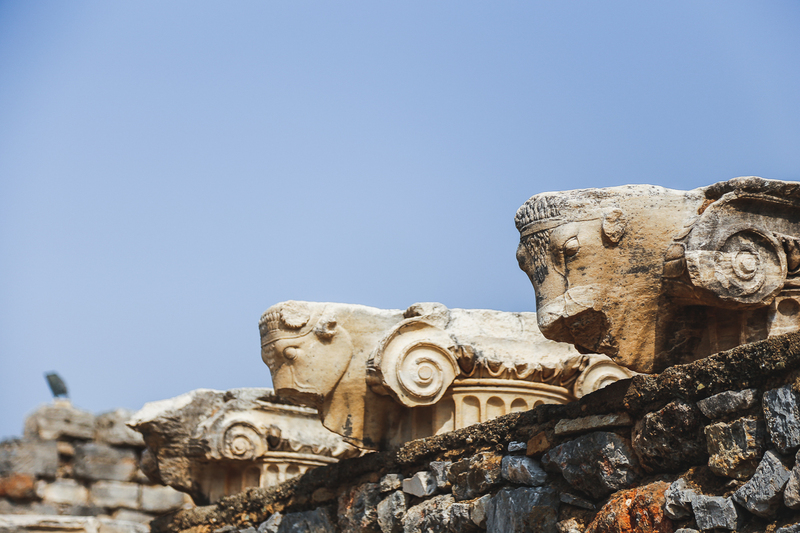 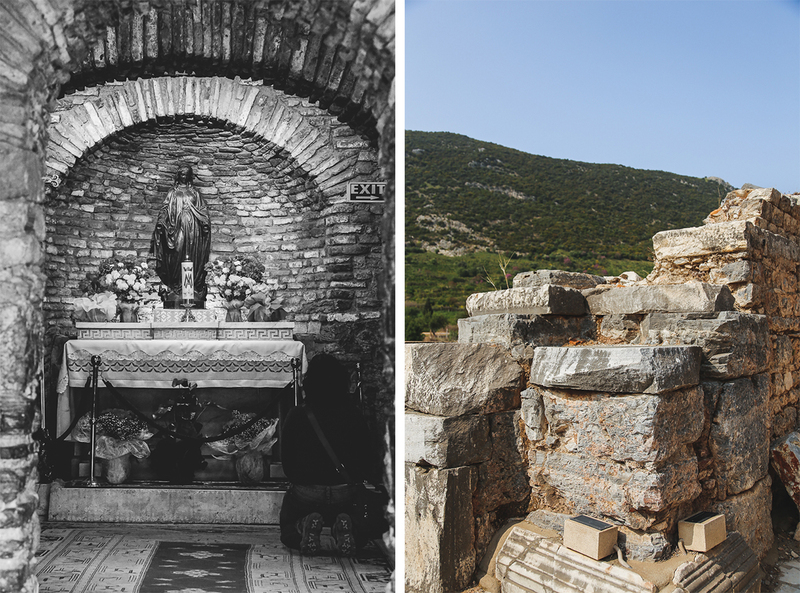 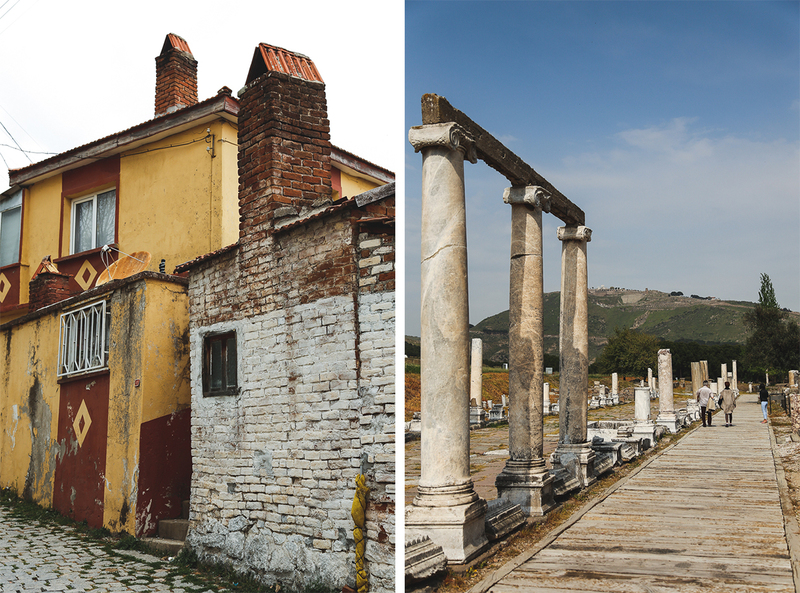 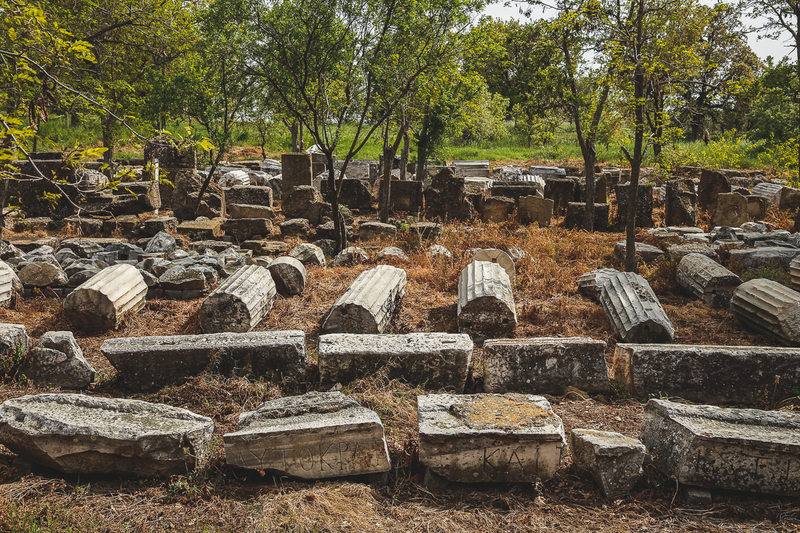 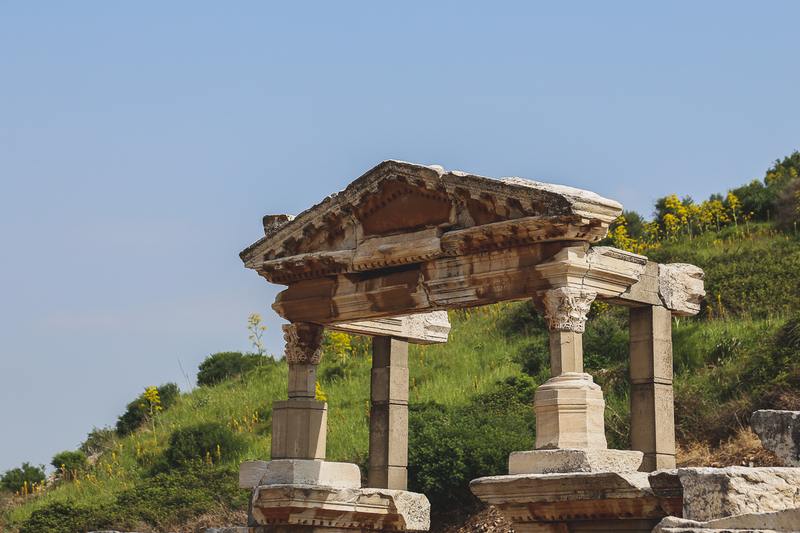 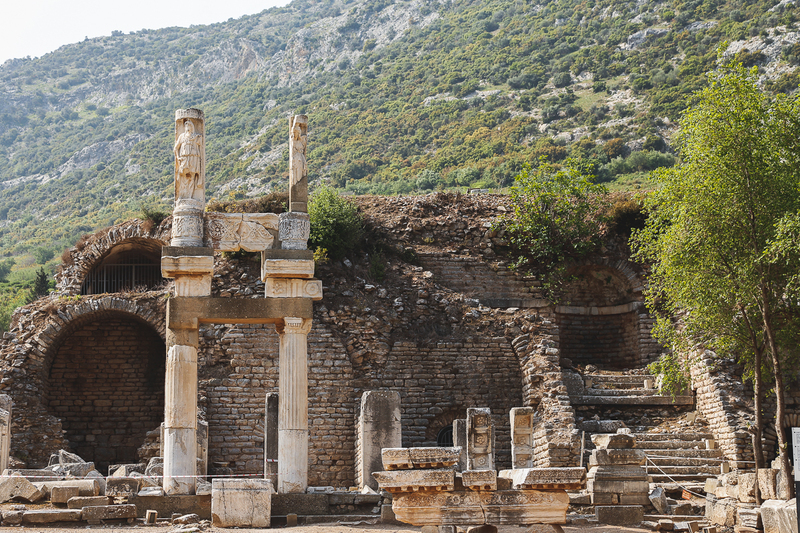 Established around 1000 BC, Ephesus later became the chief port city of the Aegean. 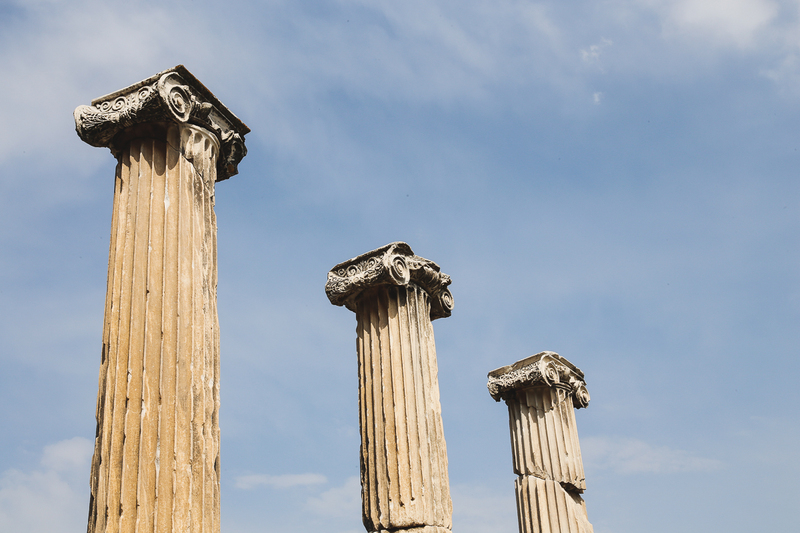 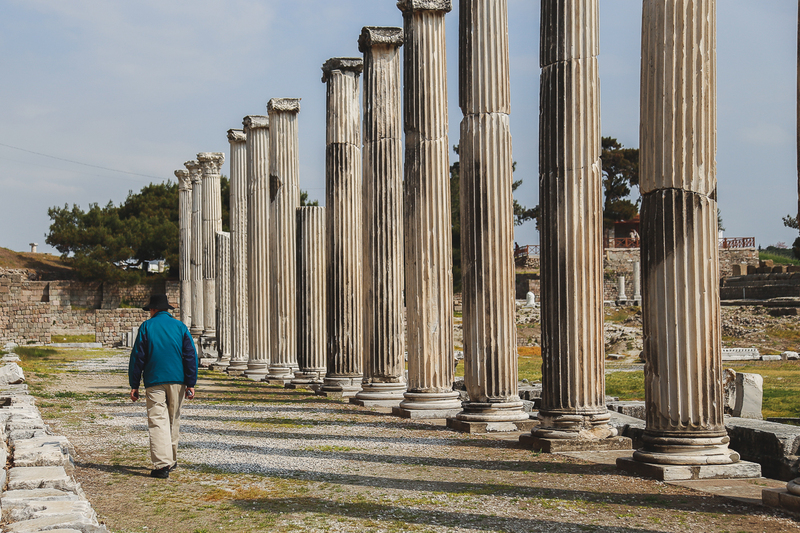 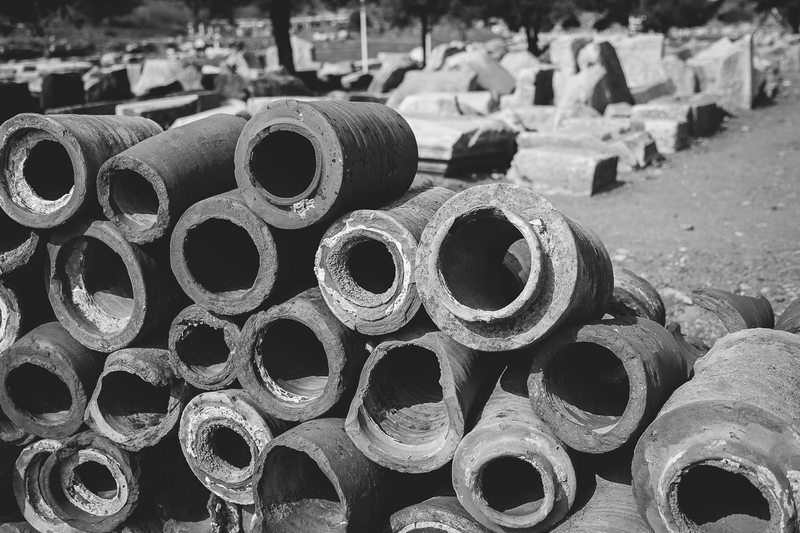 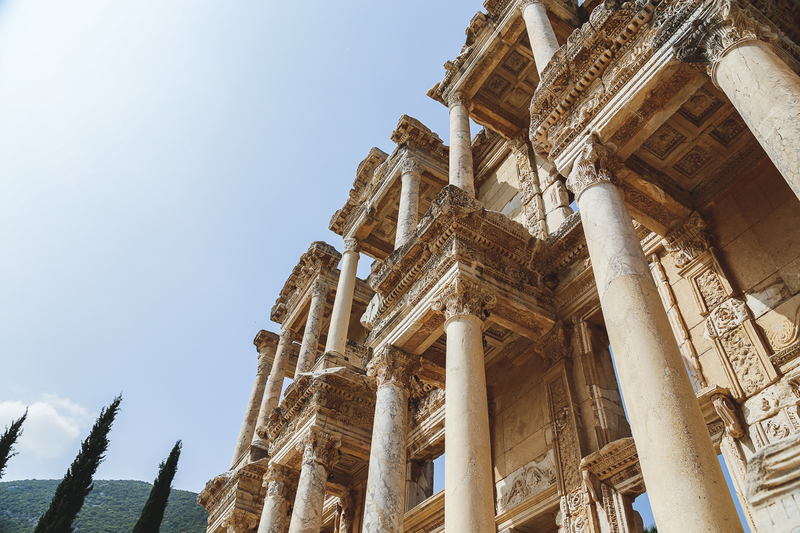 It’s hard to image the city once touched the sea, used clay pipes for “plumbing” through the city, was home to marble streets, and that 12,000 scrolls were held at the Library of Celsus. 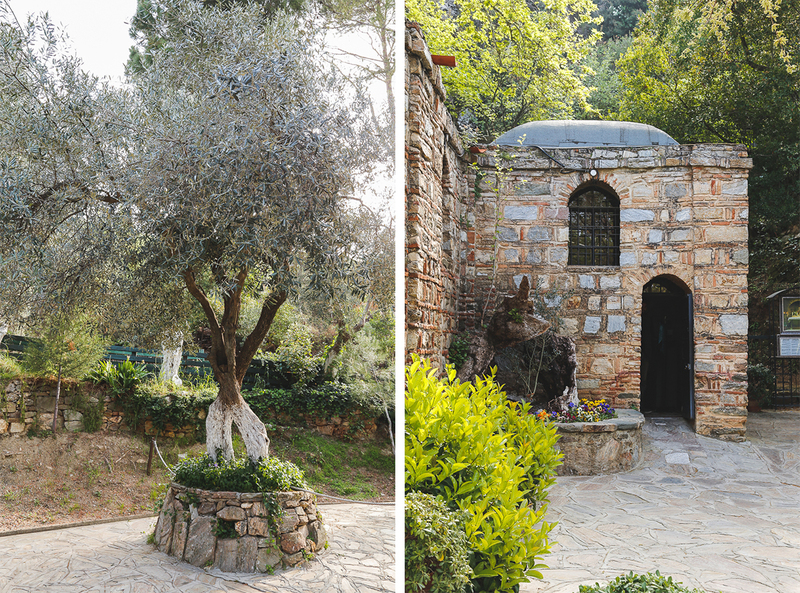 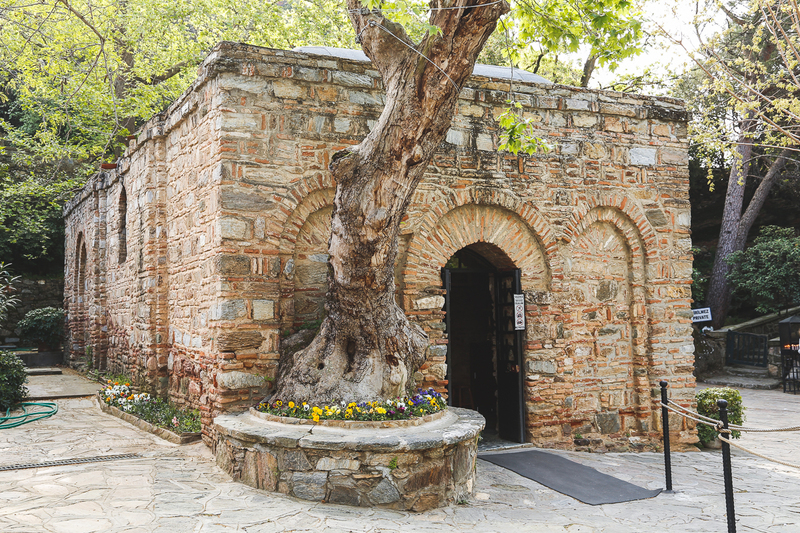 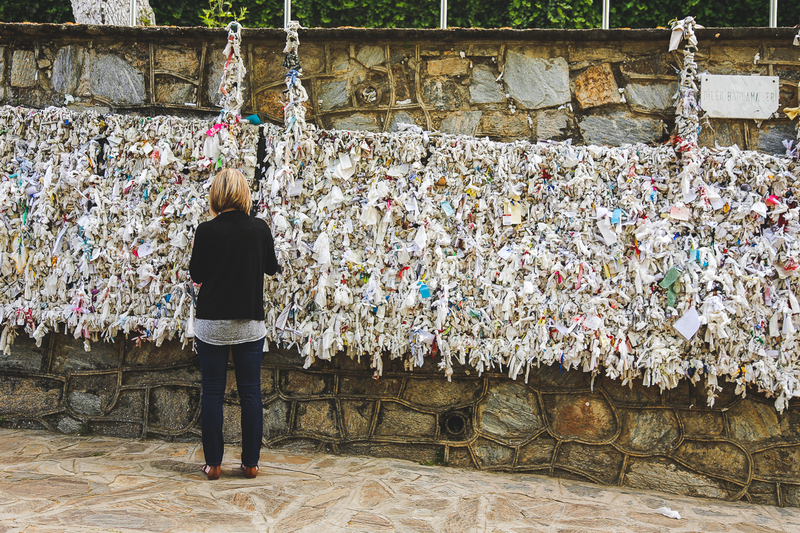 Just outside the historic site of Ephesus is the House of Mary, a modest stone home where it is believed Jesus’ mother Mary spent the final years of her life. 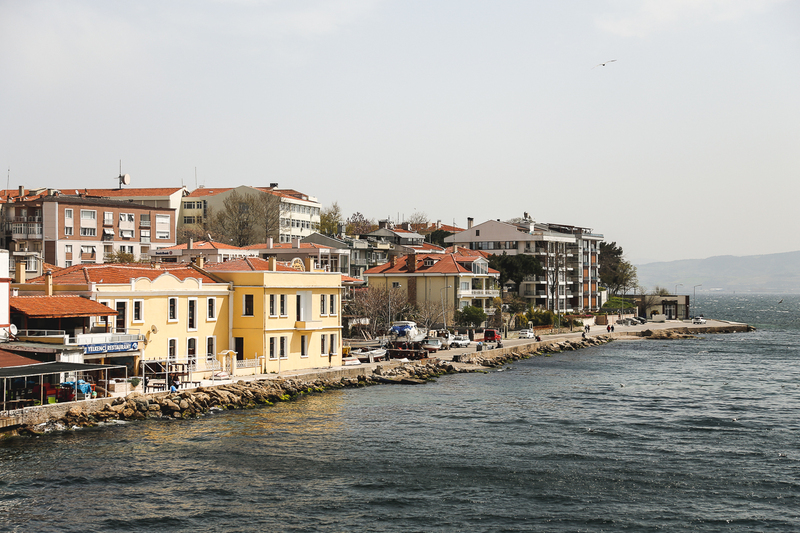 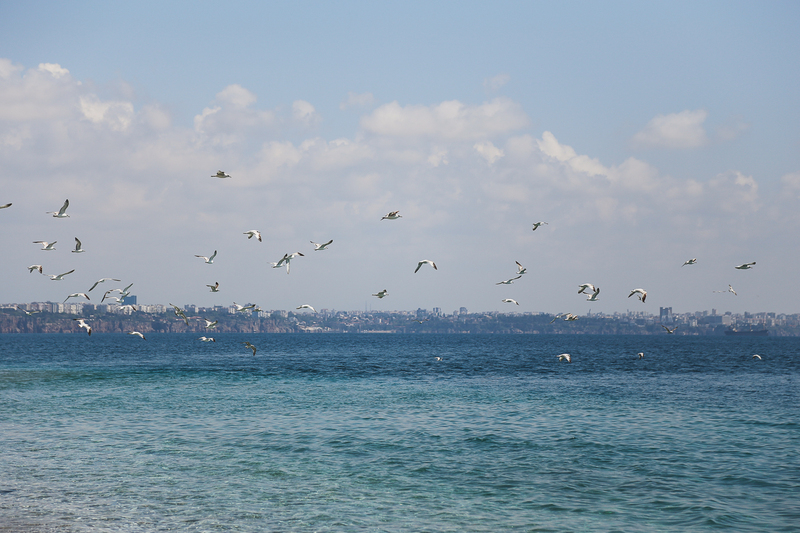 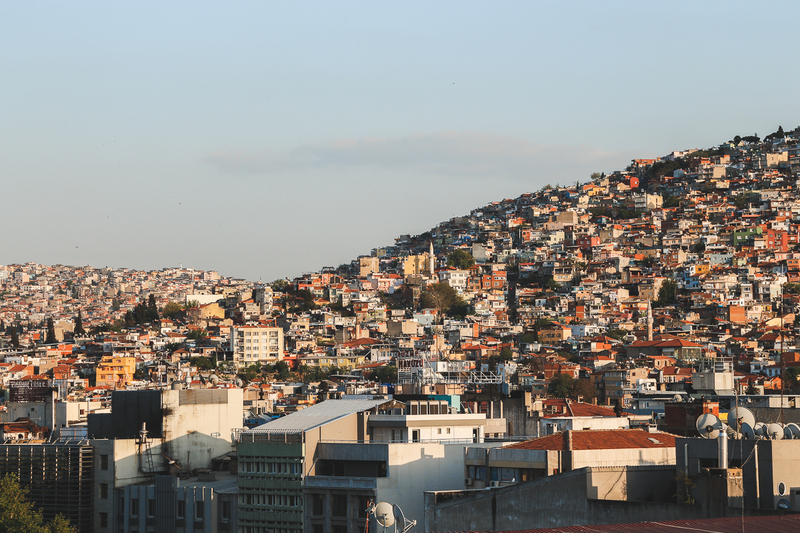 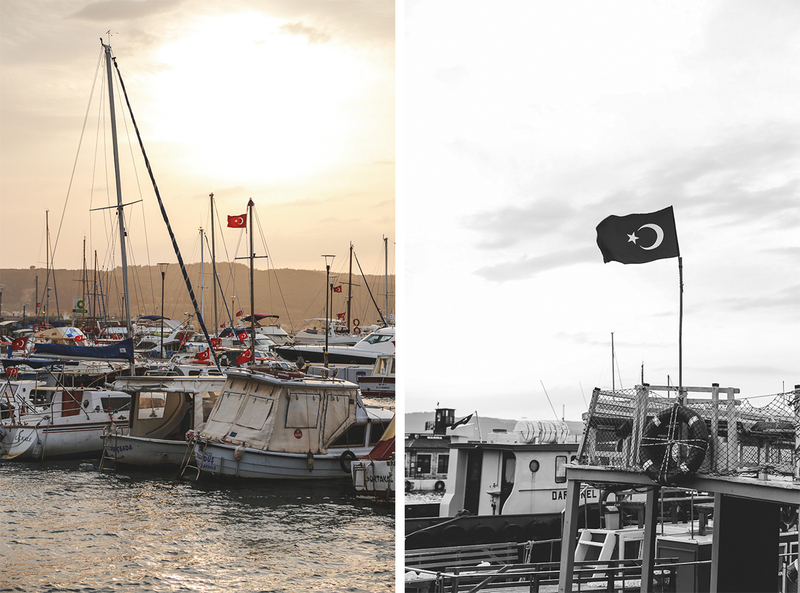 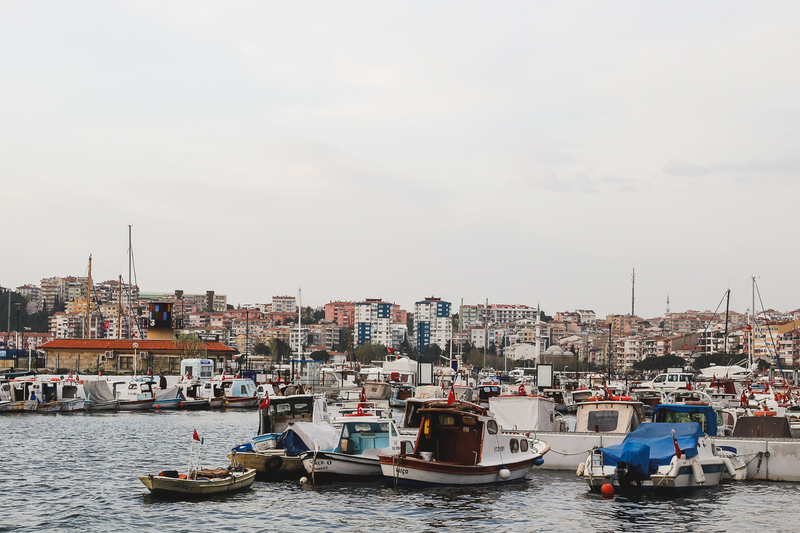 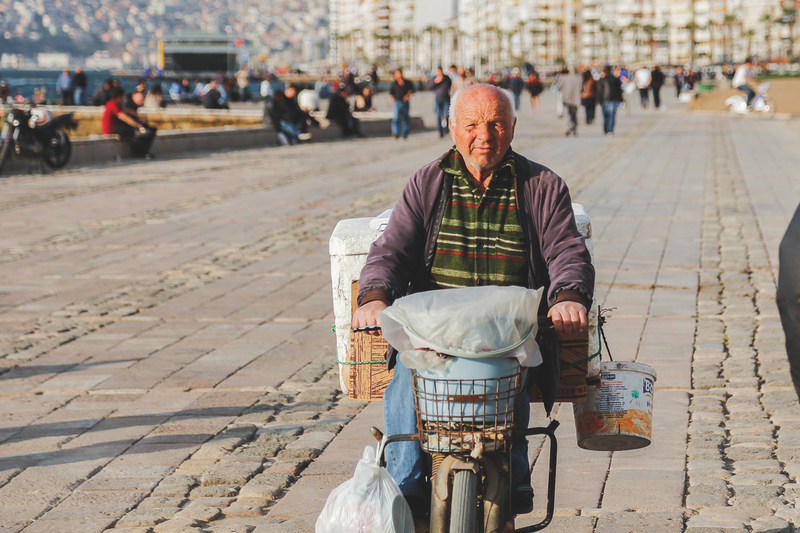 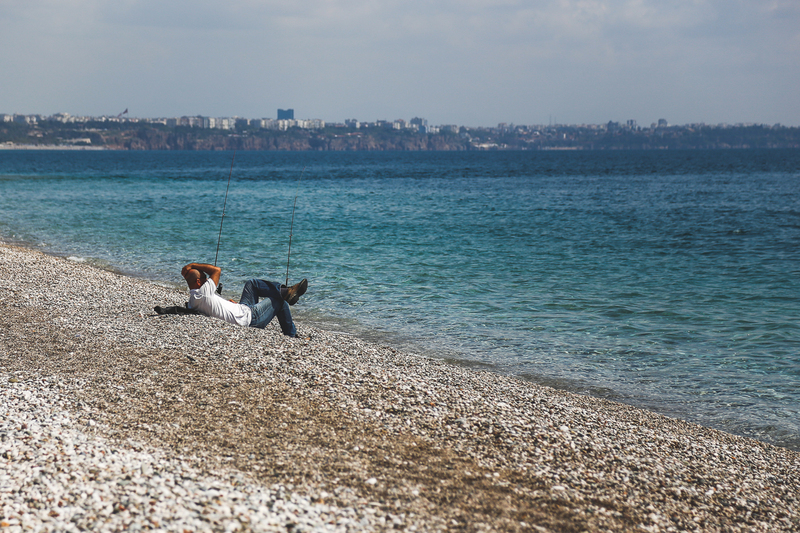 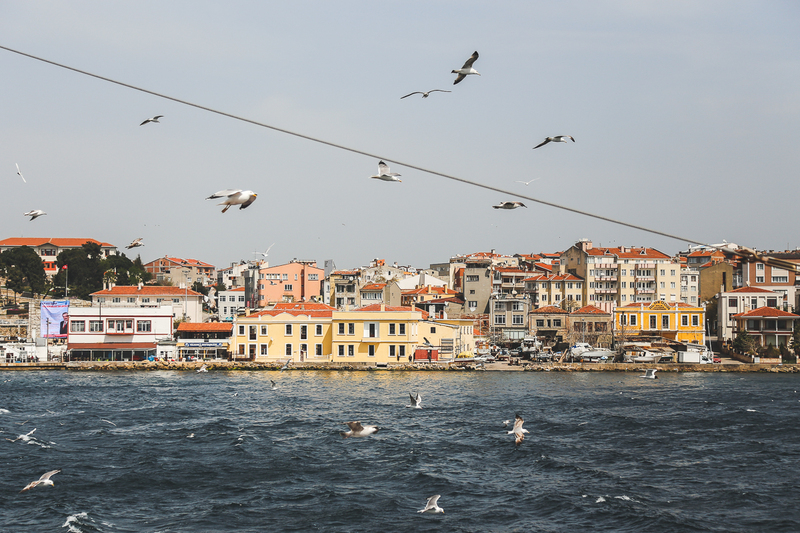 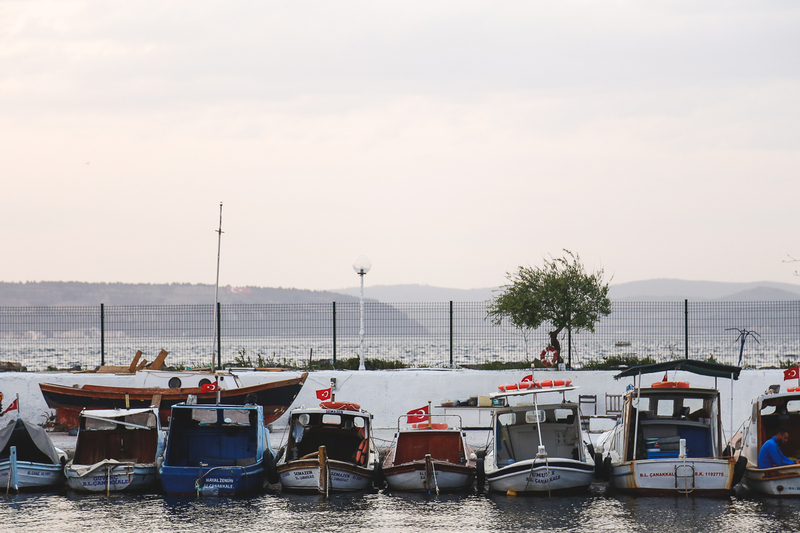 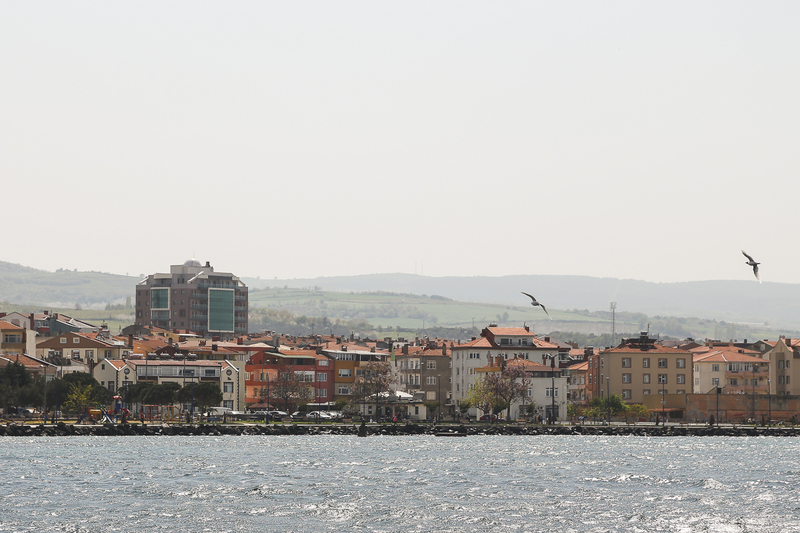 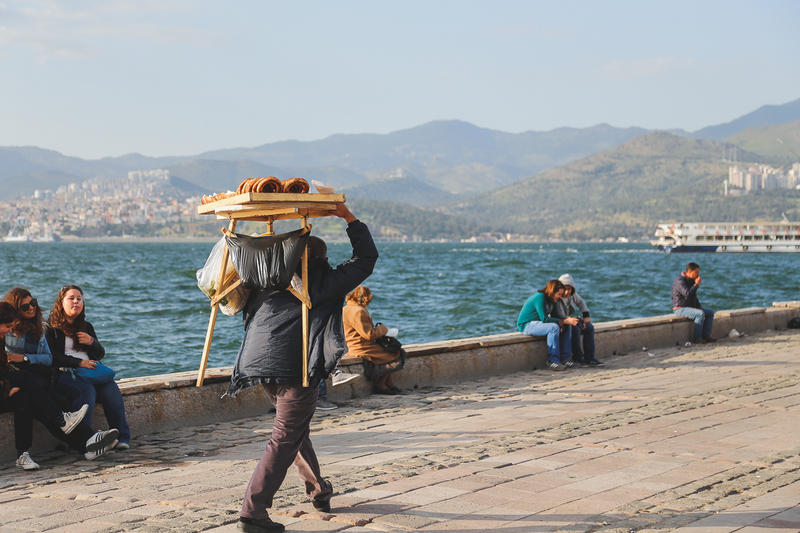 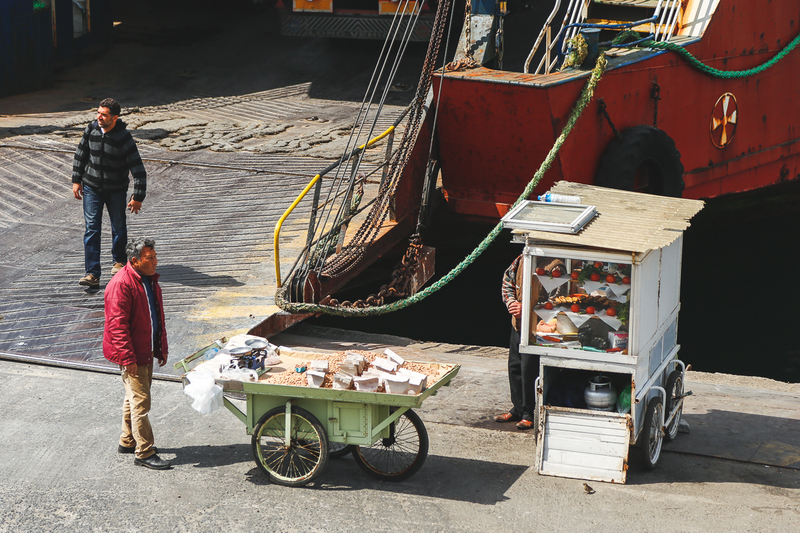 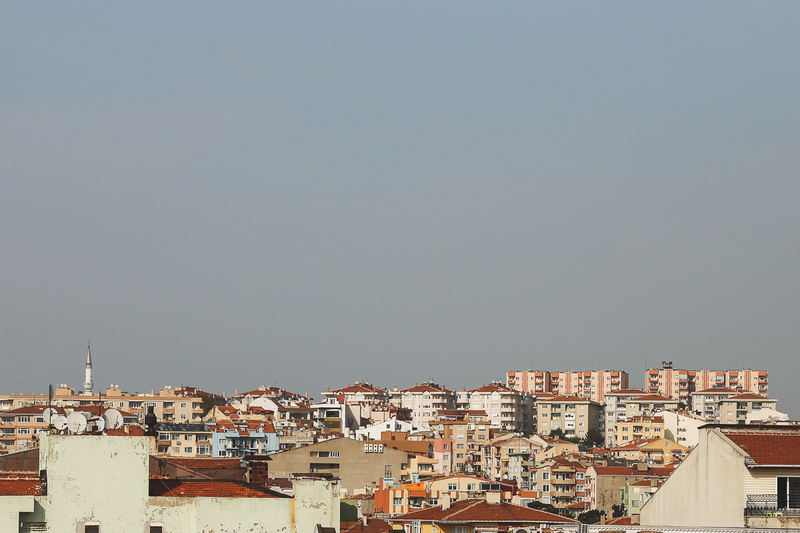 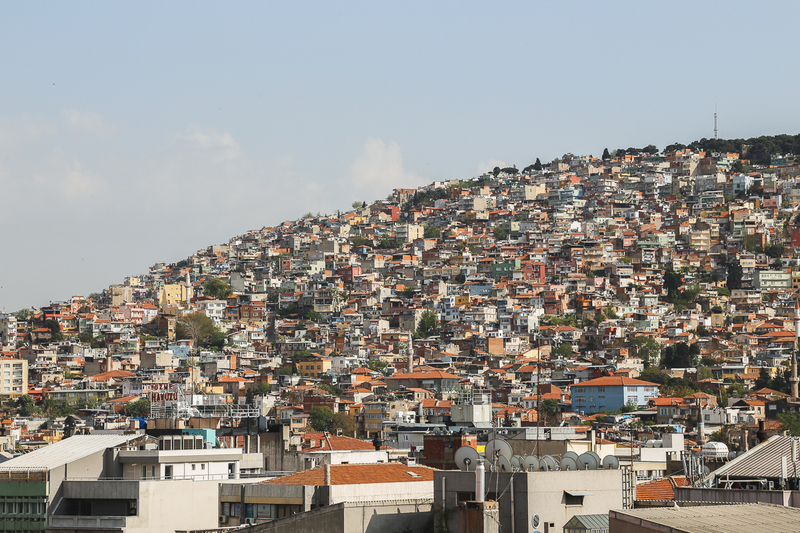 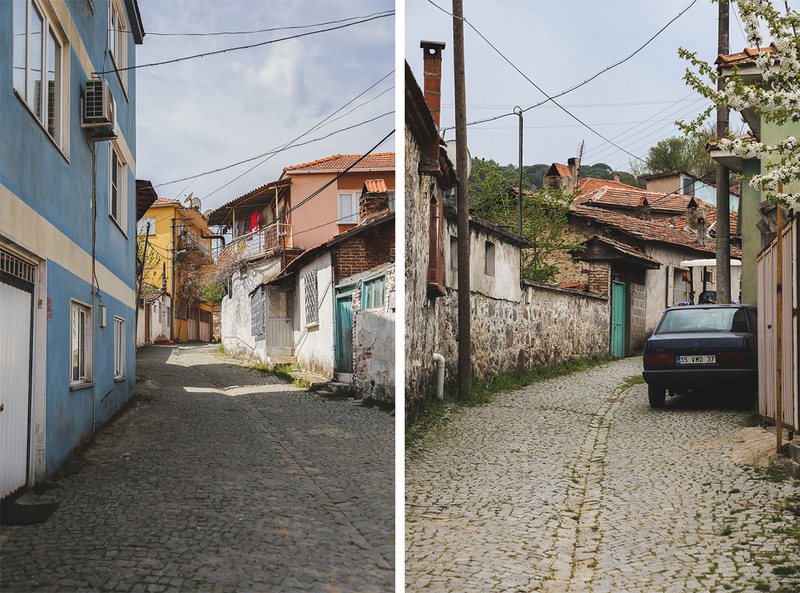 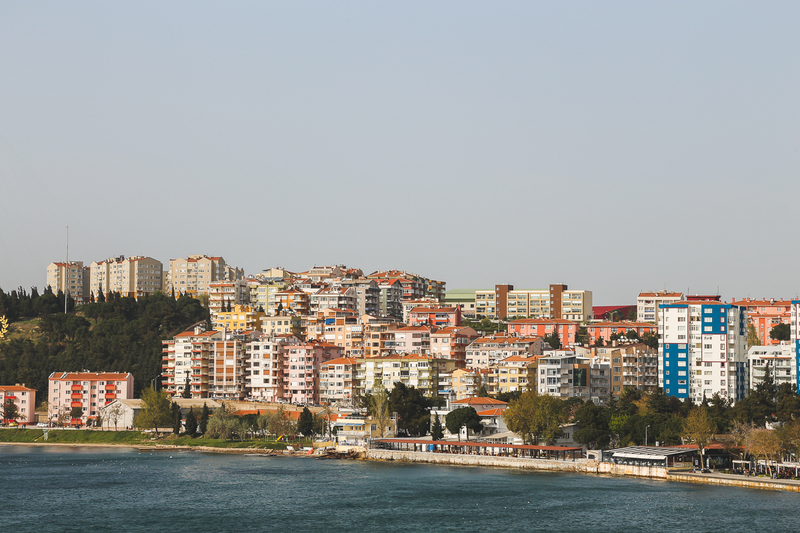 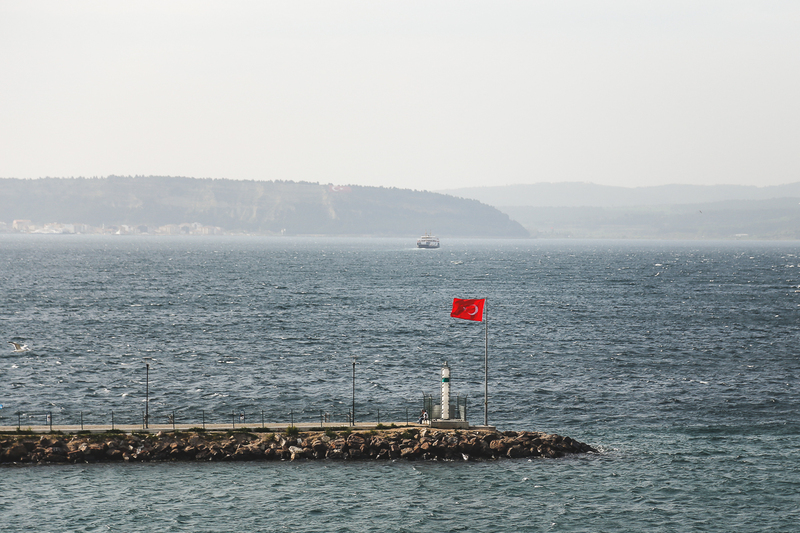 If Istanbul is the bustling big sister, Izmir is it’s charming antithesis. 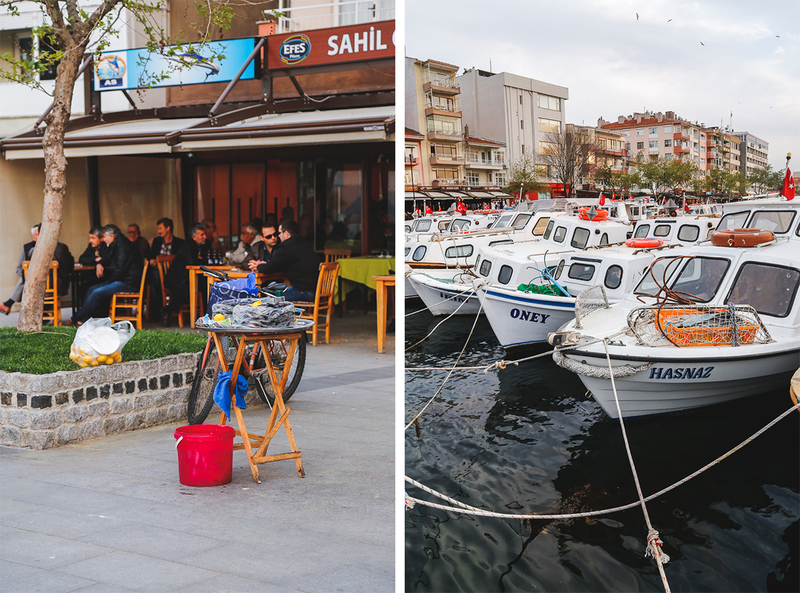 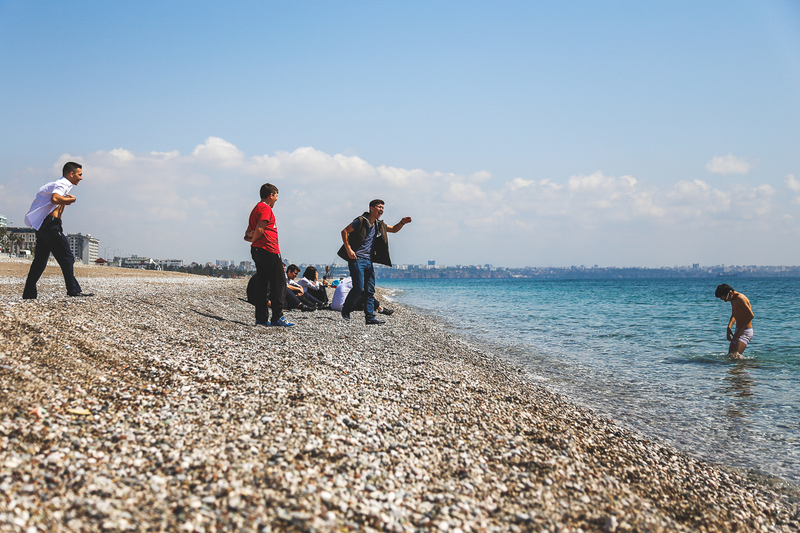 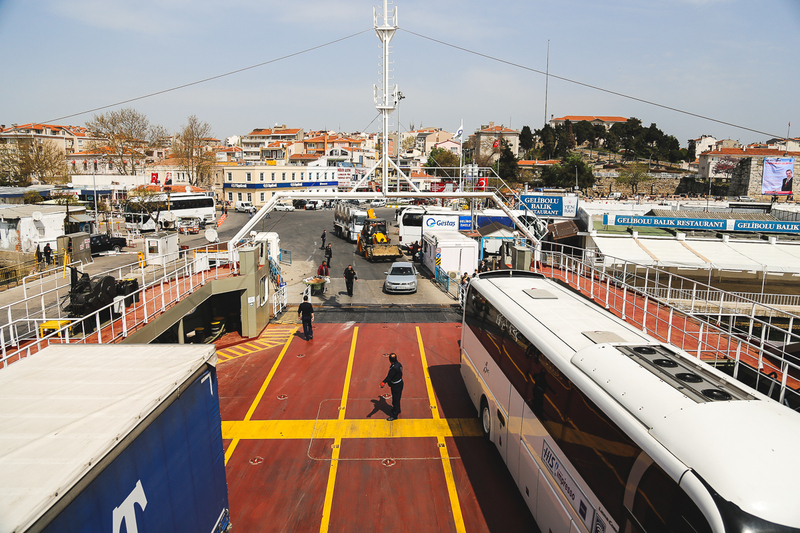 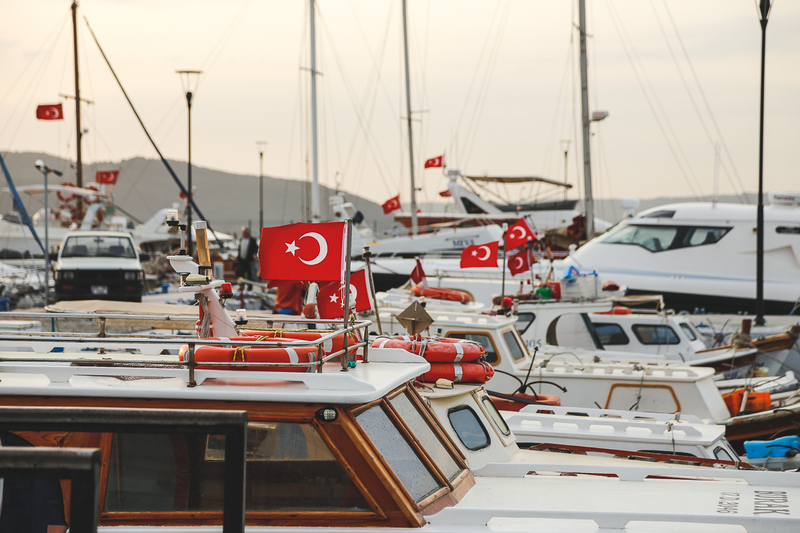 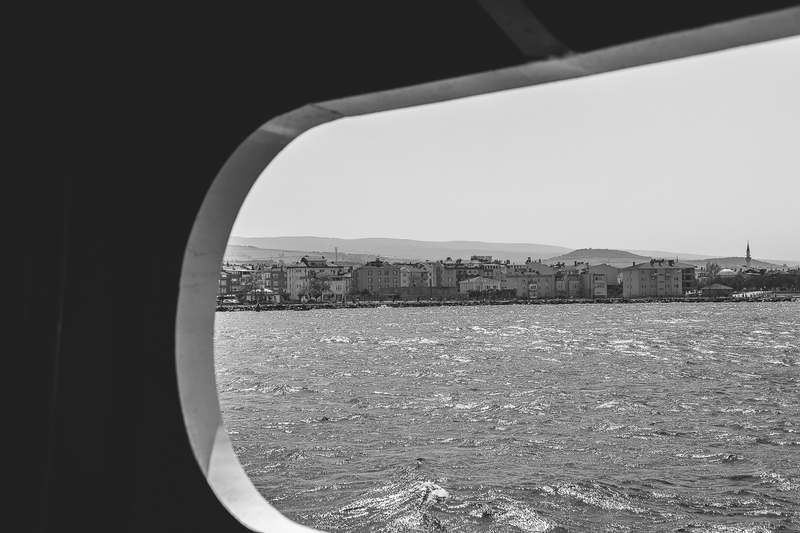 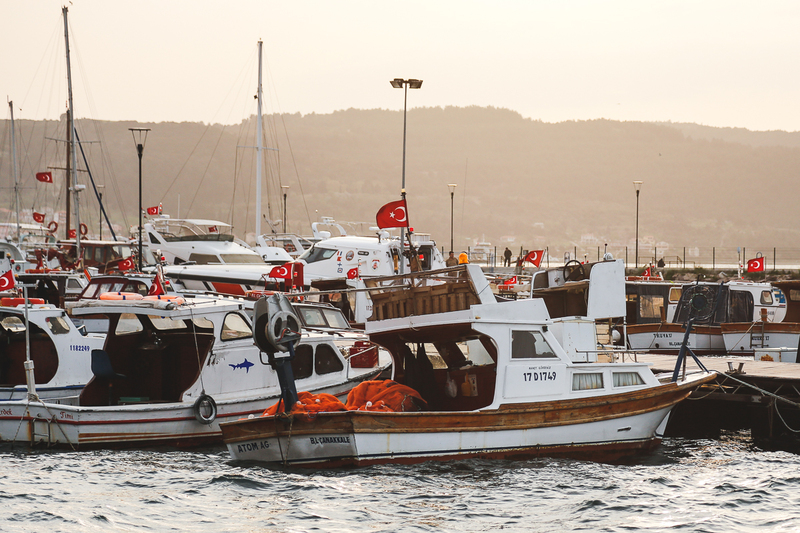 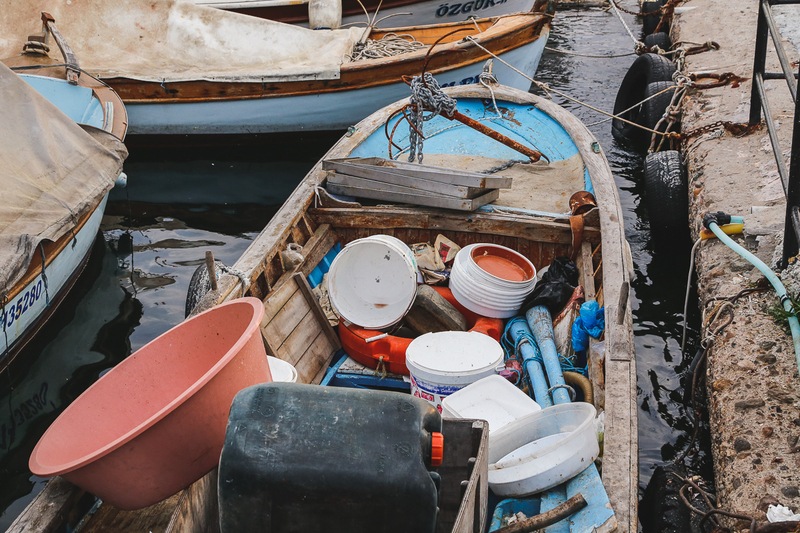 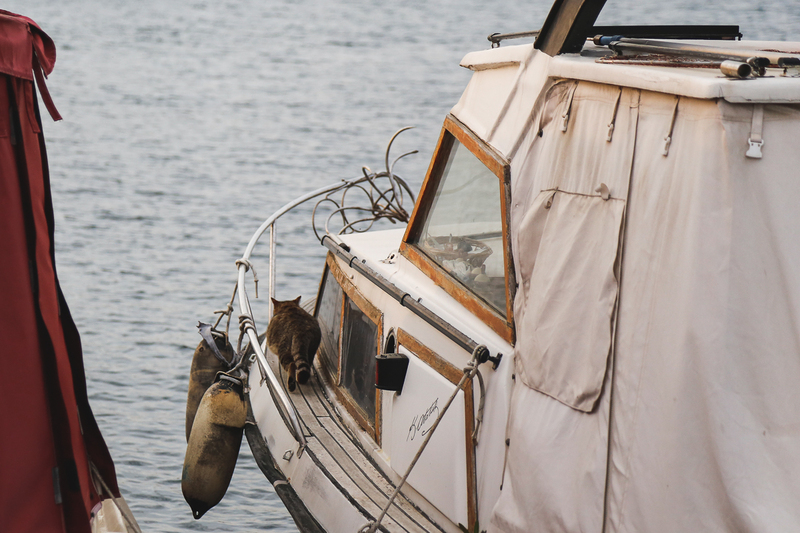 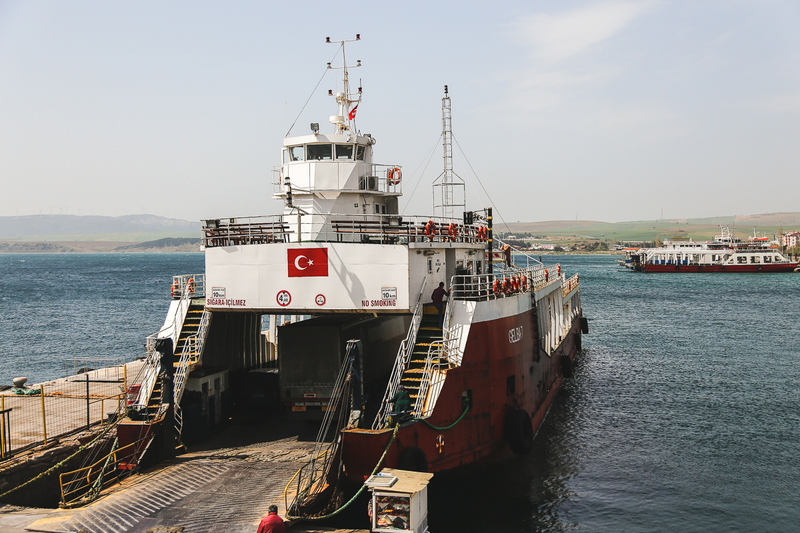 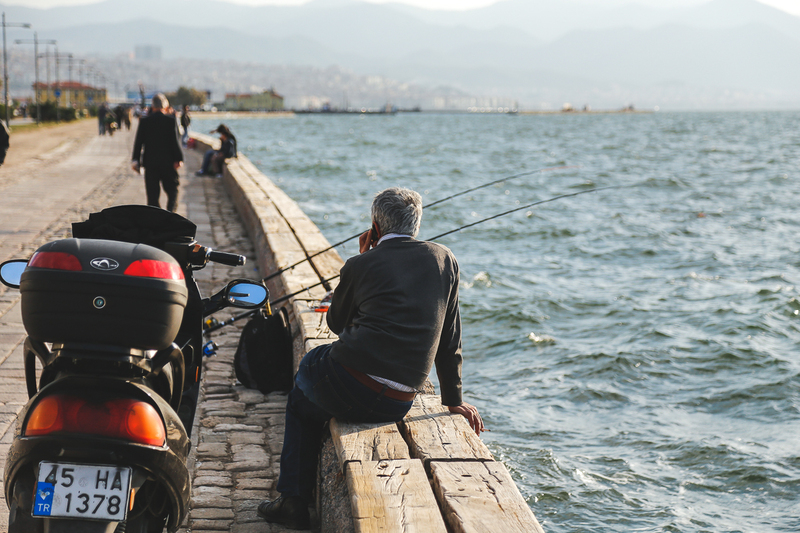 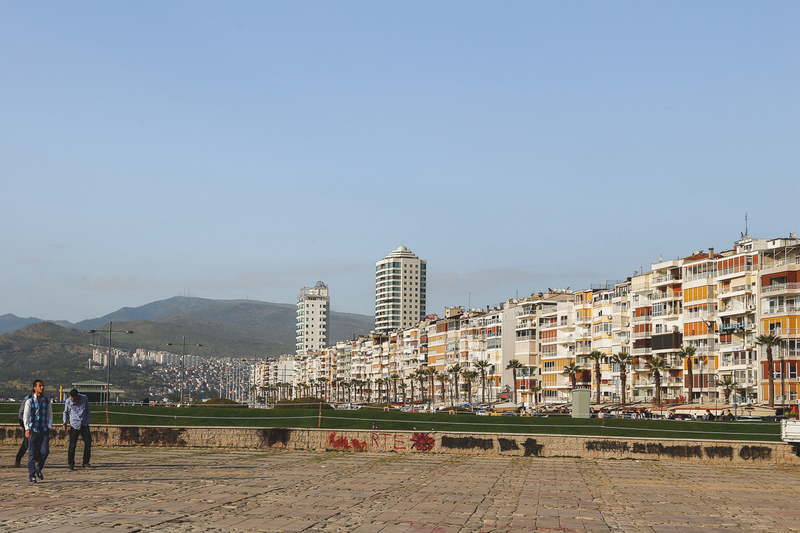 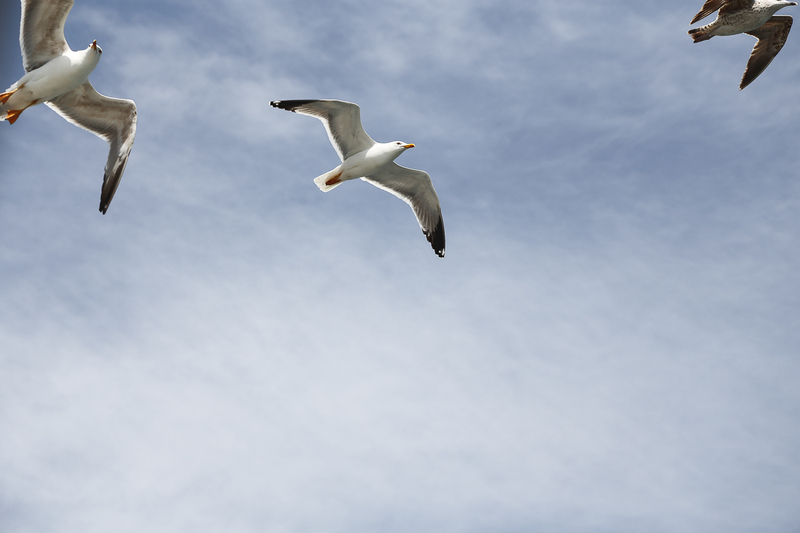 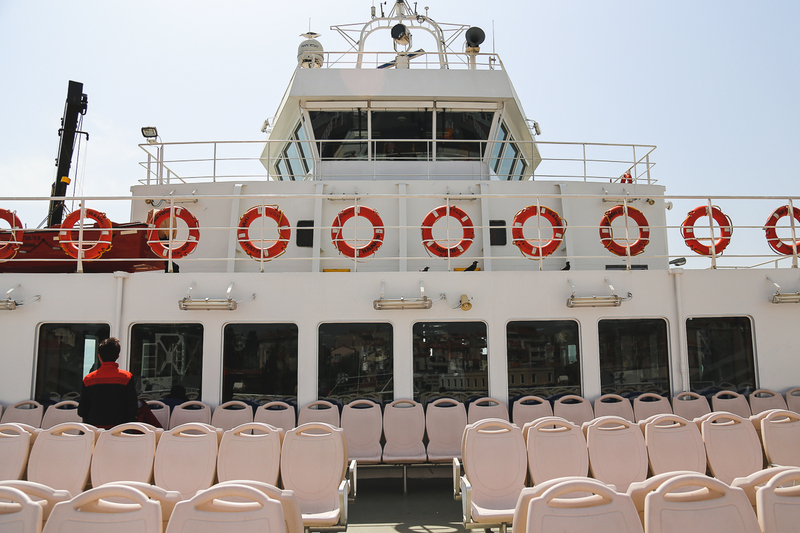 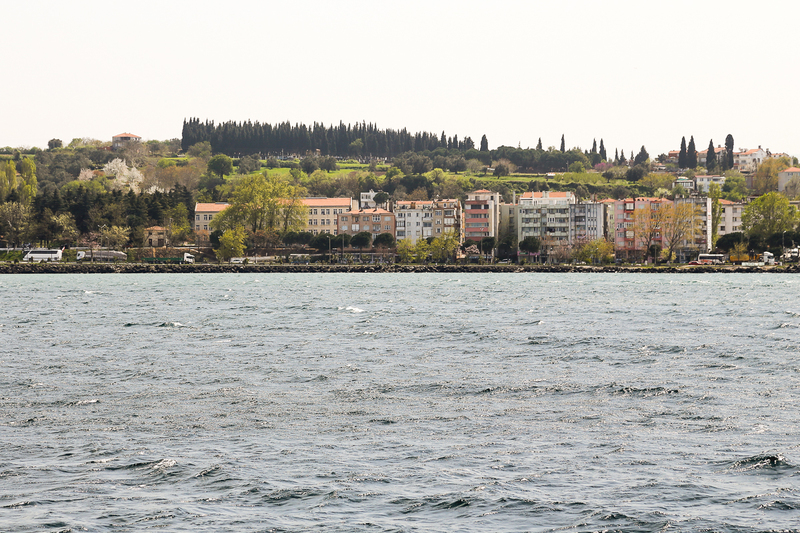 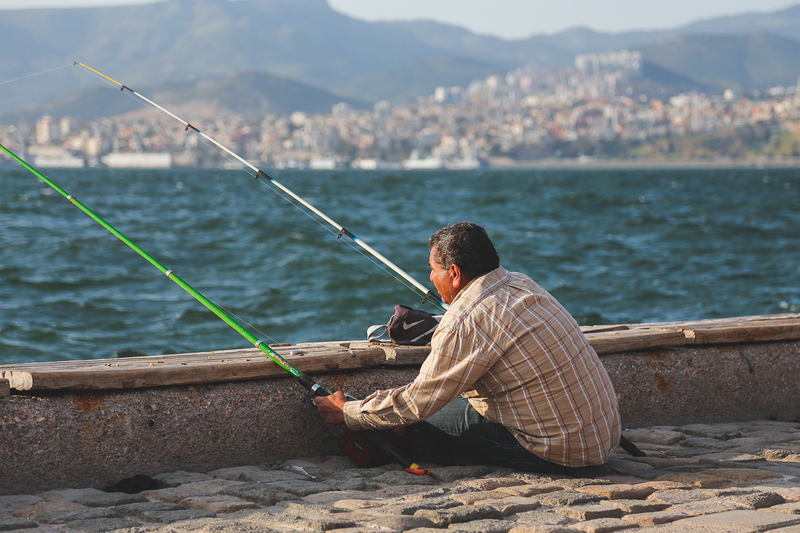 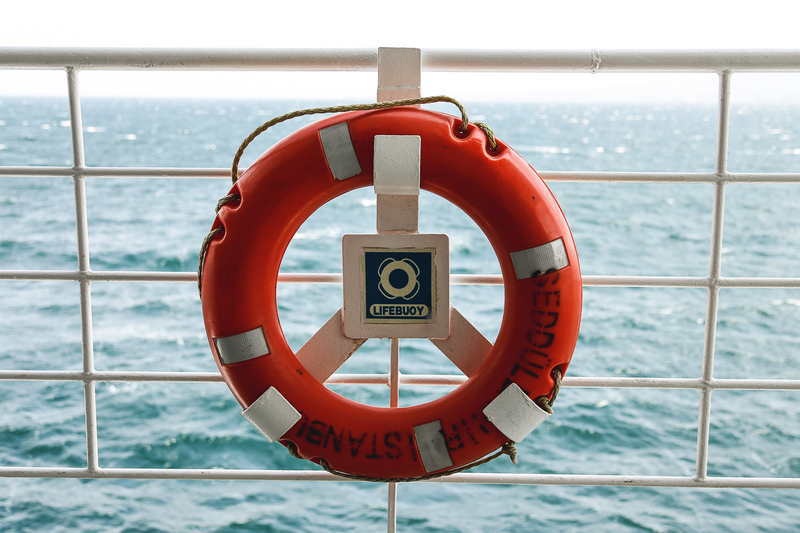 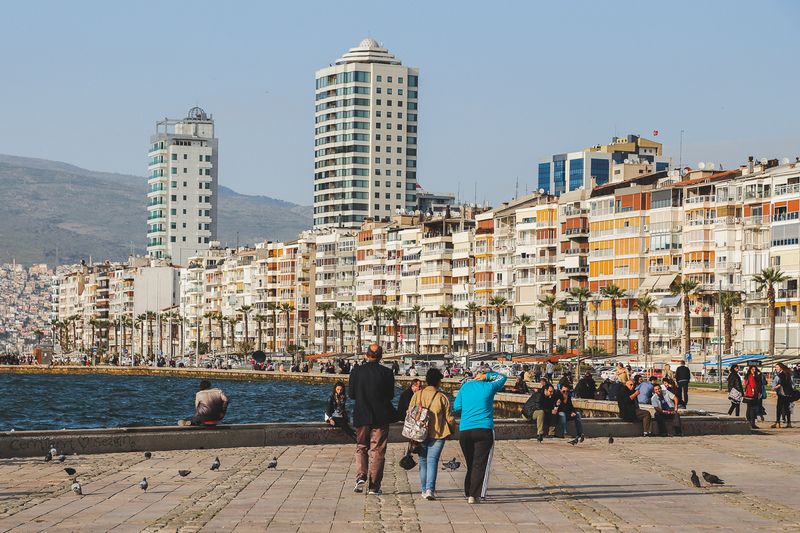 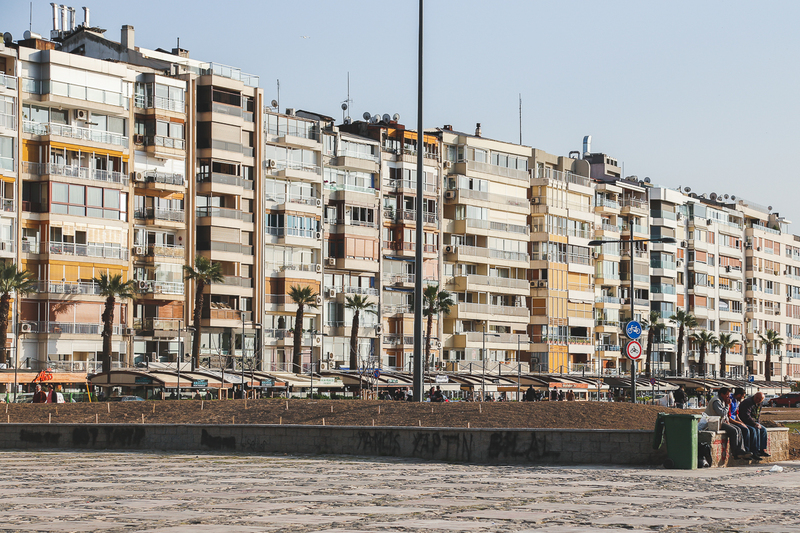 If one side of the Izmir Bay is home to visiting cruise ships and their passengers, the other is home to the pleasant residents of the port city. 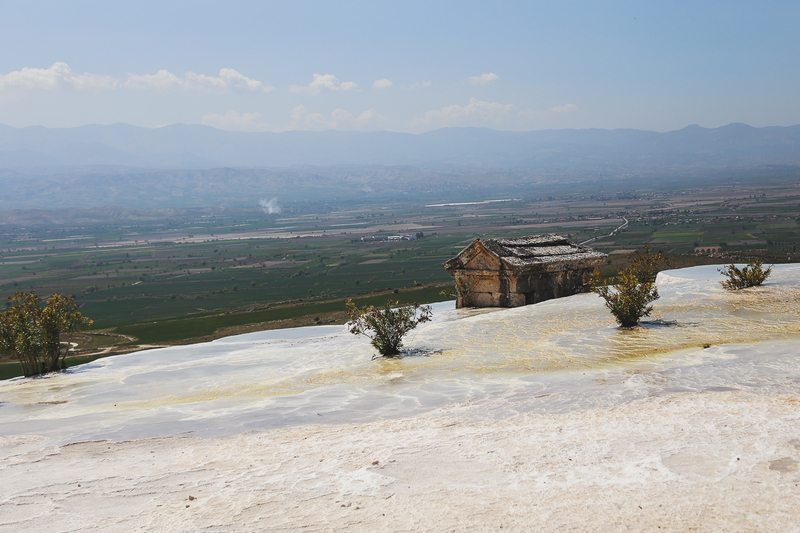 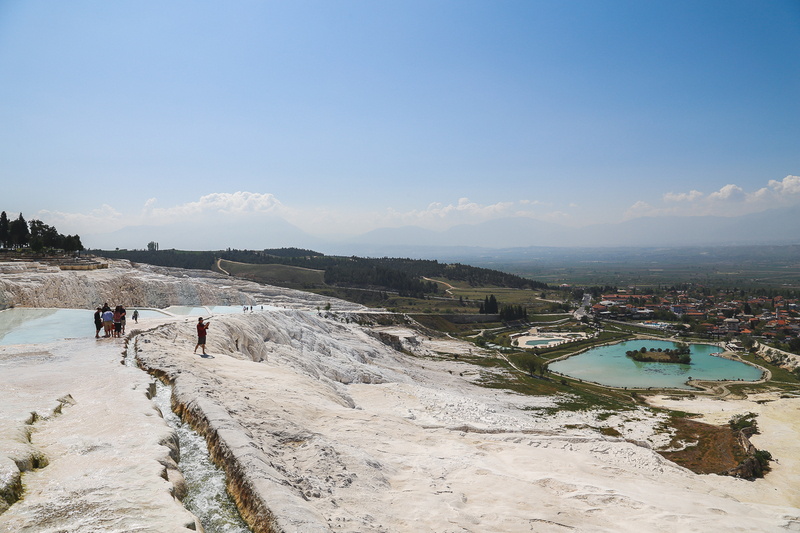 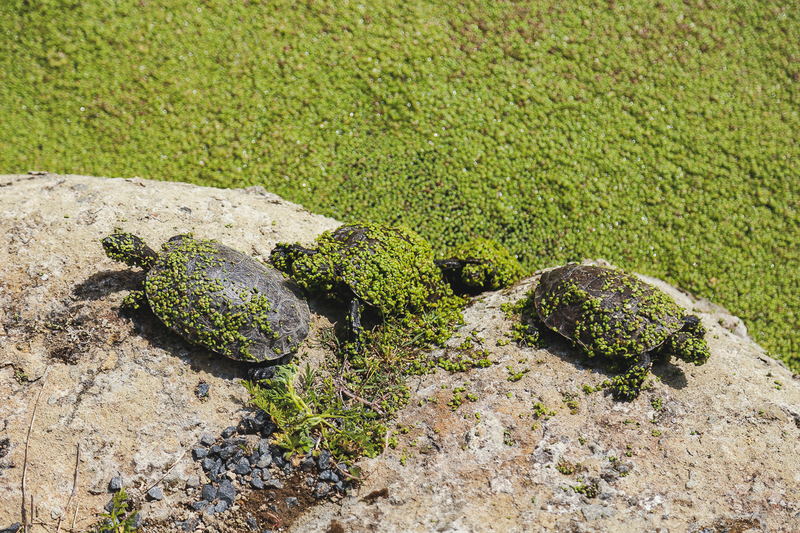 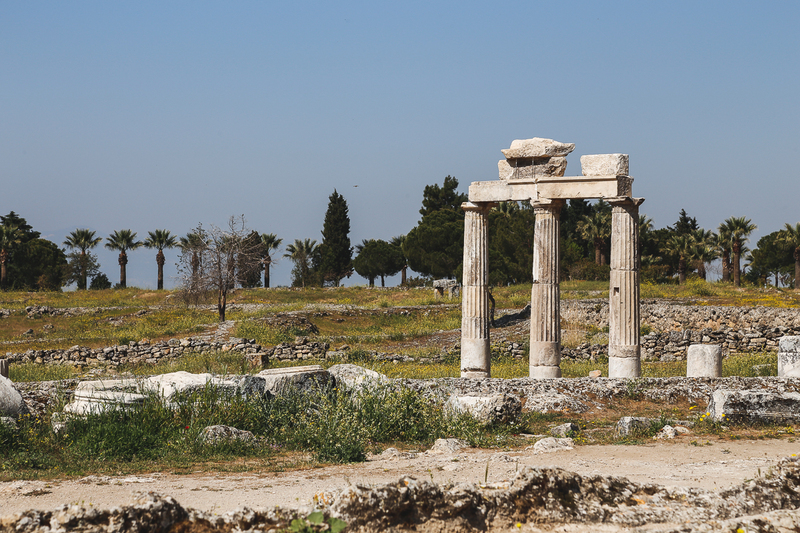 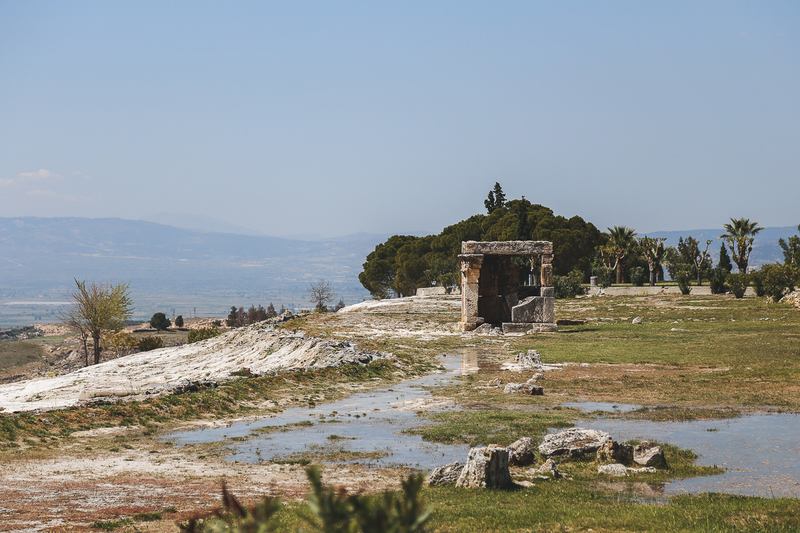 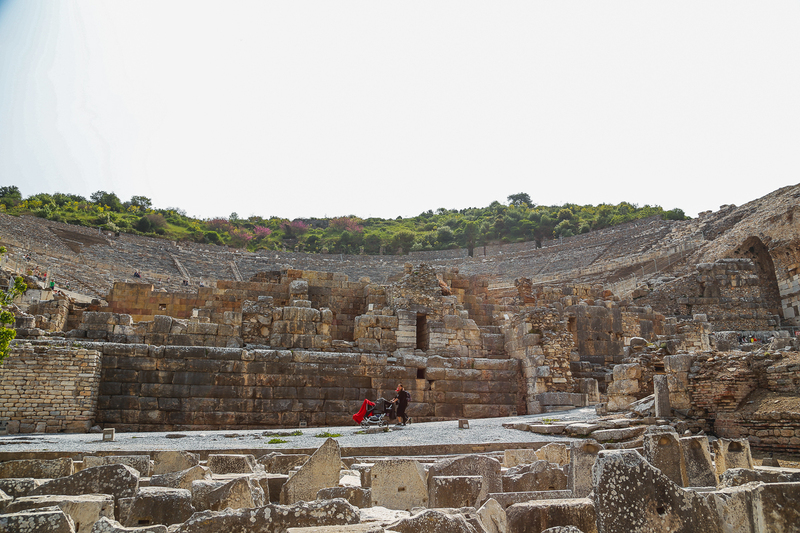 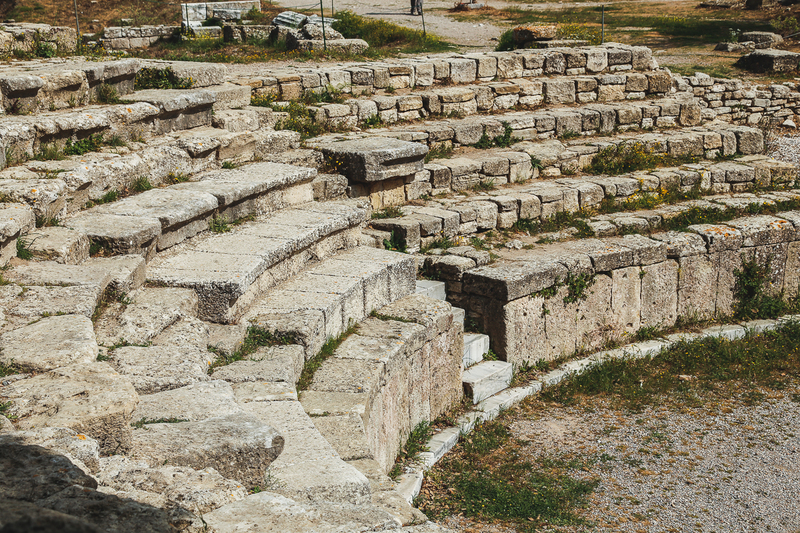 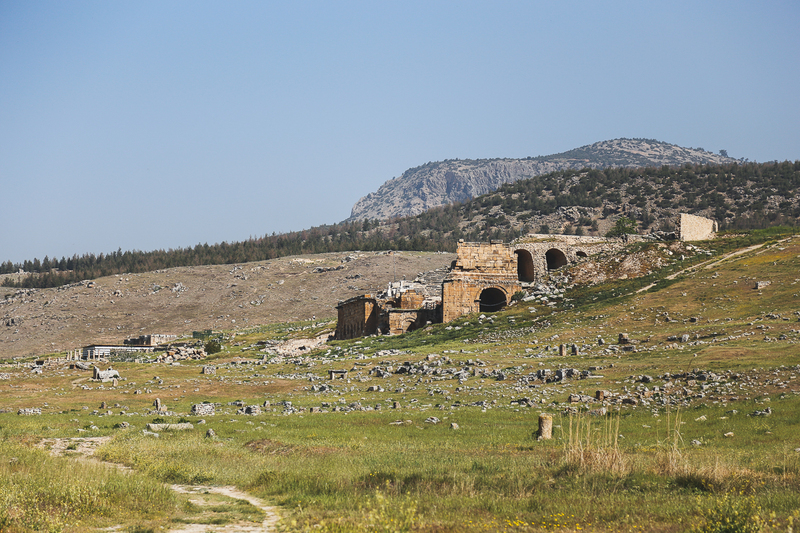 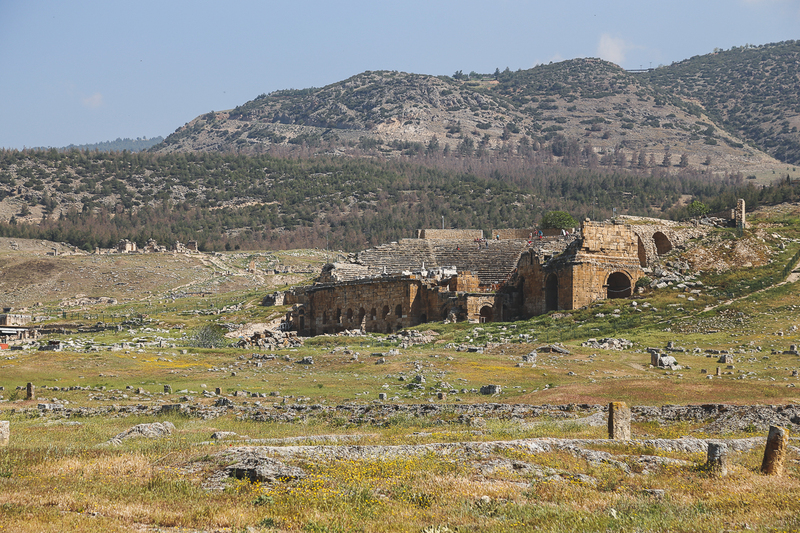 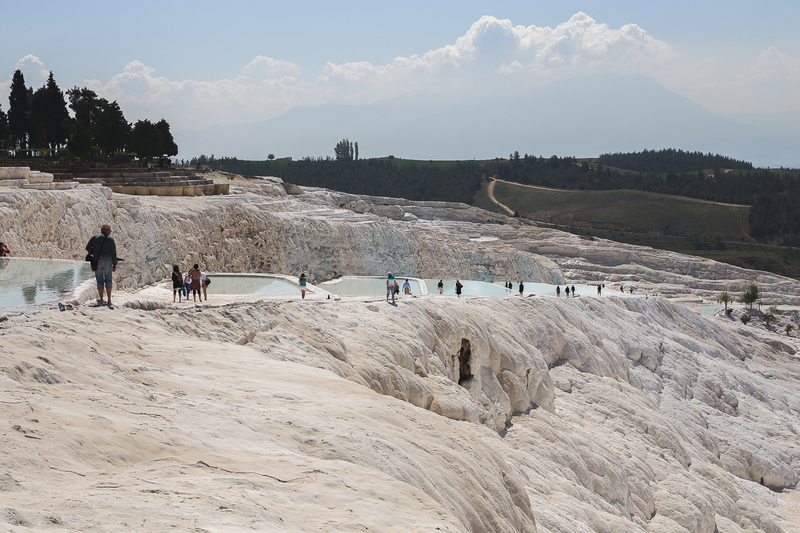 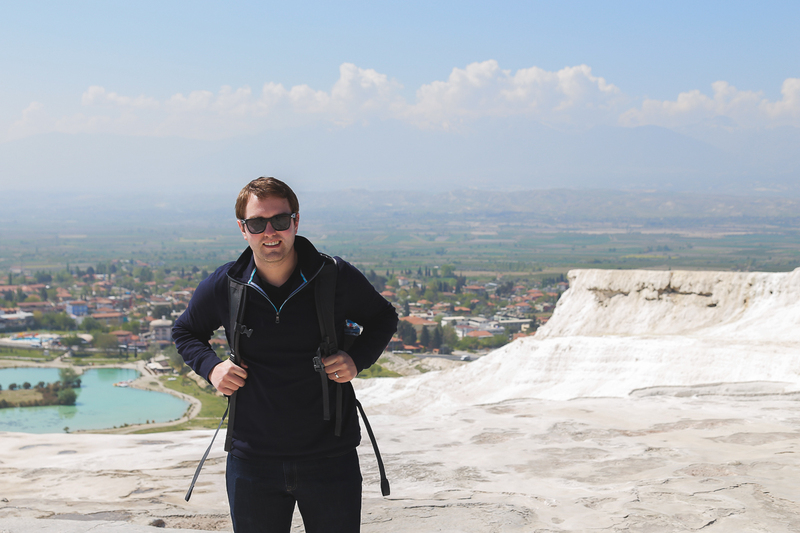 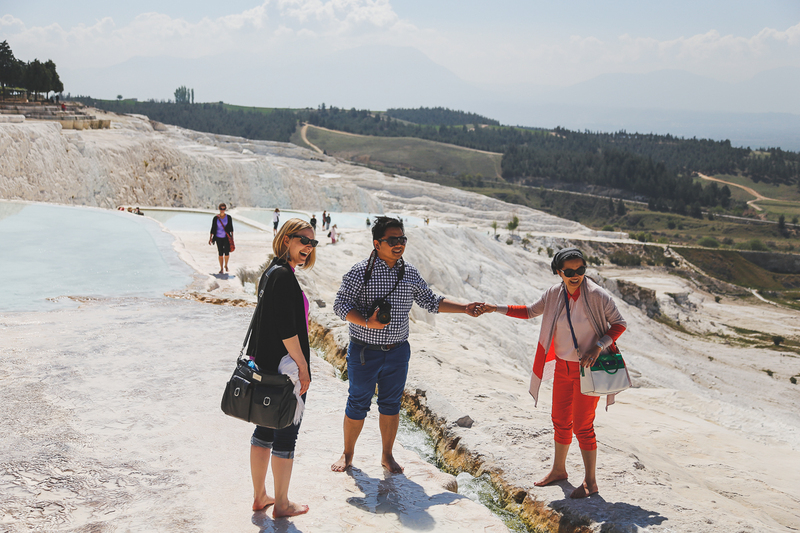 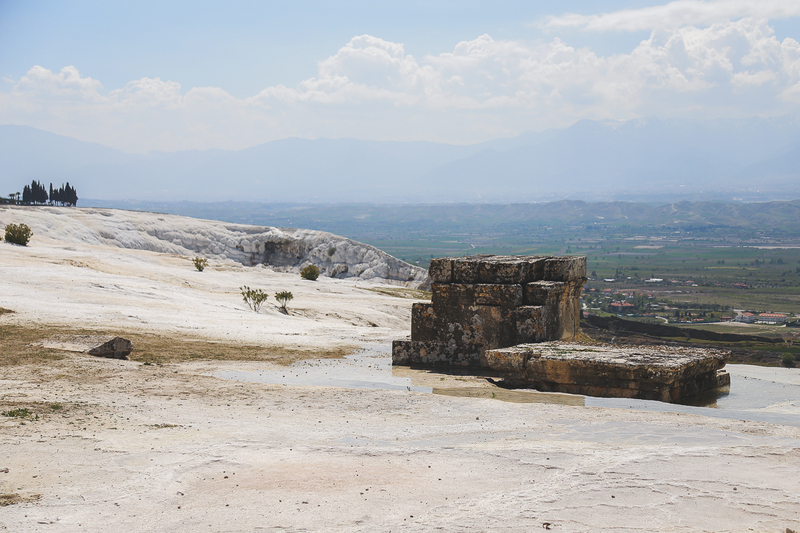 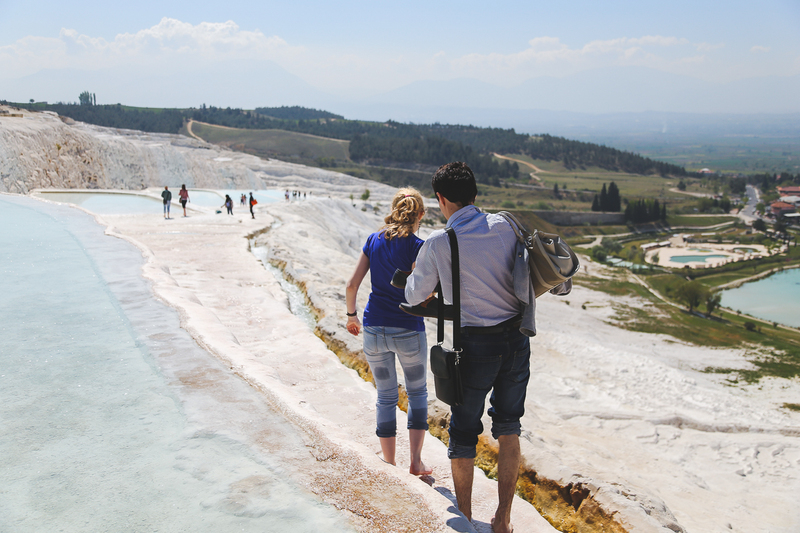 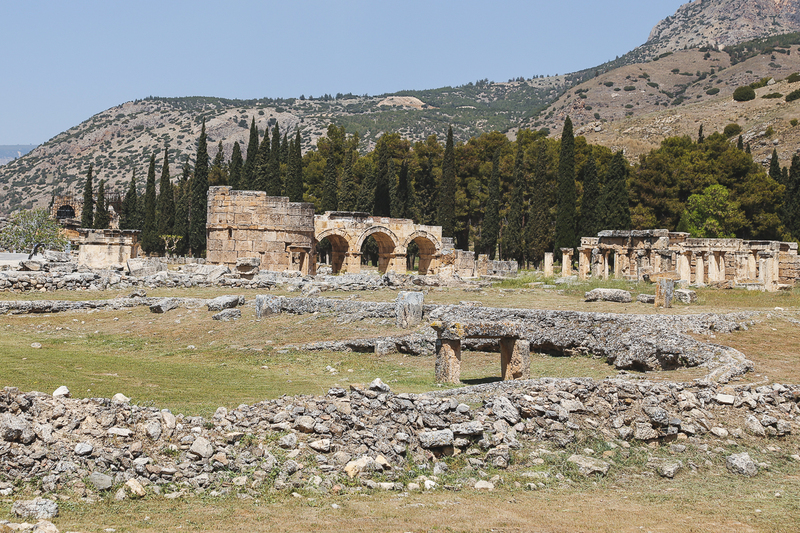 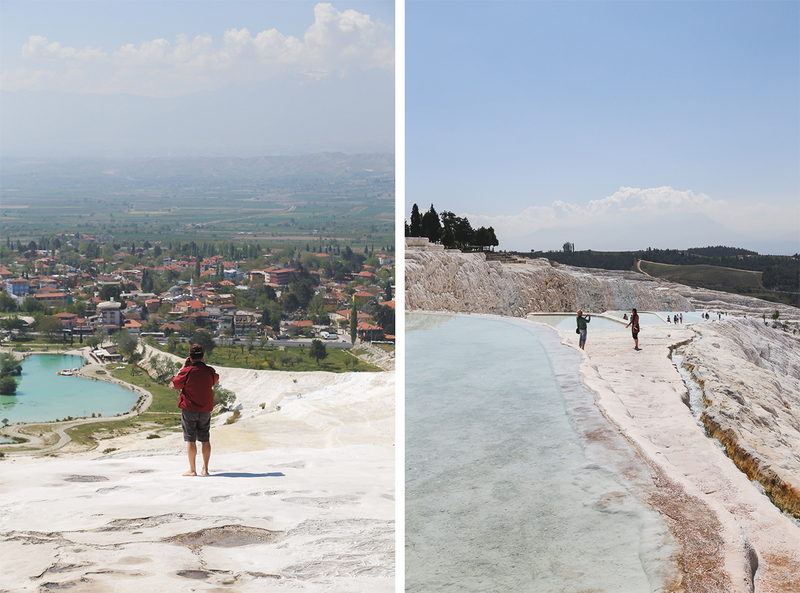 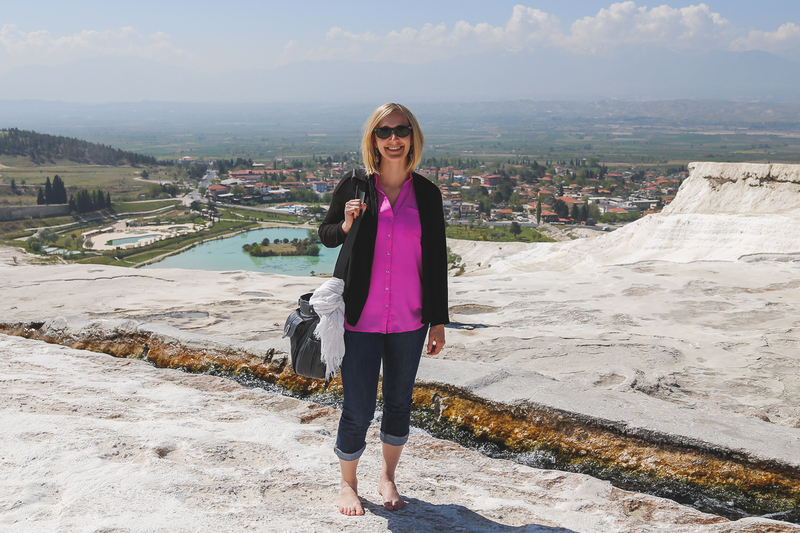 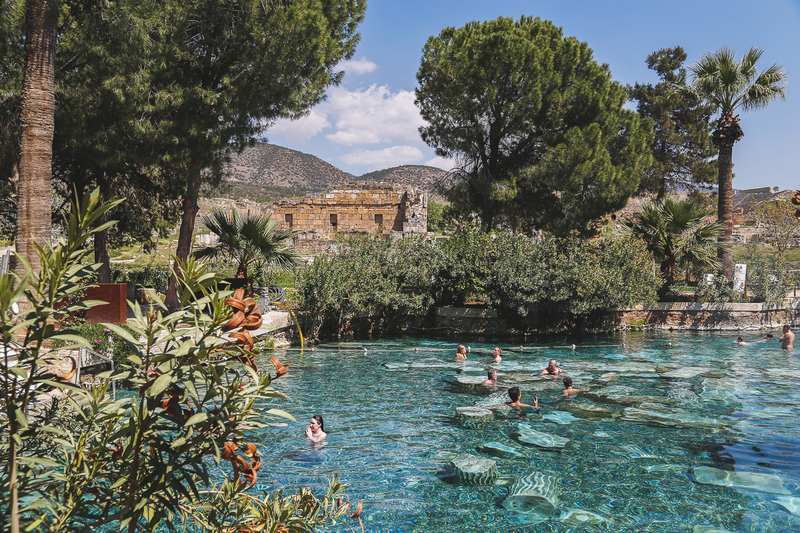 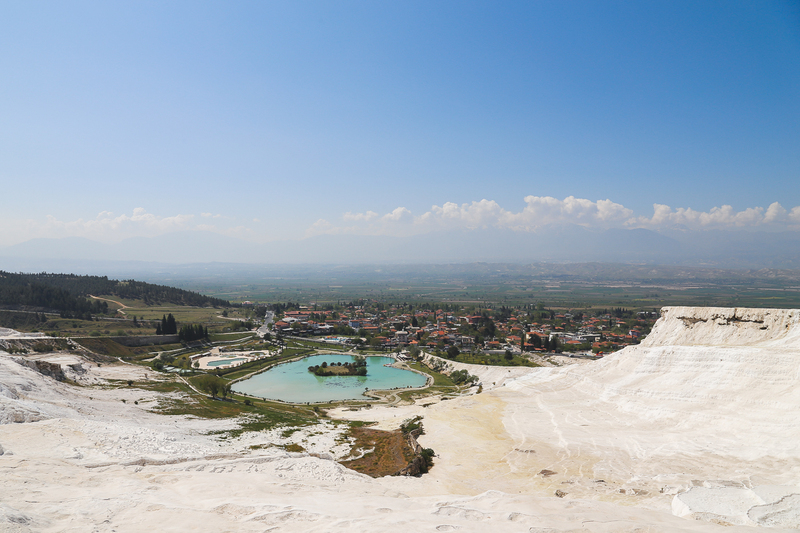 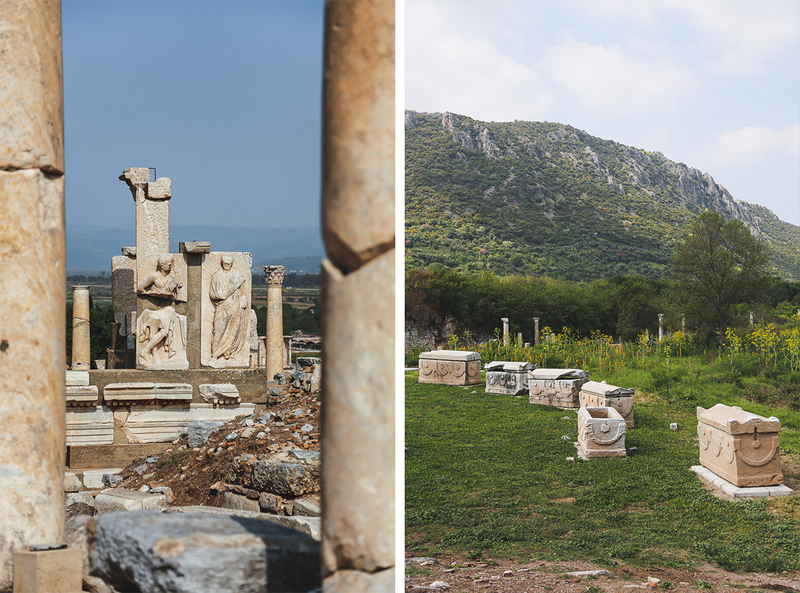 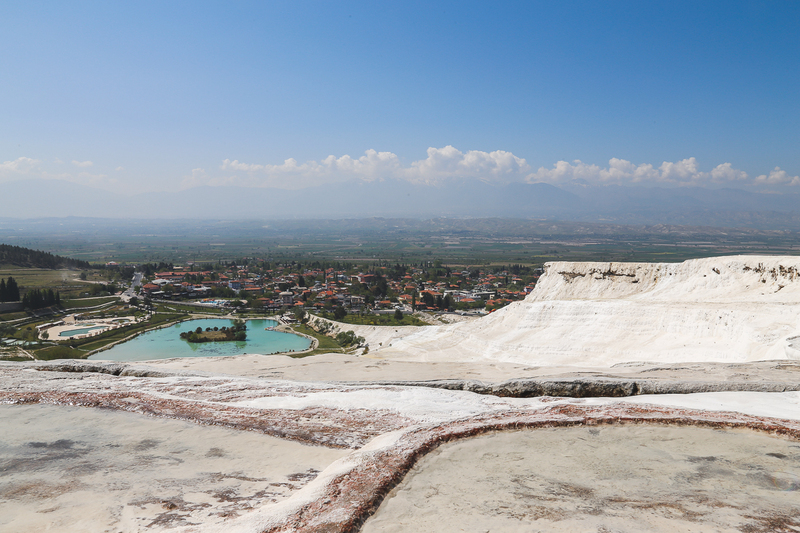 Further inland we visited the ruins of Hierapolis and the thermal springs of Pamukkale. 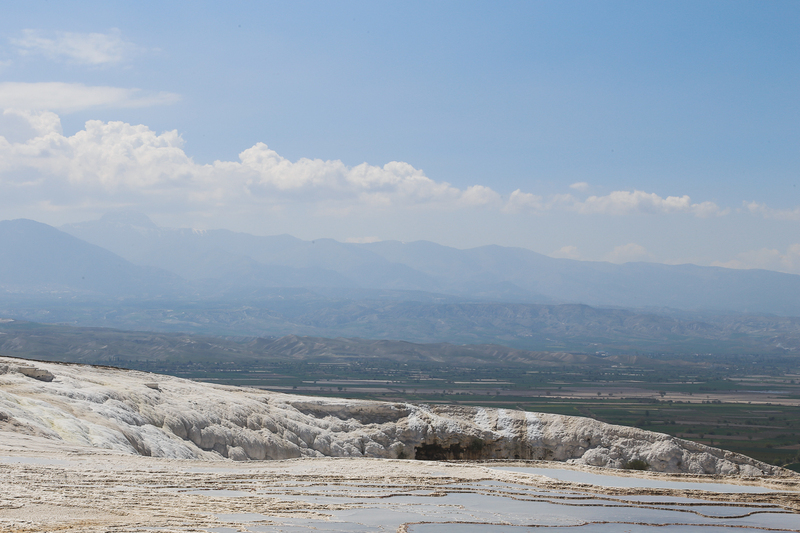 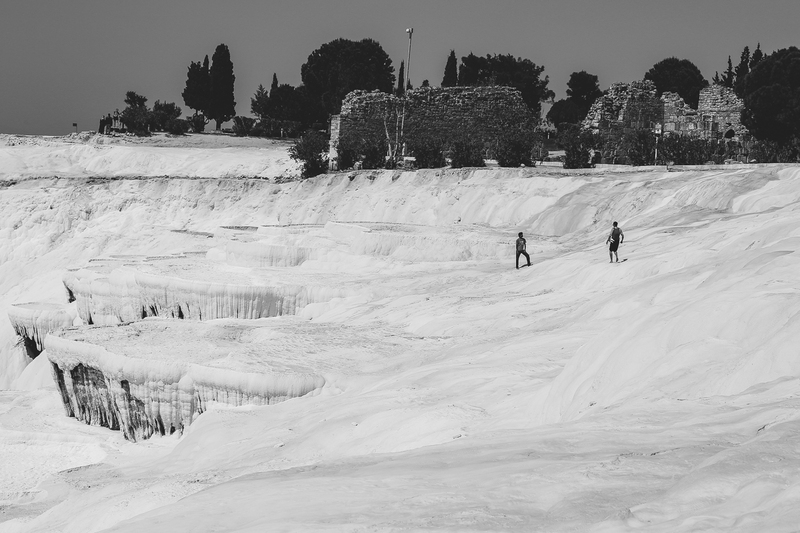 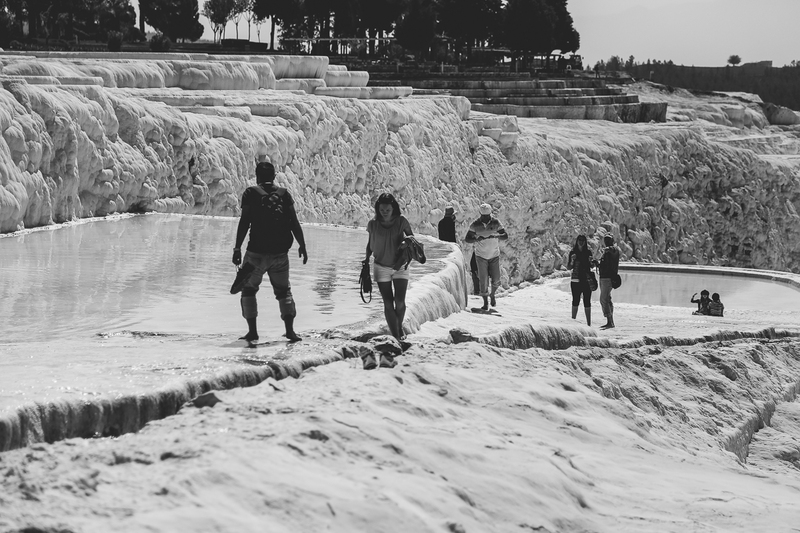 Layers of white calcium carbonate have given the plateaus their name; Pamukkale means “cotton castle.” When the hot springs lose carbon dioxide, deposits of limestone are left behind. 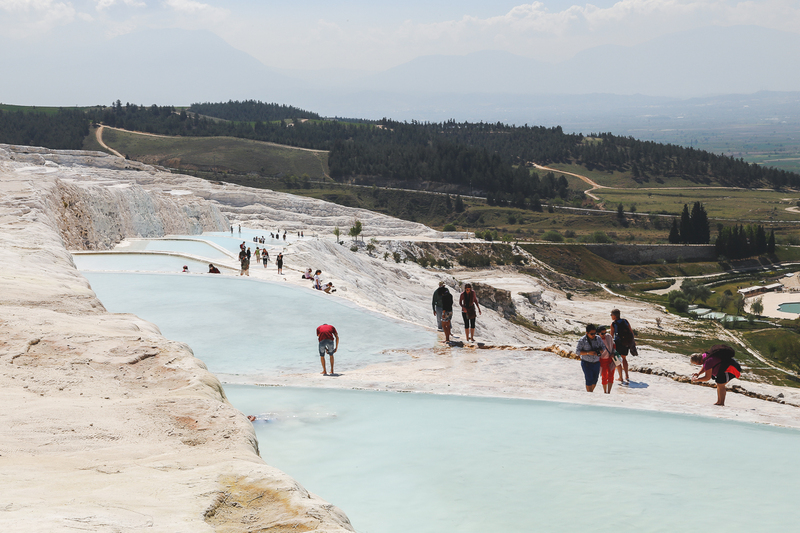 Bathing in the plateau springs of this World Heritage Site is off limits, yet we bobbled along the edges with the rest of the tourists. 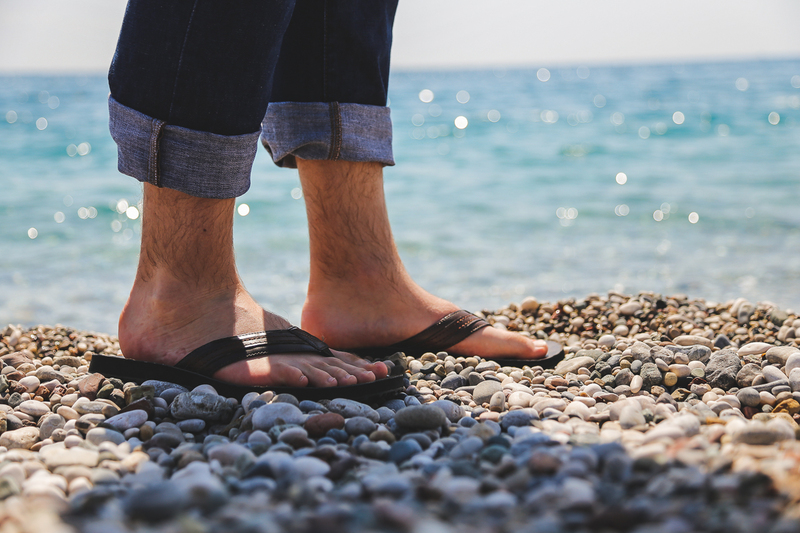 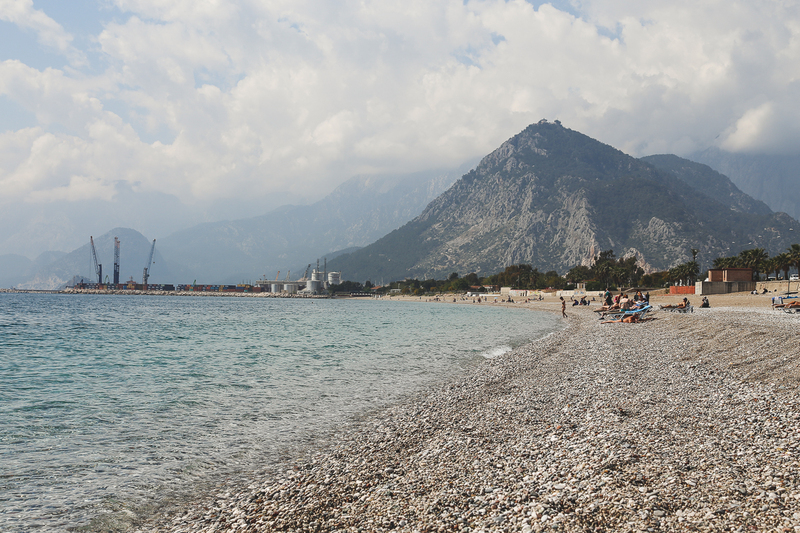 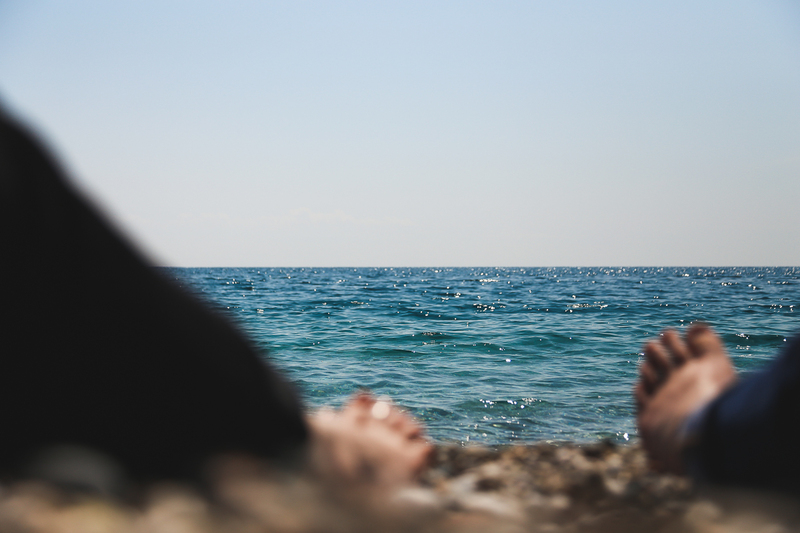 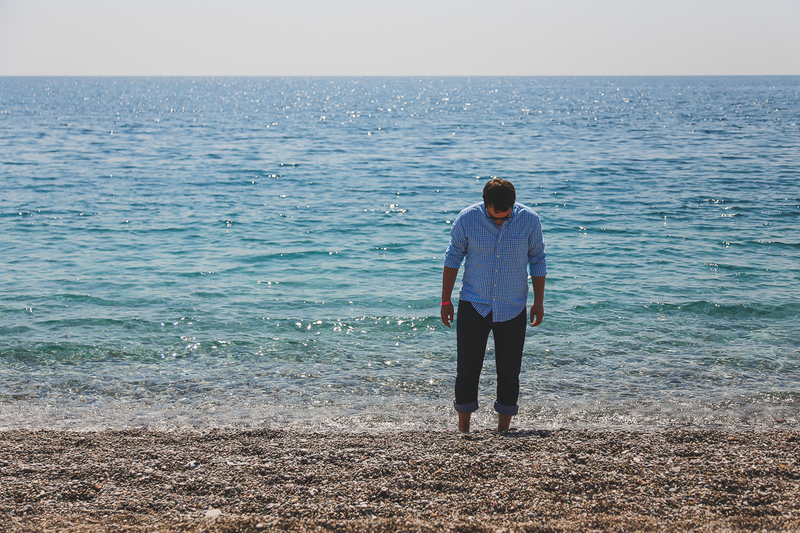 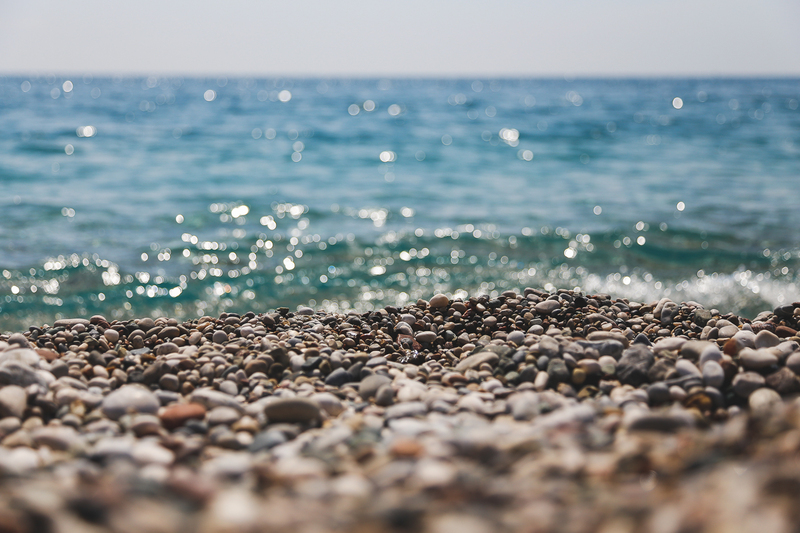 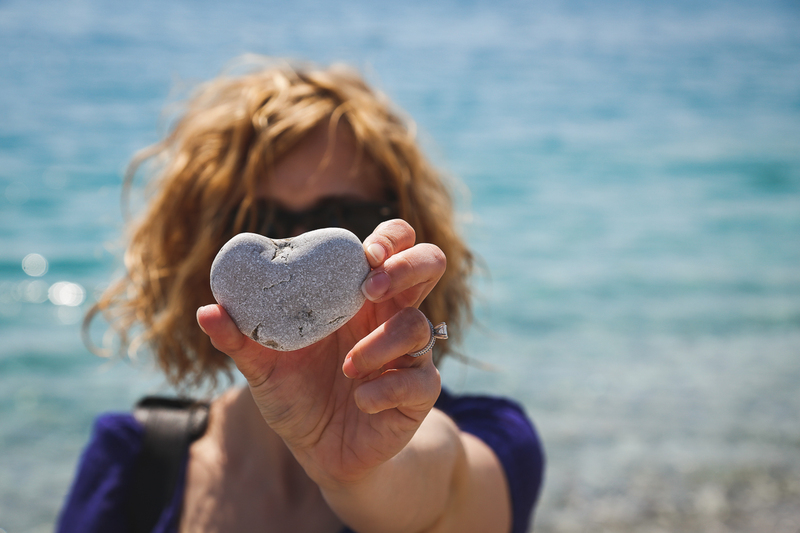 The rock-covered beaches of Antalya were like none we’ve seen. 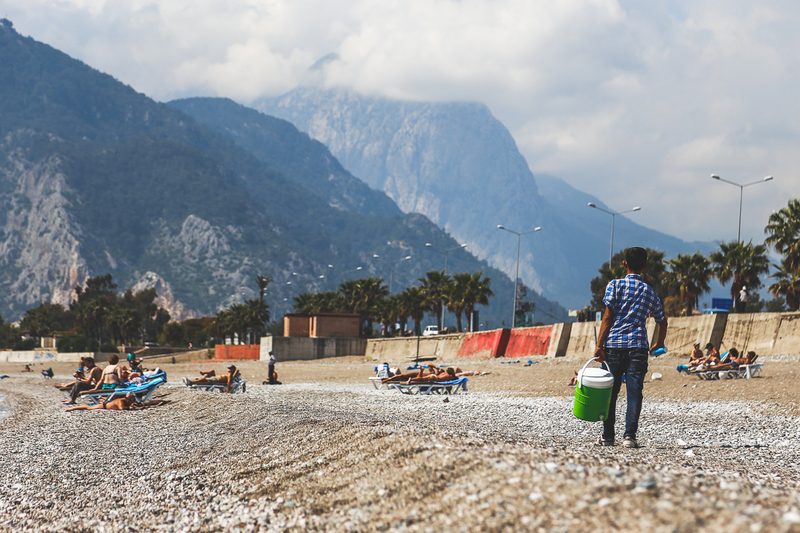 We spent our time in Antalya resting up, and avoiding the large number of Russian tourists that now flock to this resort town. 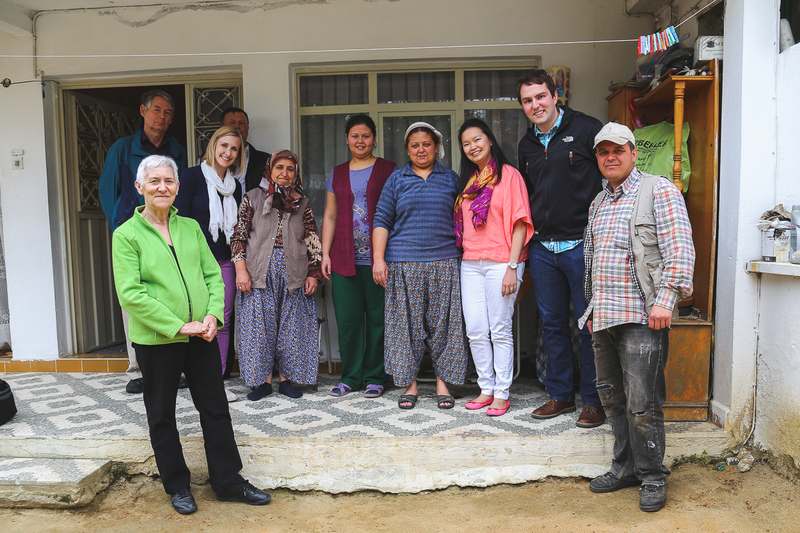 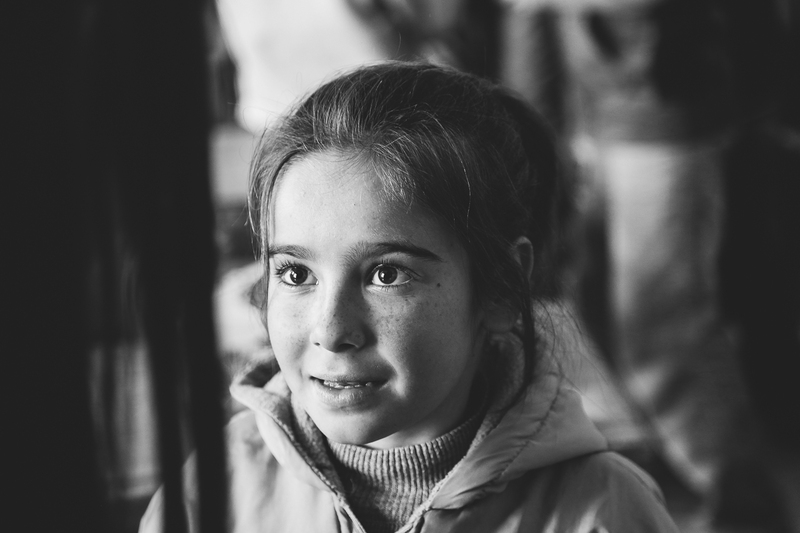 The company we toured with also partners with a school and a small village (we ate dinner in the home of a family of villagers) to offer a truly immersive experience. 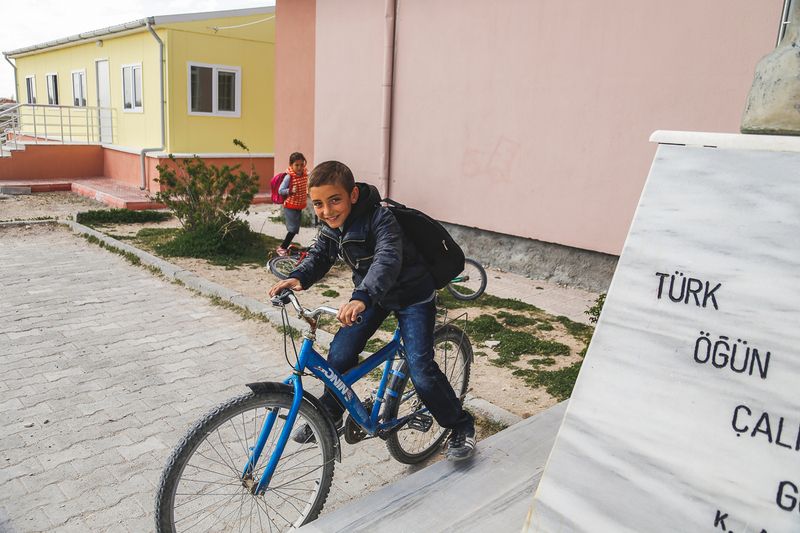 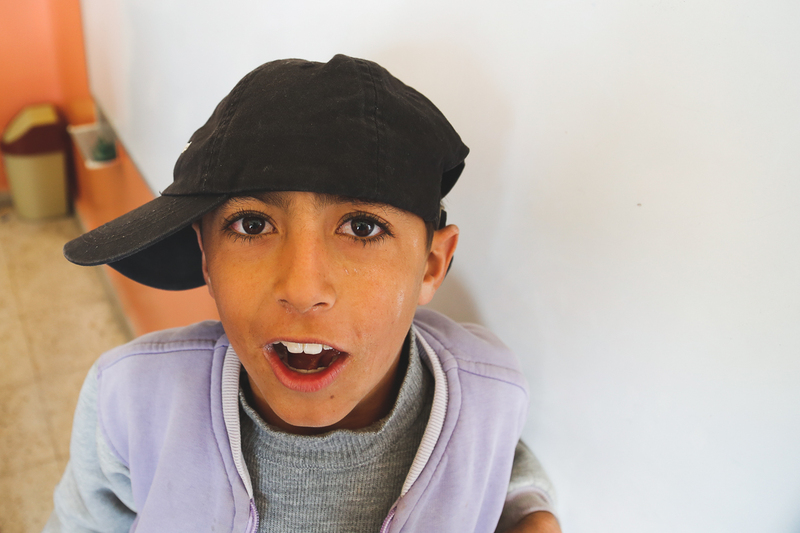 Gate 1 and their travelers support the school’s various programs and the building of new facilities. 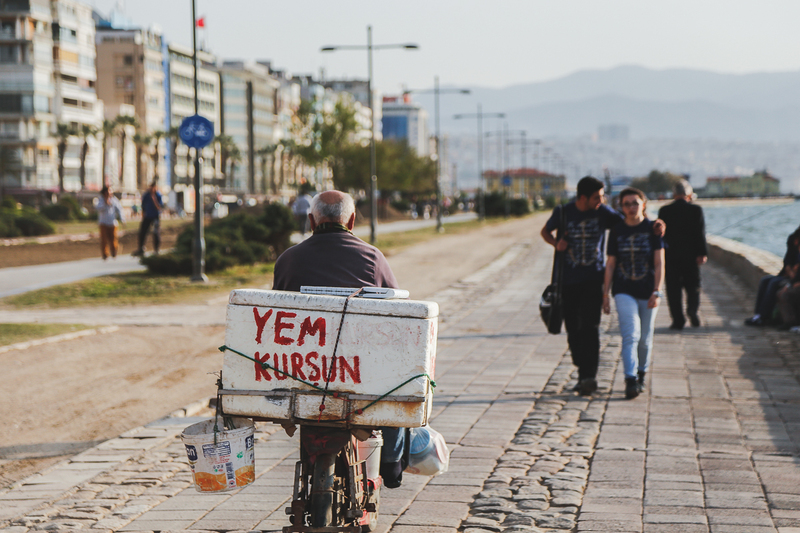 The students critiqued my Turkish and when they were done with me, my pronunciation of “İstanbul” had me passing for a local. 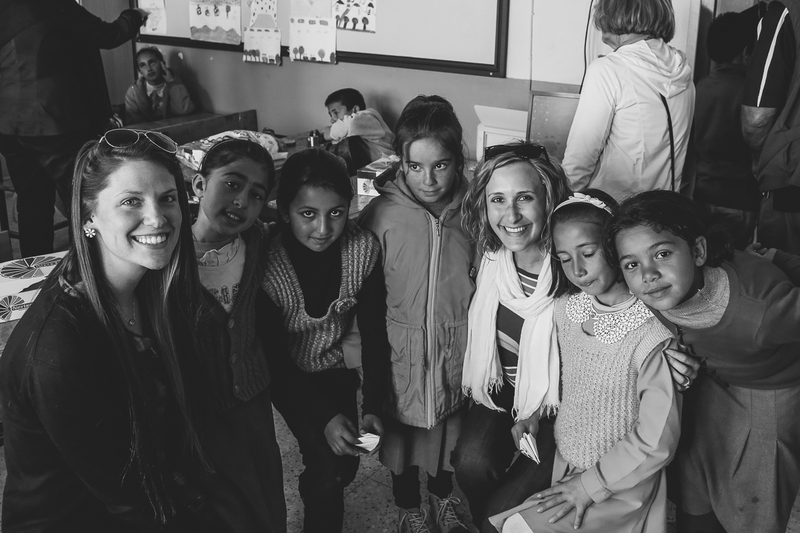 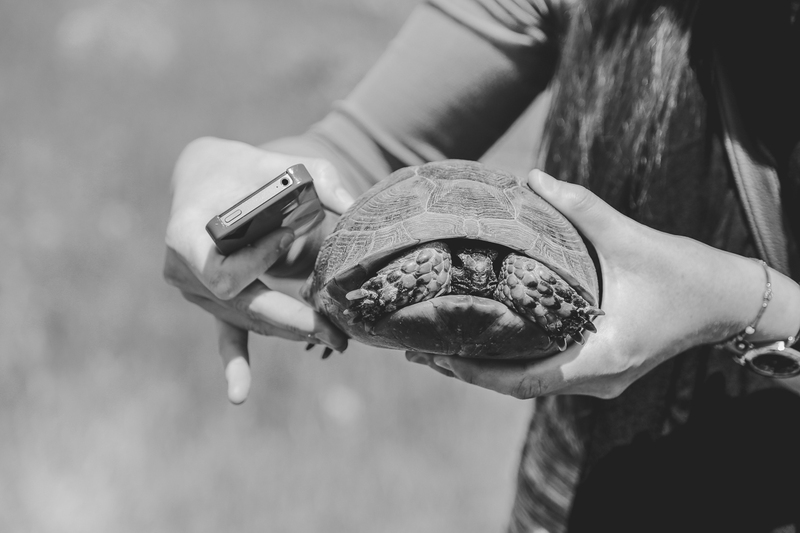 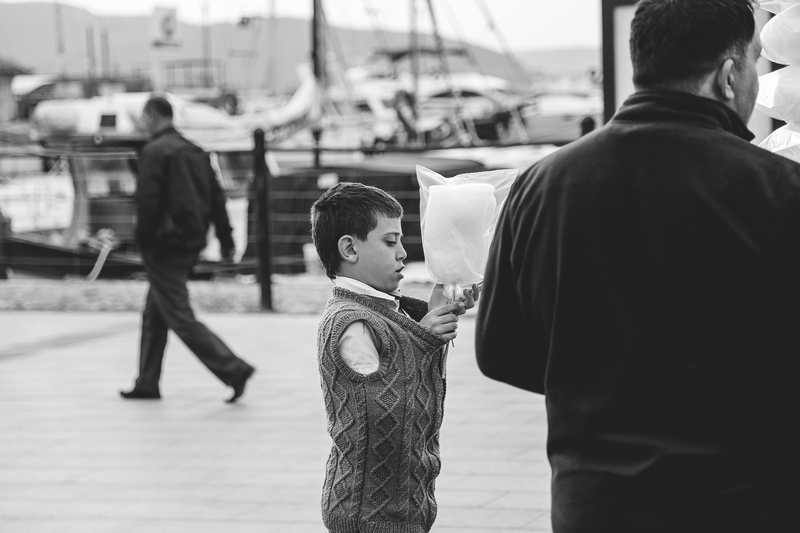 These portions of the trip were eye-opening and humbling. 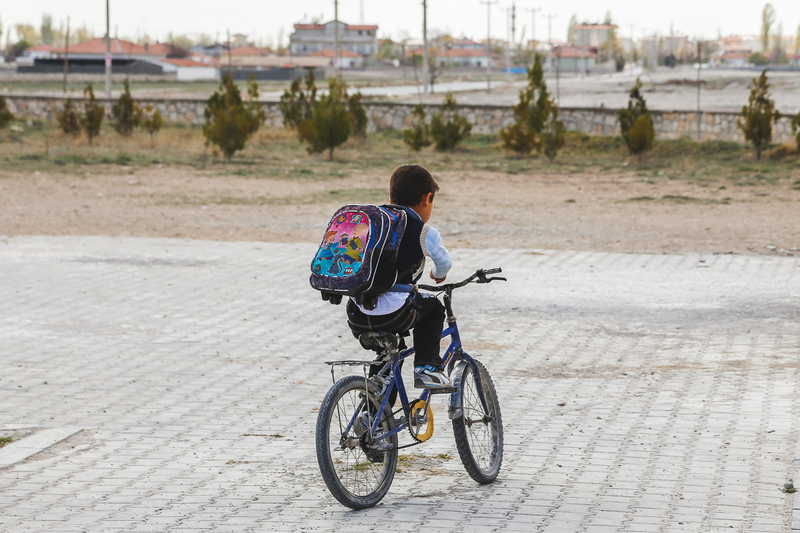 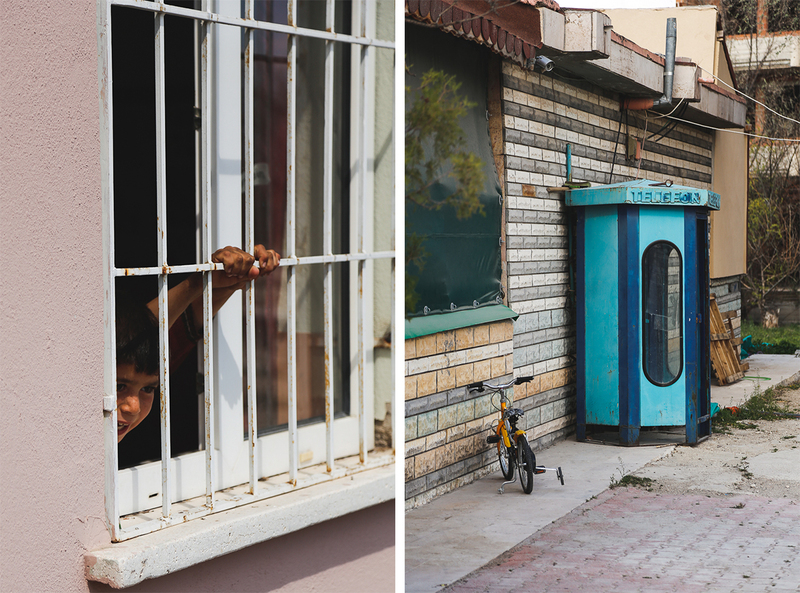 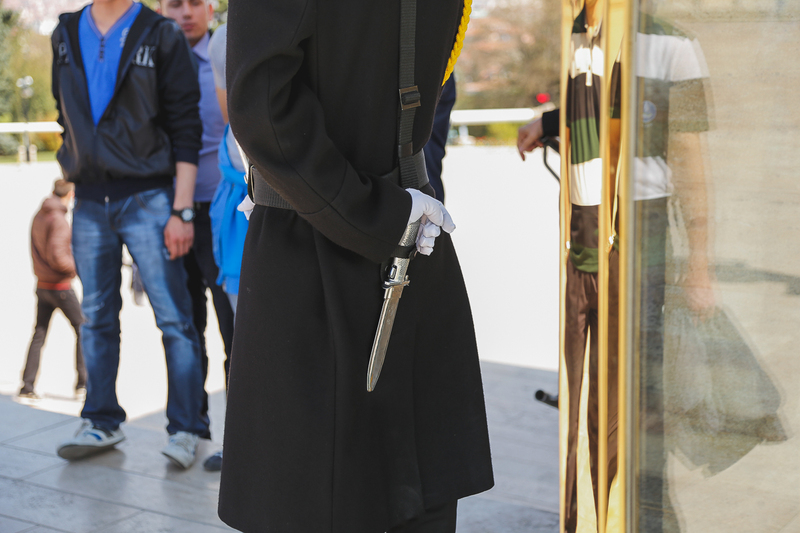 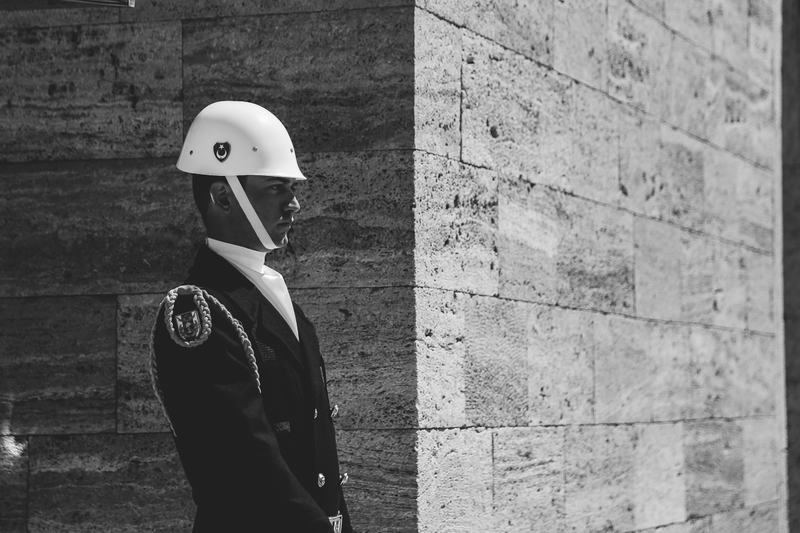 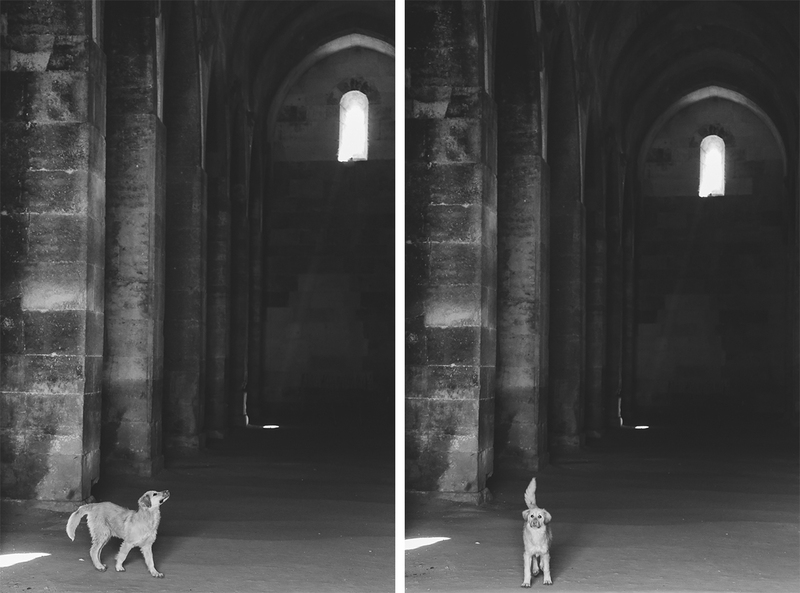 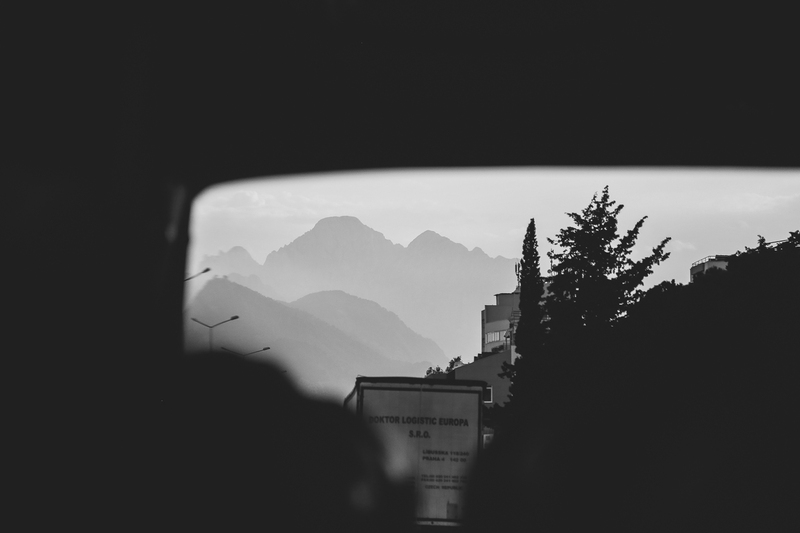 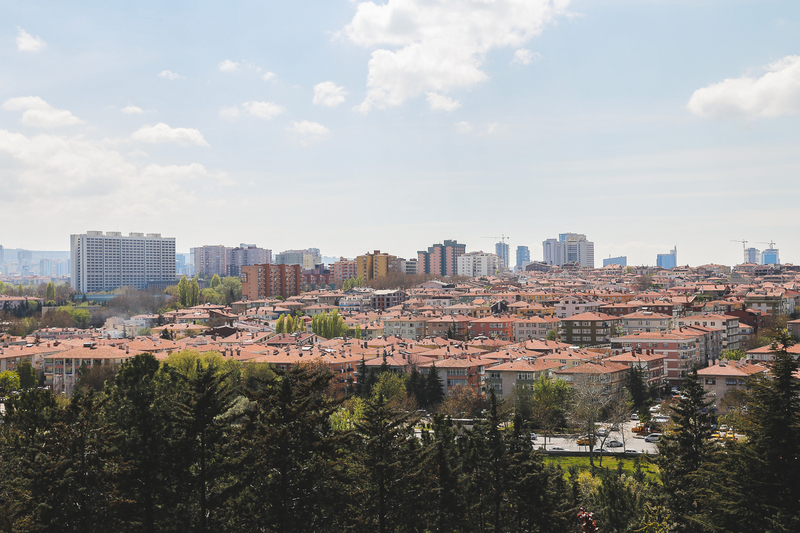 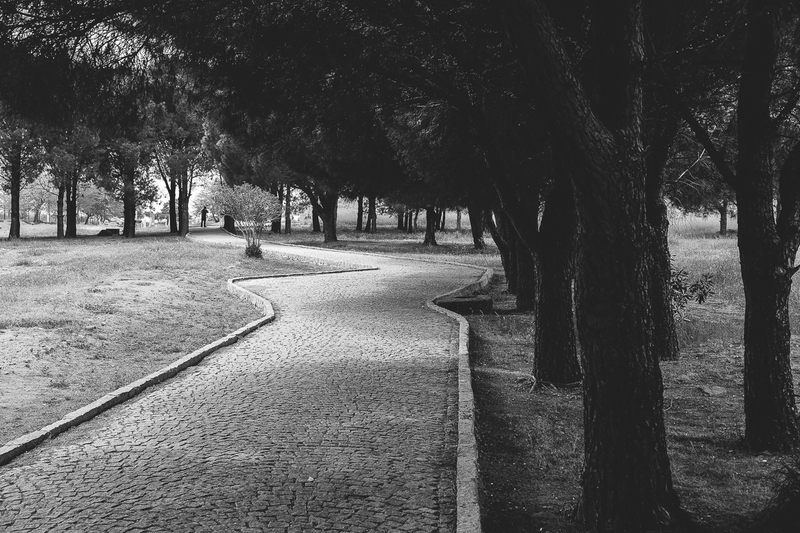 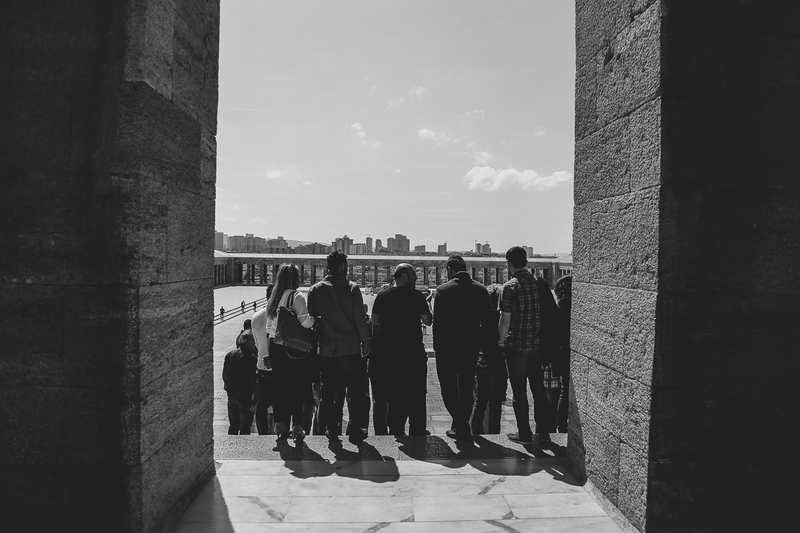 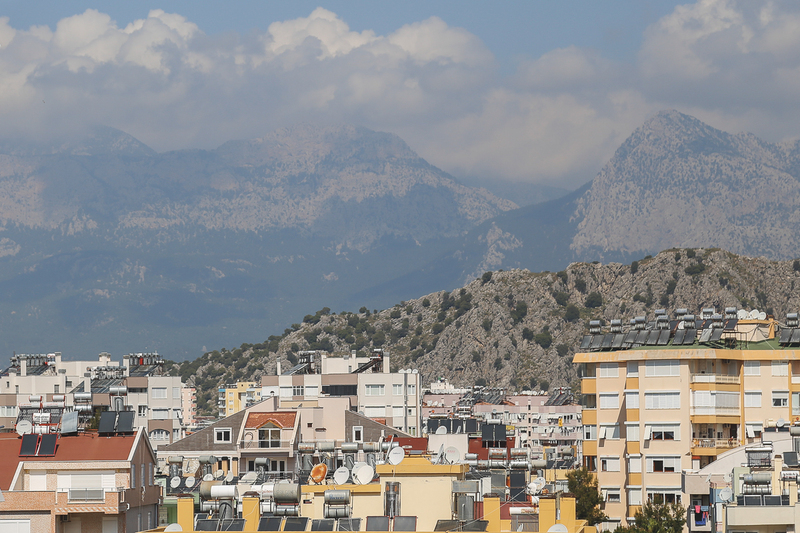 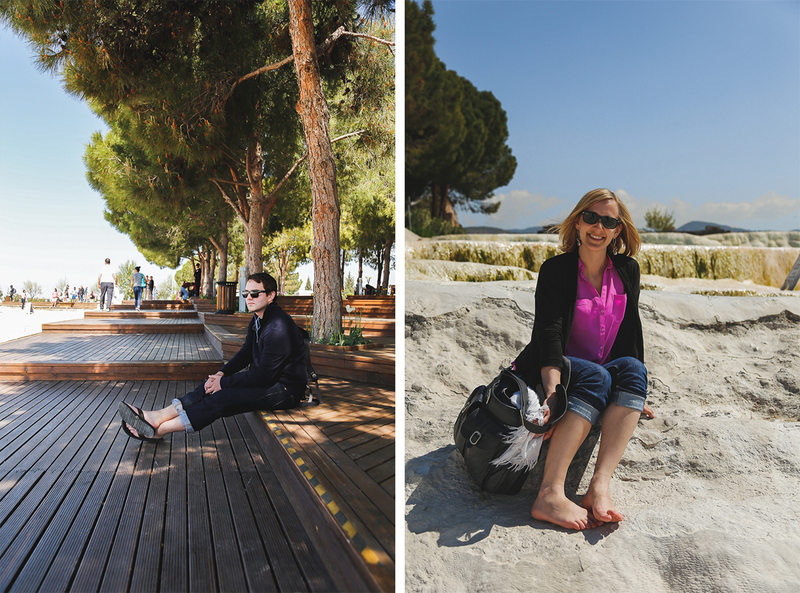 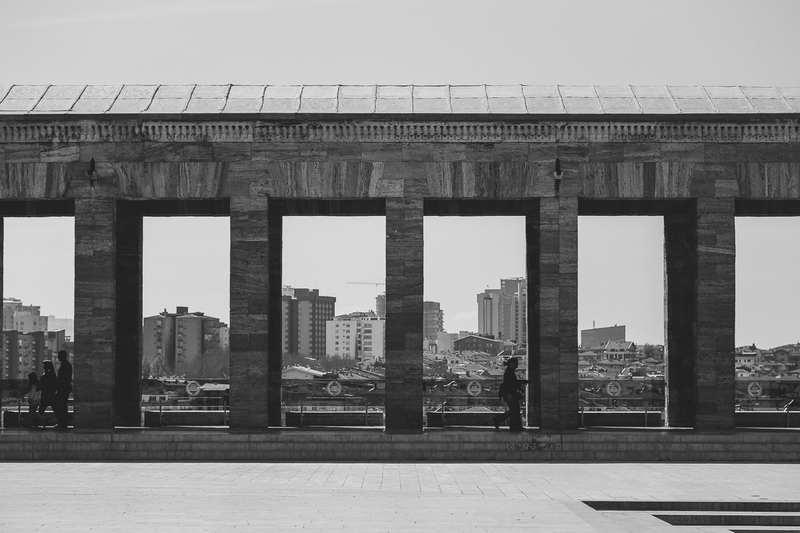 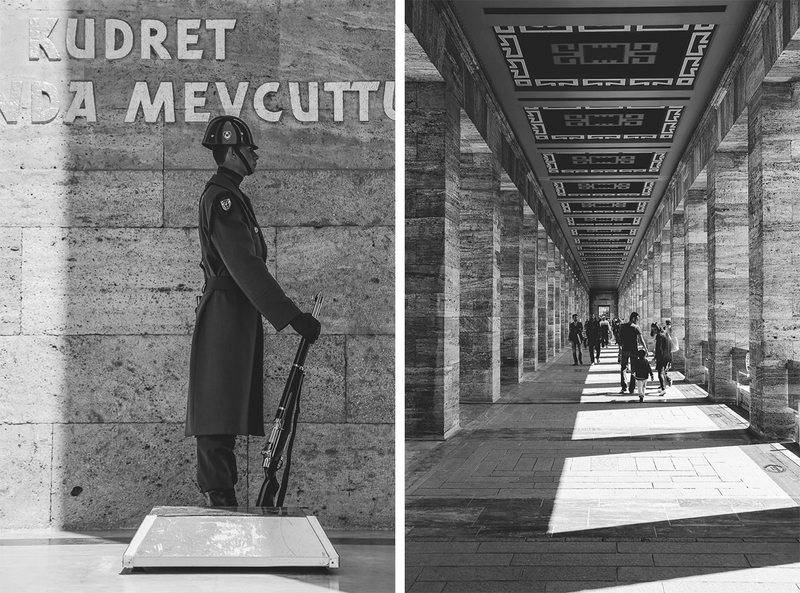 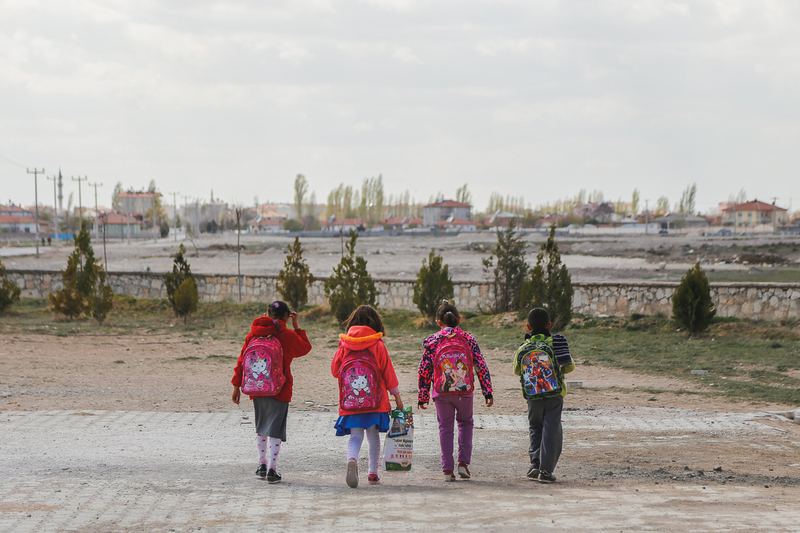 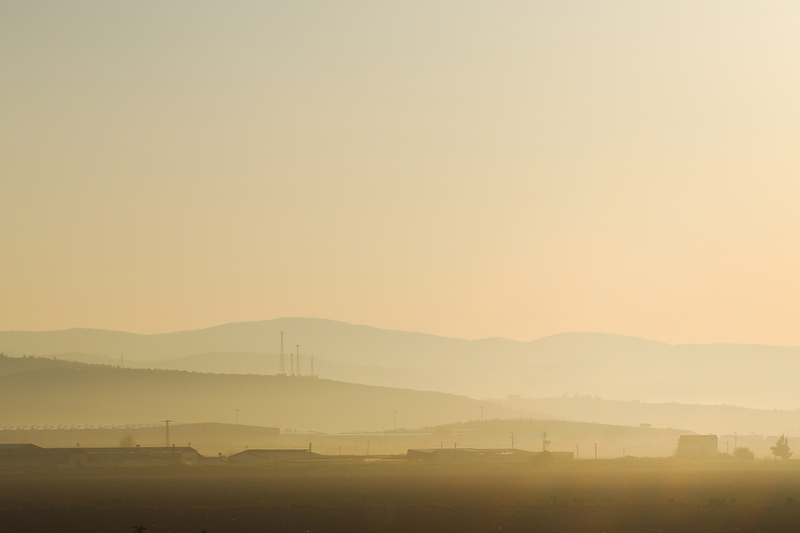 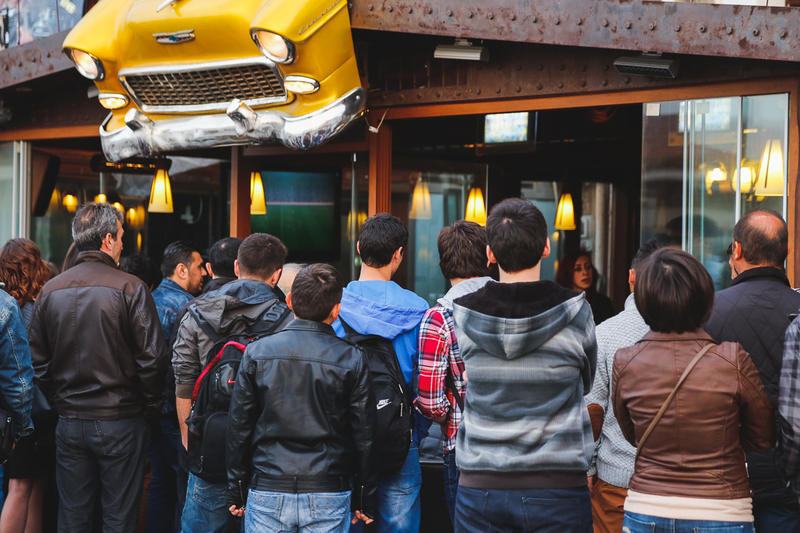 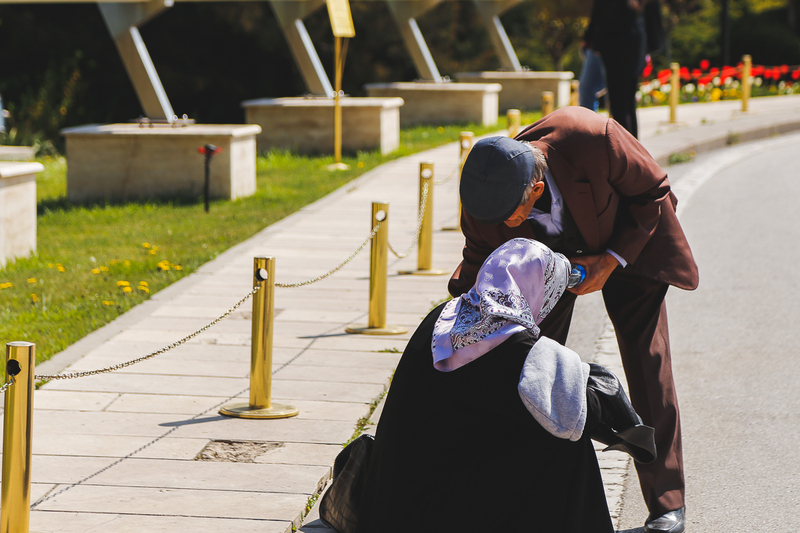 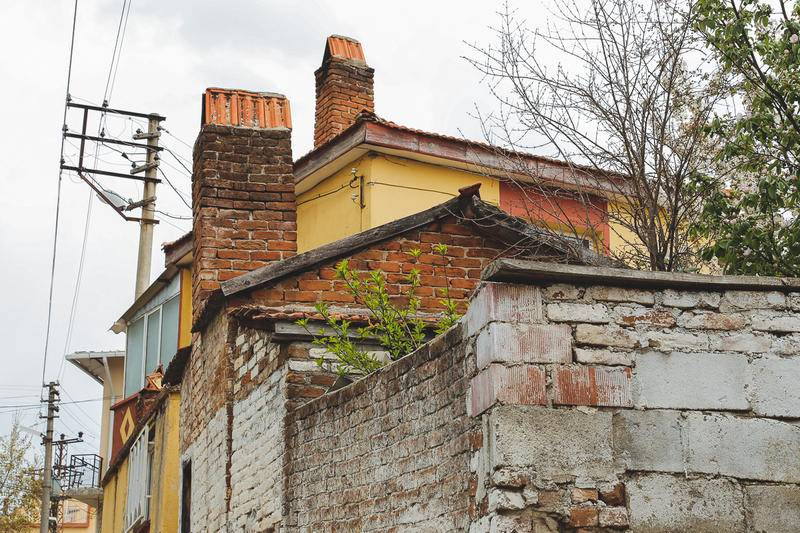 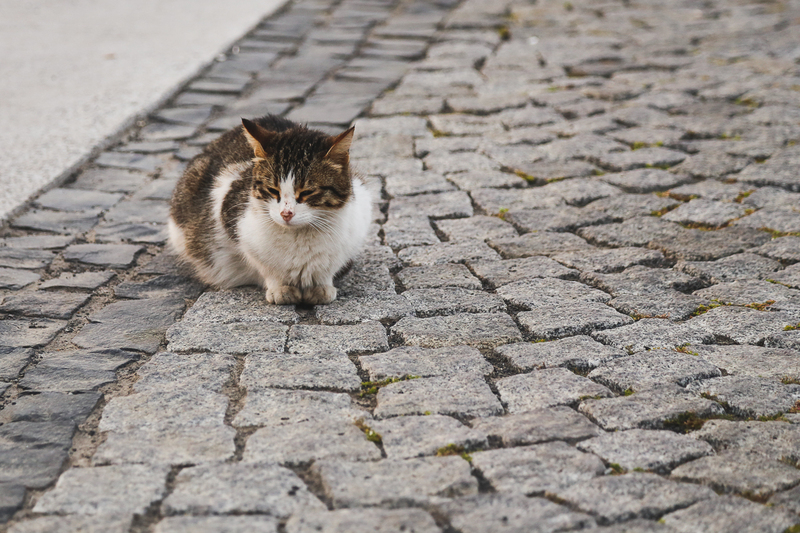 Before we looped back to Istanbul, we visited the country’s capital, Ankara. 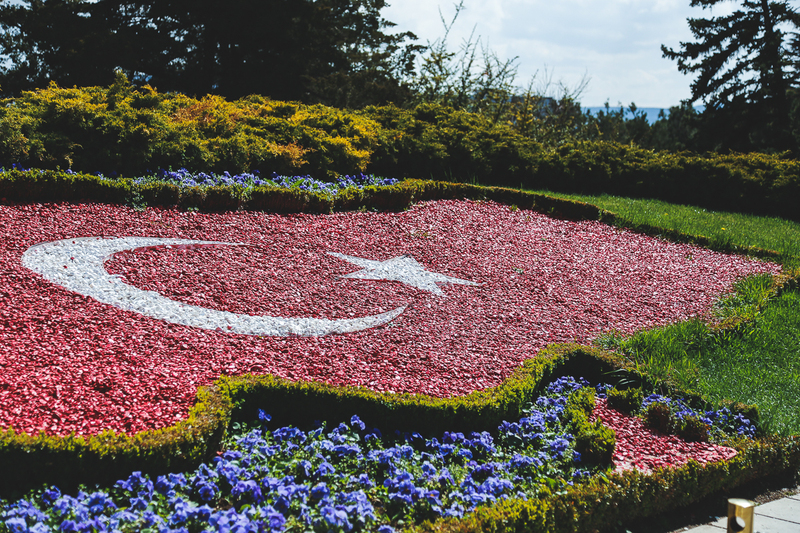 Modern day Turkey wasn’t established as an independent republic until 1923 as a result of the post-World War 1 Turkish National Movement. 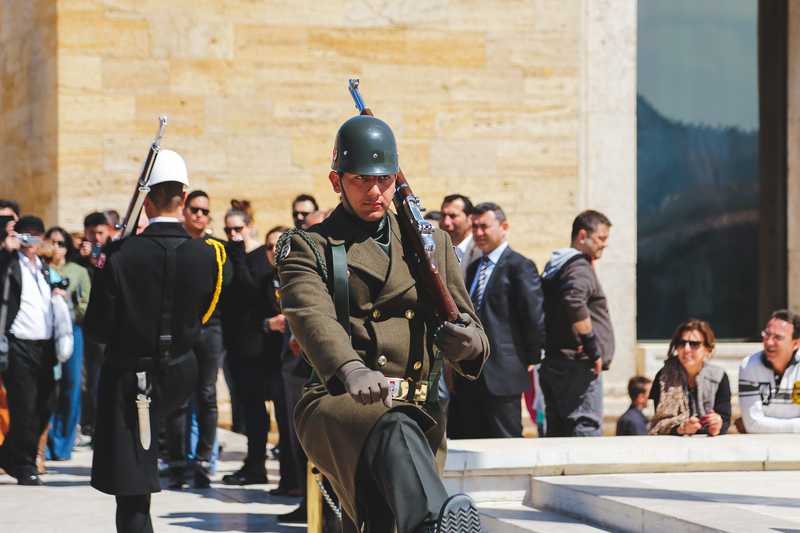 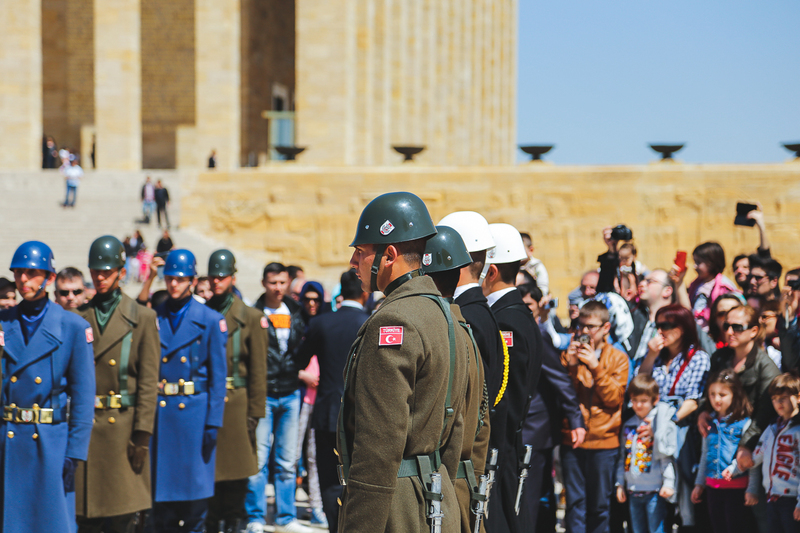 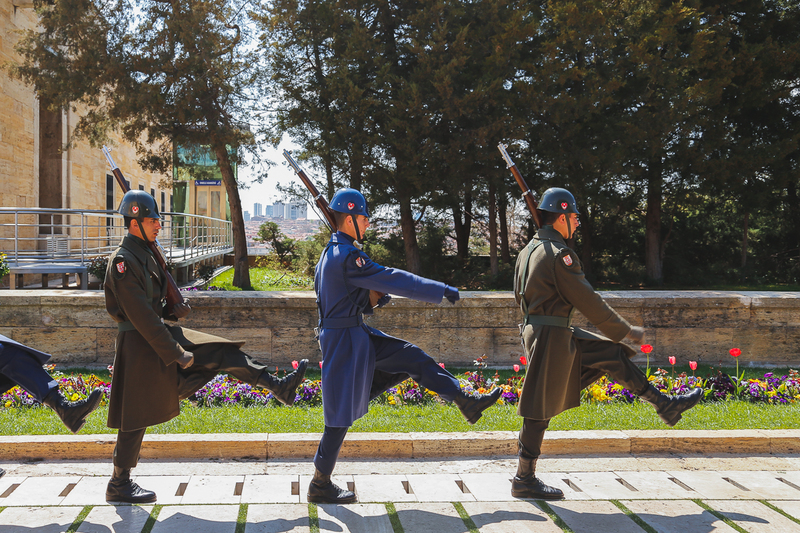 The Republic was established by military office and revolutionary Mustafa Kemal Atatürk (he was given this surname in the 1930s – it means literally “father of the Turks”). 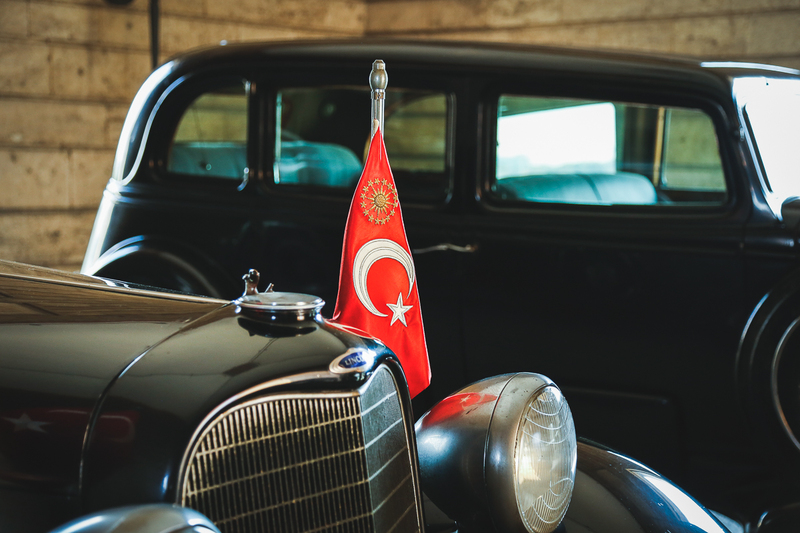 Atatürk ended over 600 years of Ottoman rule when he established the parliament and became the first president of the Republic of Turkey. 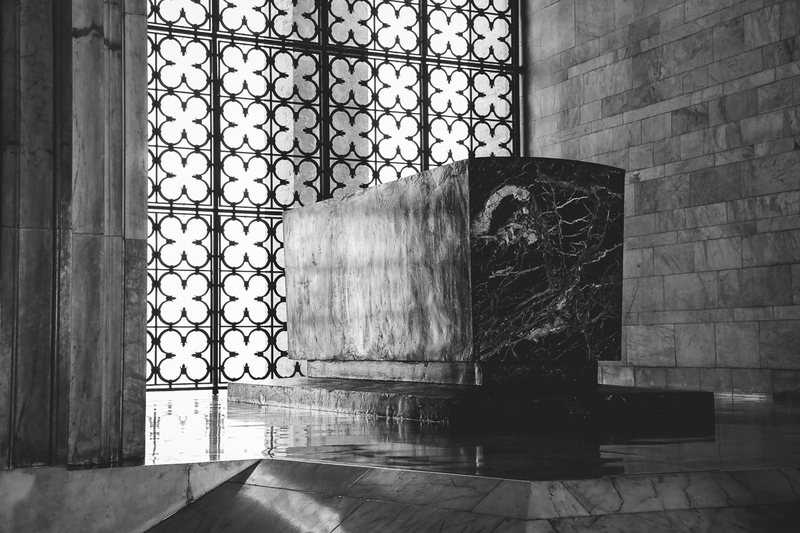 He transformed the country into a modern, secular nation and even established the Republic’s current alphabet that replaced the use of Islamic script. 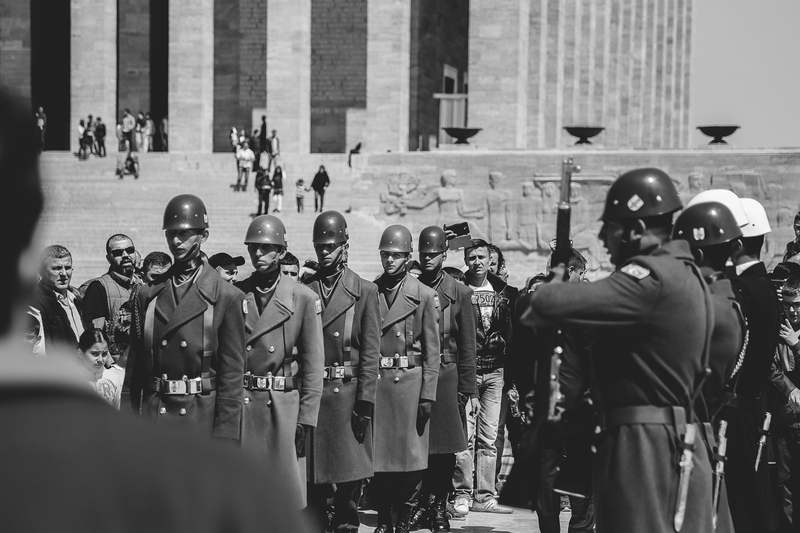 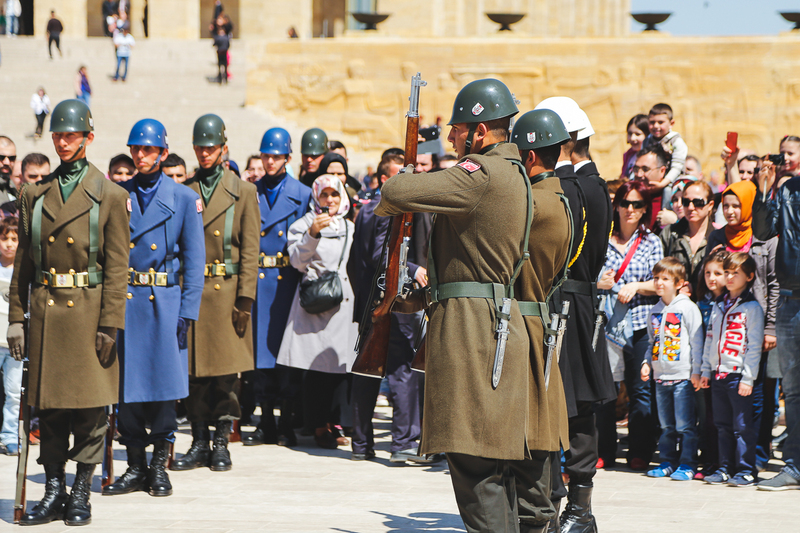 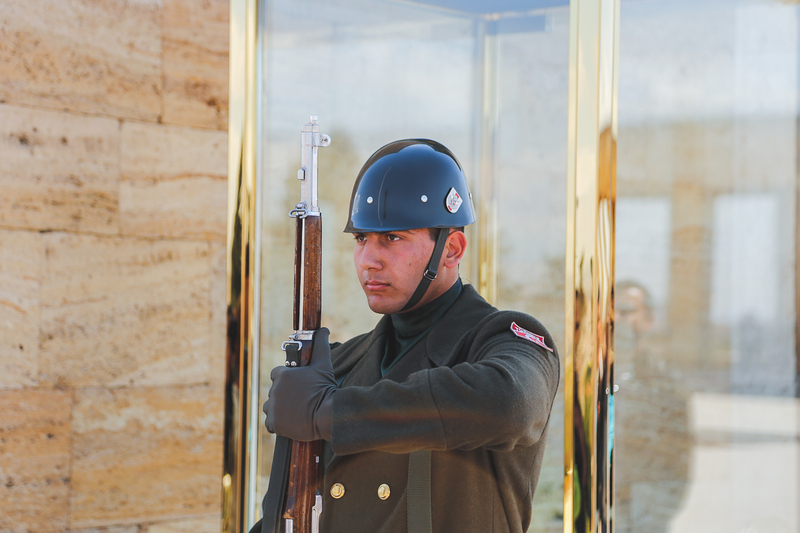 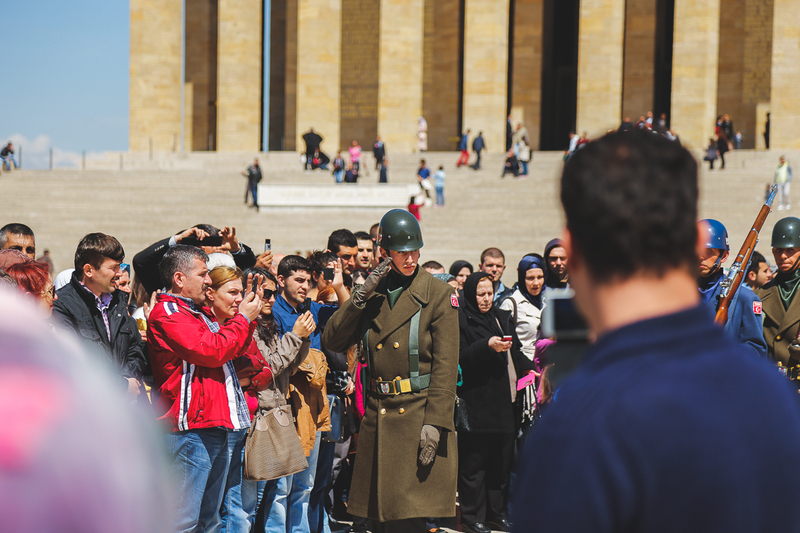 Every Turk we met spoke of Atatürk with admiration and appreciation. 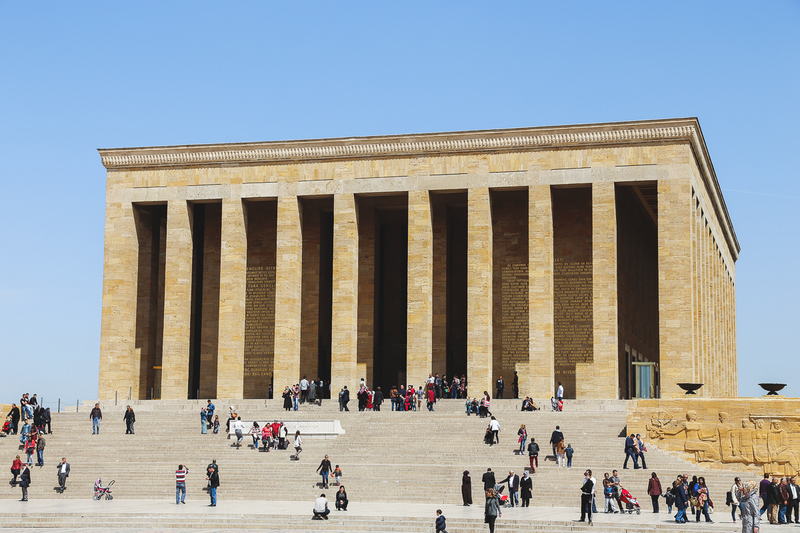 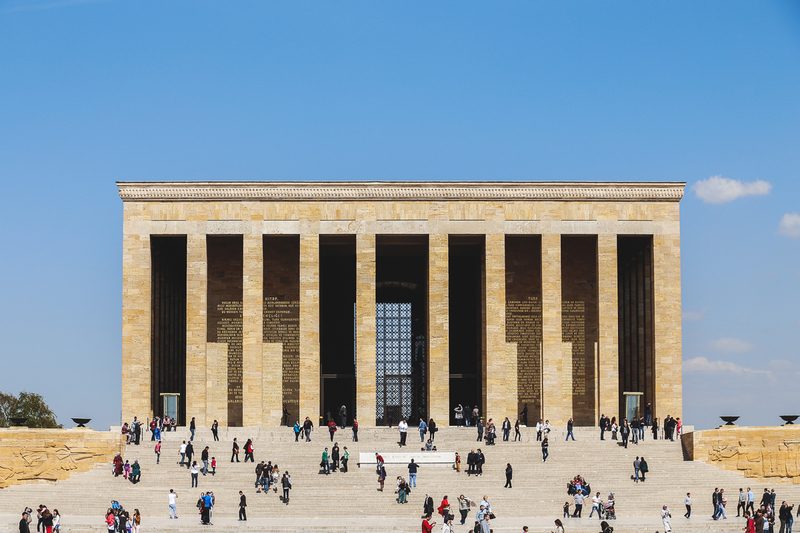 His remains lay at Anıtkabir, the mausoleum and museum built in his honor. 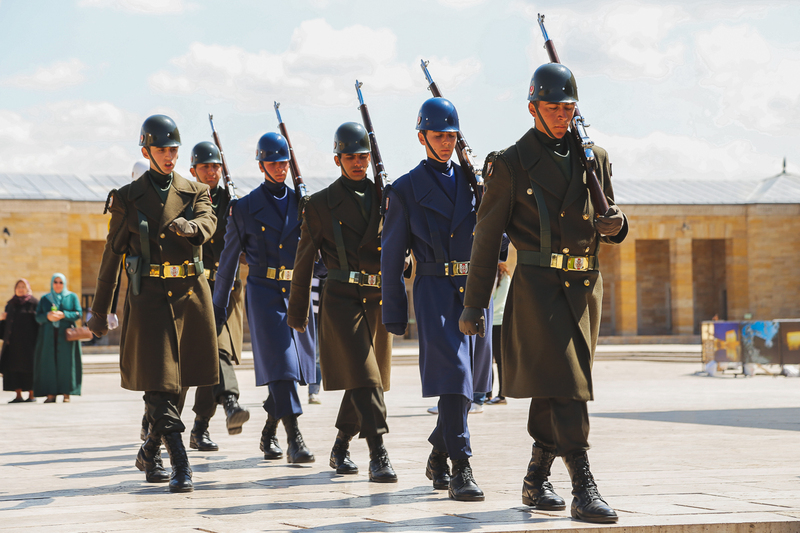 I liken Atatürk’s reputation with the Turks to George Washington’s reputation with Americans, it’s just a younger admiration since the Republic is practically in it’s infancy. 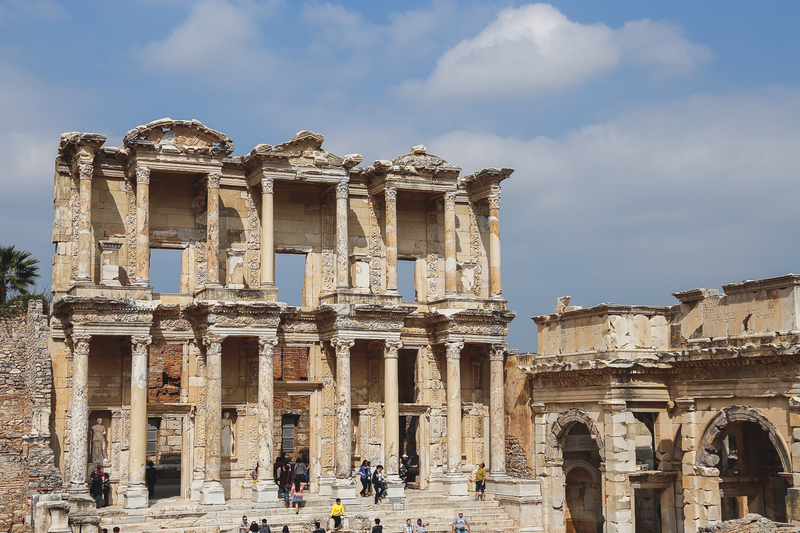 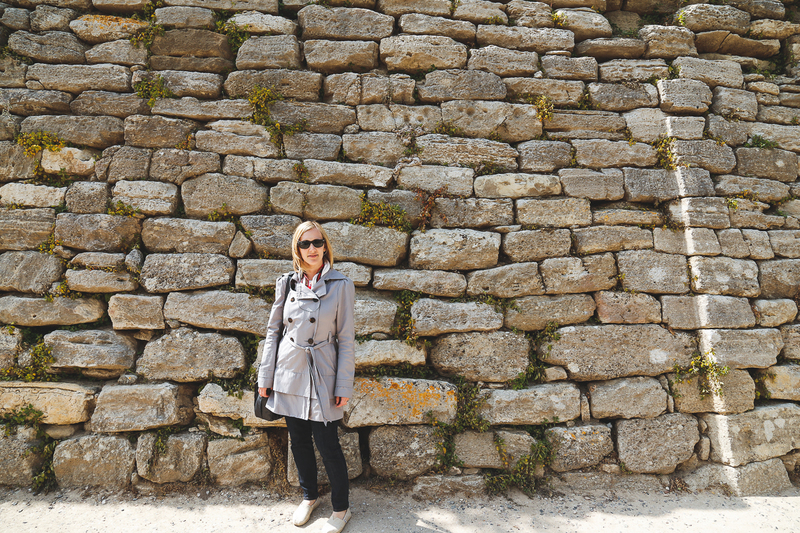 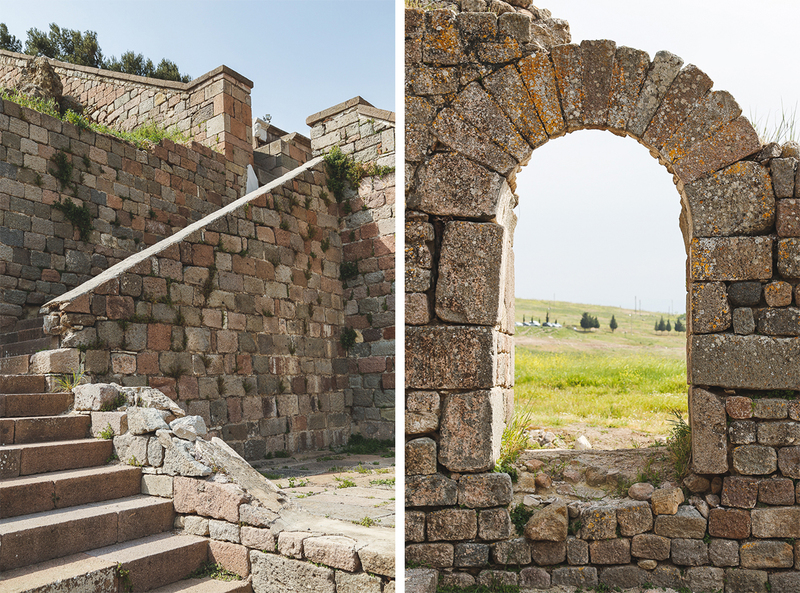 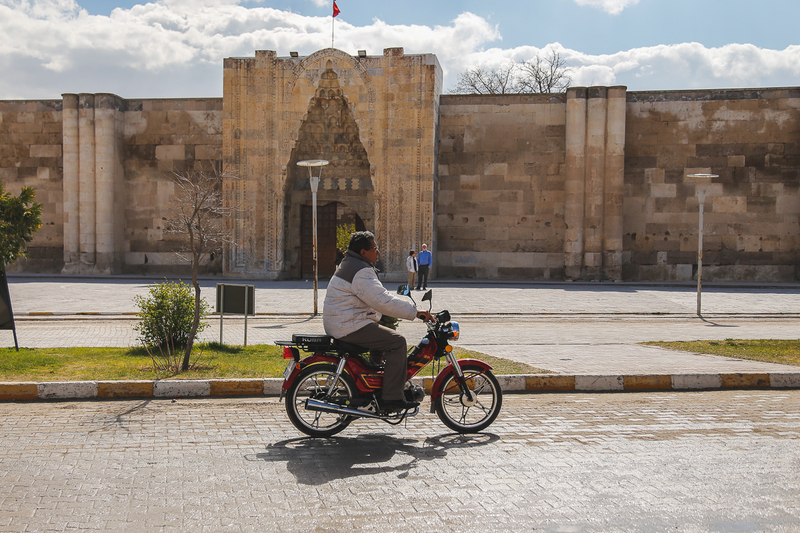 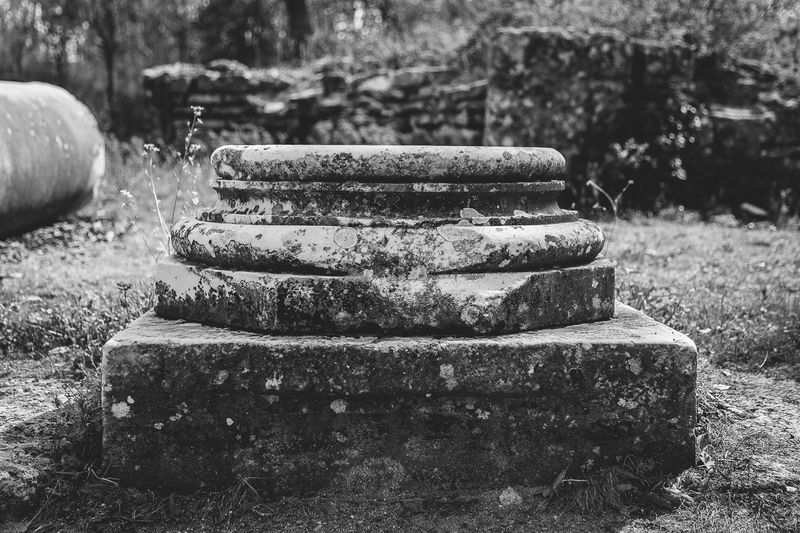 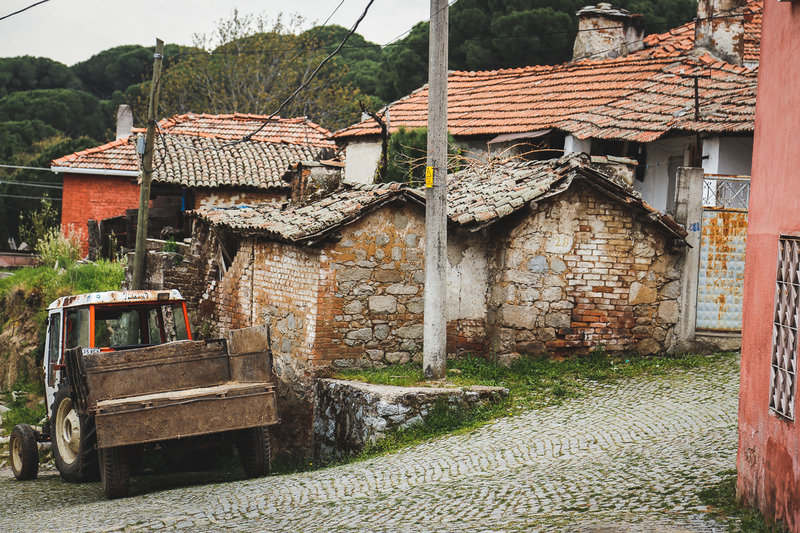 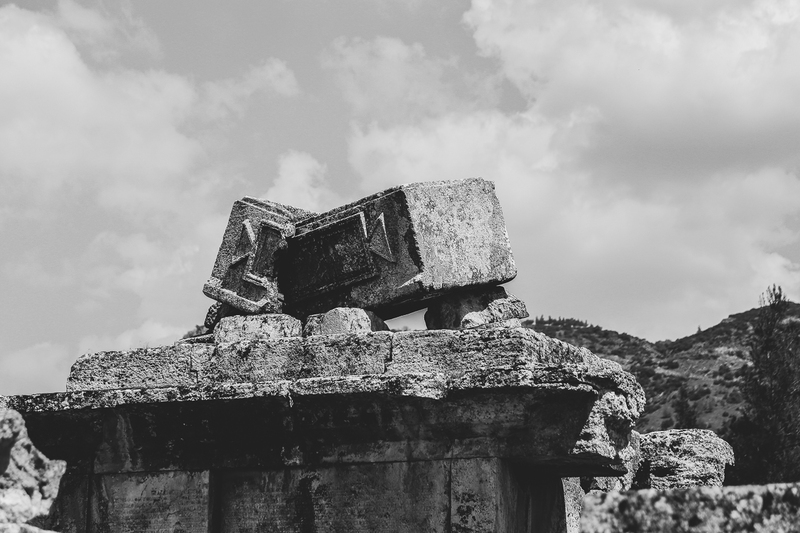 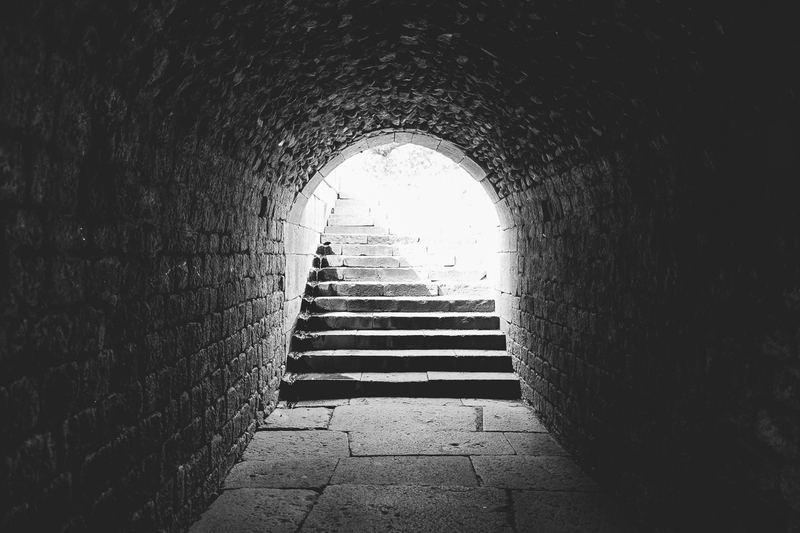 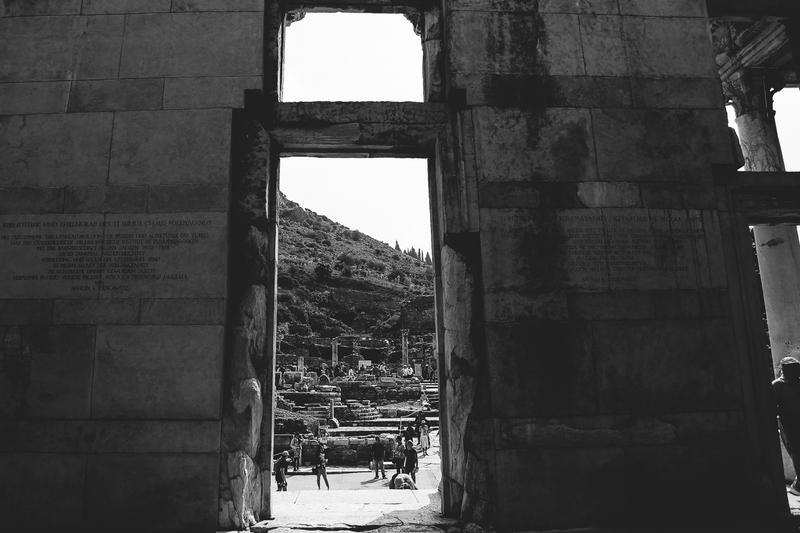 It was incredible to see how the modernization of this country has melded with the history of so many ancient civilizations that called modern-day Turkey home, and it makes me wonder what our cultural will communicate forward to our descendants. 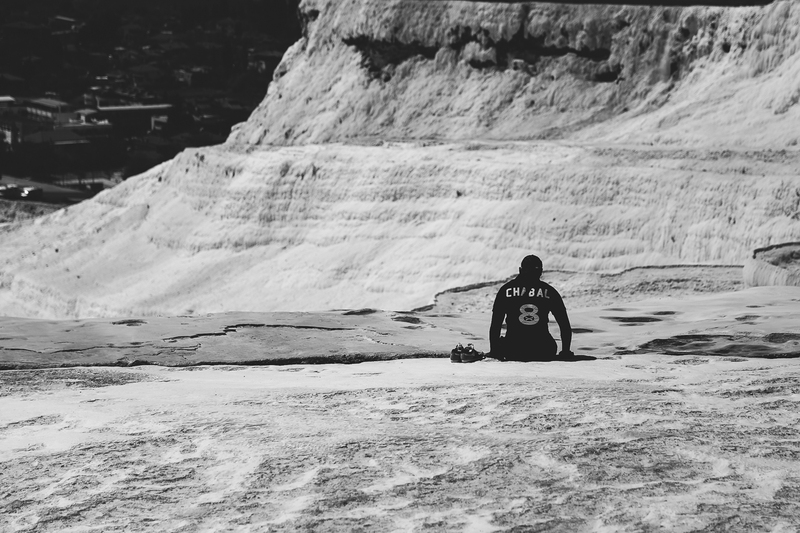 I guess only lots of time will tell.